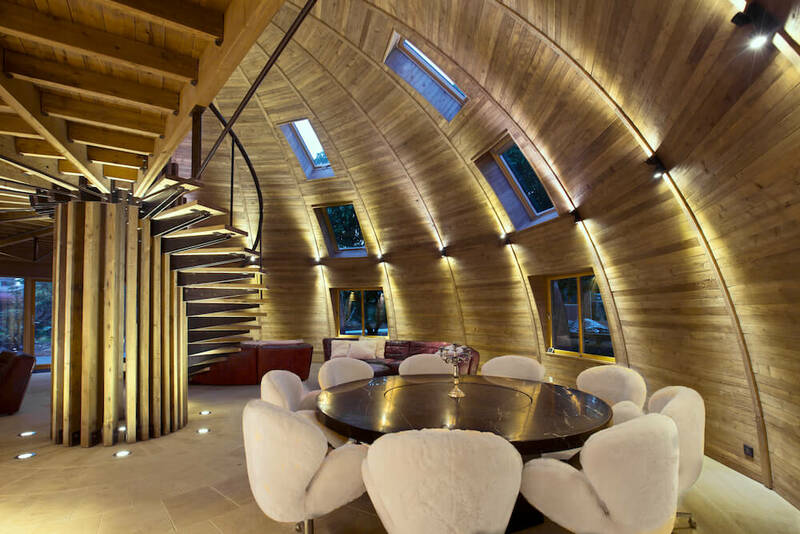 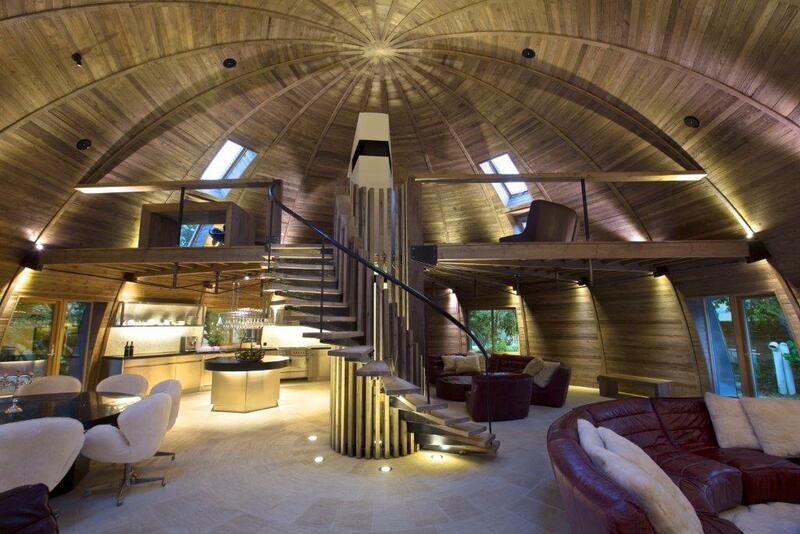 Iesis Structures were appointed to assess the mezzanine floor structure for the innovative dome-shaped sustainable timber homes produced by HALO for use in the UK. The elegant structural timber construction incorporates bow-string timber trusses to support the floor and cantilever spiral stair treads. 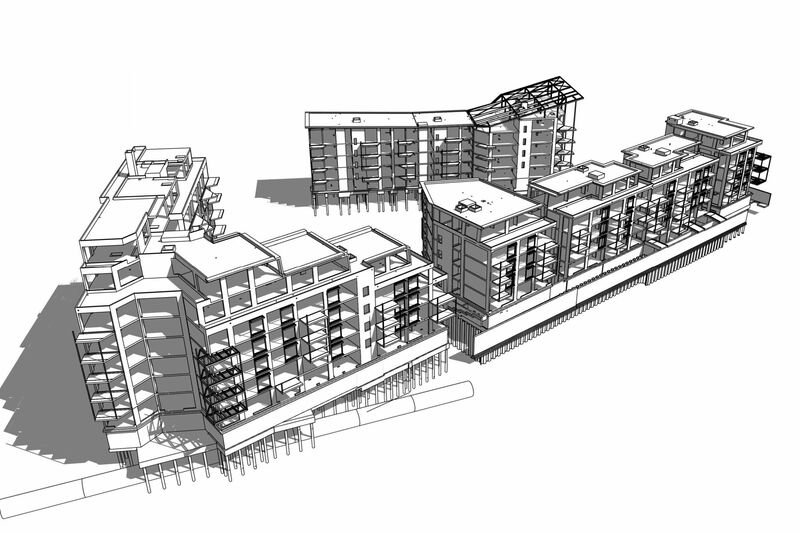 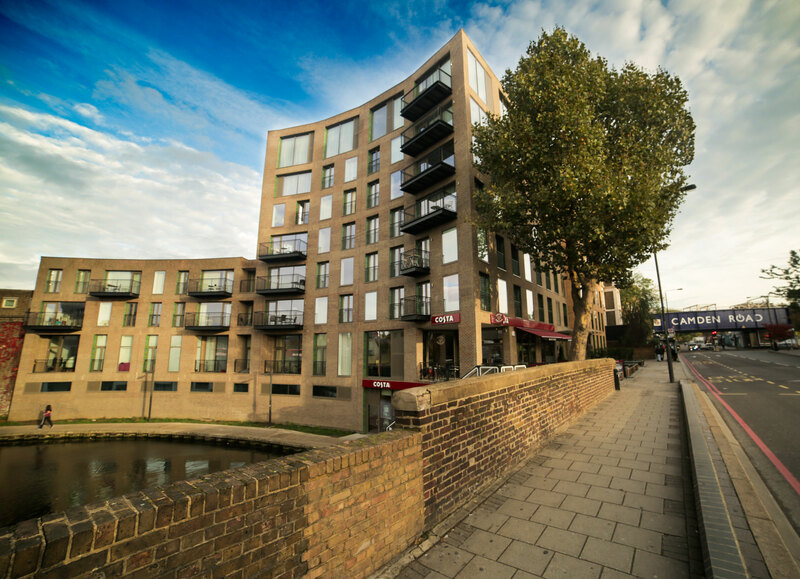 Iesis Structures provided structural design services for the re-development of an industrial site in Alperton, west London, sited on the Grand Union canal. 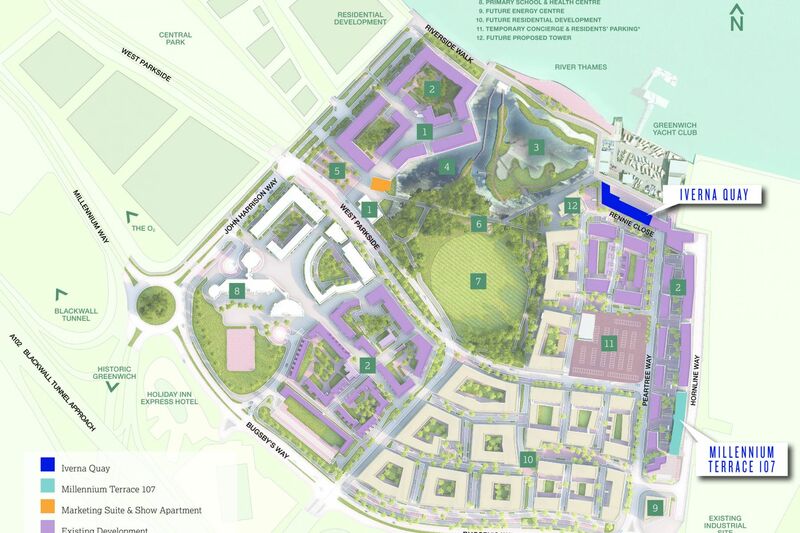 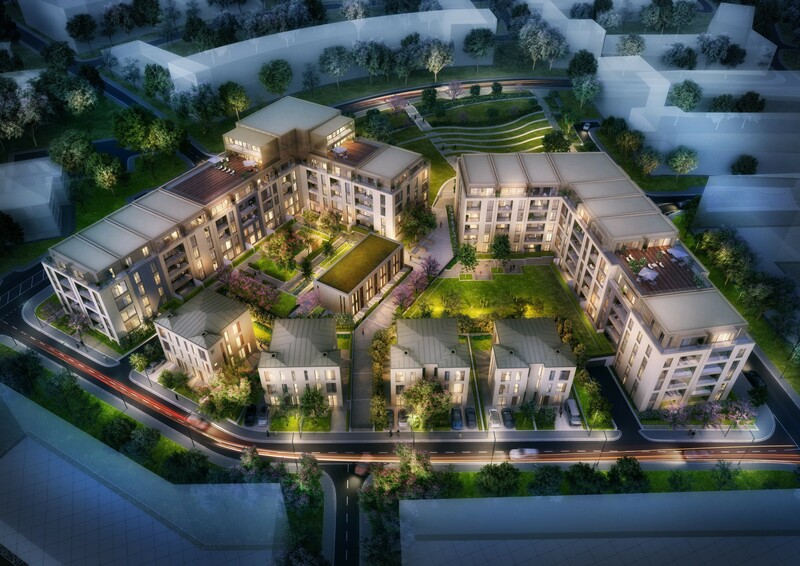 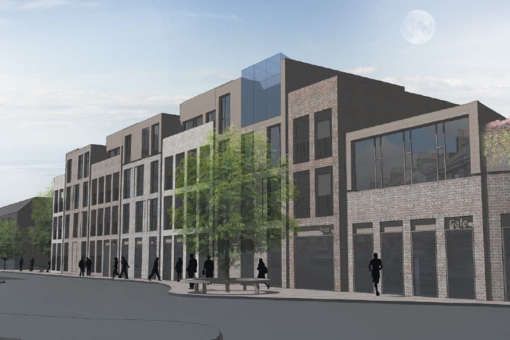 The development comprises 136 residential units along with retail units on the street frontage. 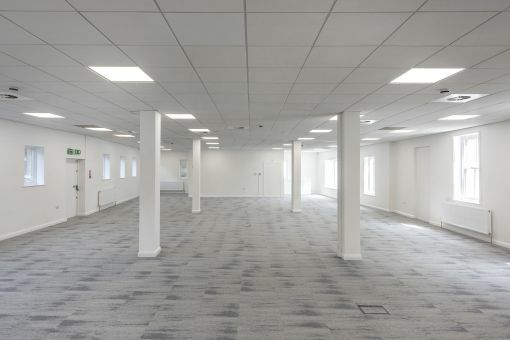 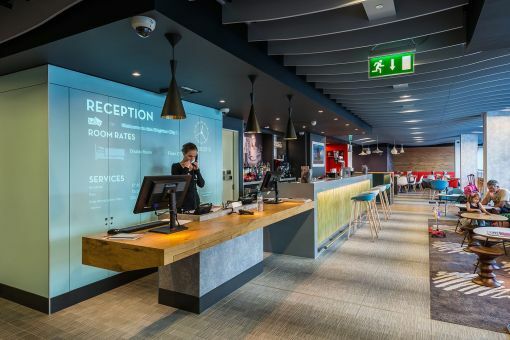 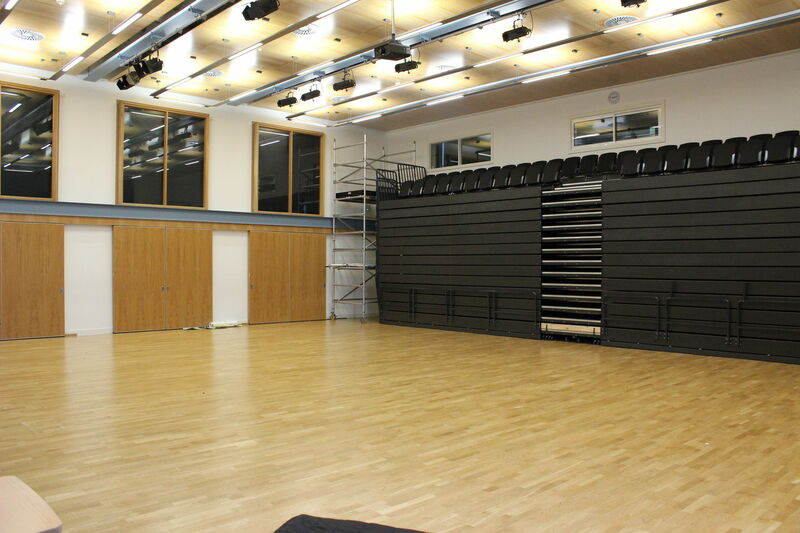 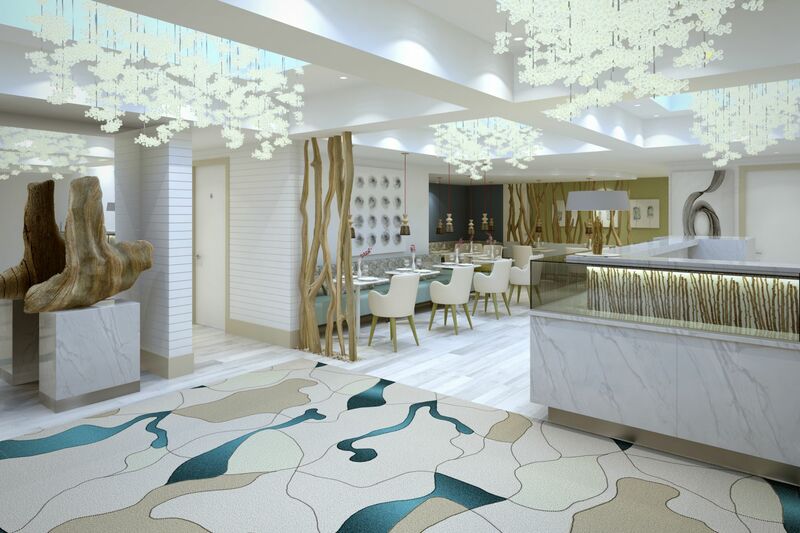 A reinforced concrete flat slab was selected for the superstructure to maximise floor to ceiling space and allow flexibility of services distribution. The landscape proposals required negotiation with the Canal and River Trust to agree the scope of structural works required to the existing canal wall. 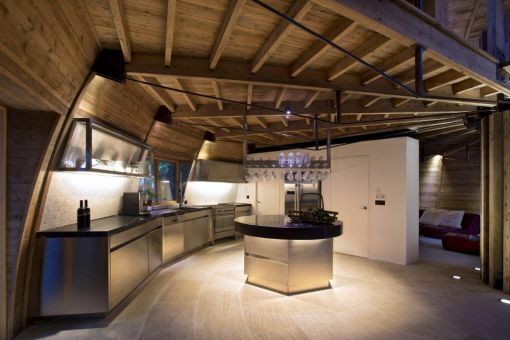 Huller and Cheese is the transformation of the Grade II listed Huller House and its counterpart, the Cheese Warehouse; a building identified of special architectural merit due to its Hennebique reinforced concrete structure. 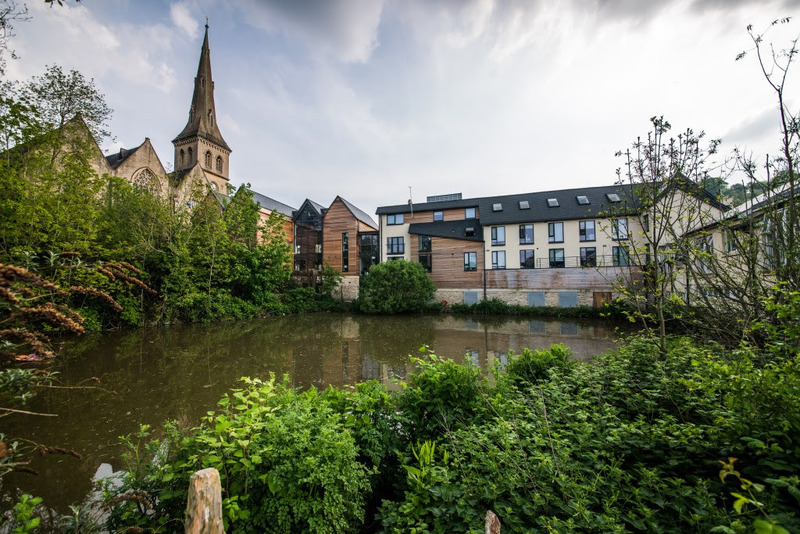 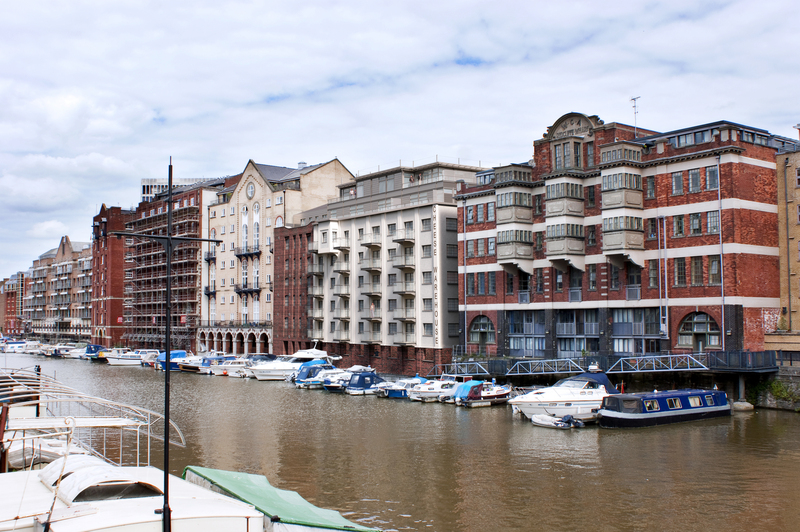 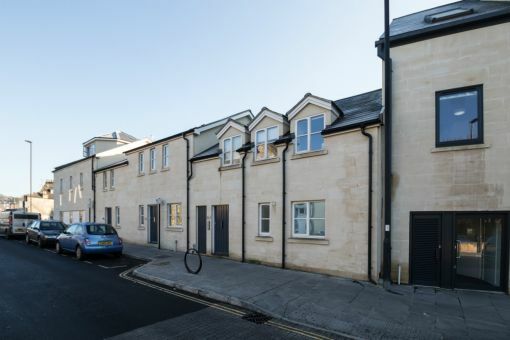 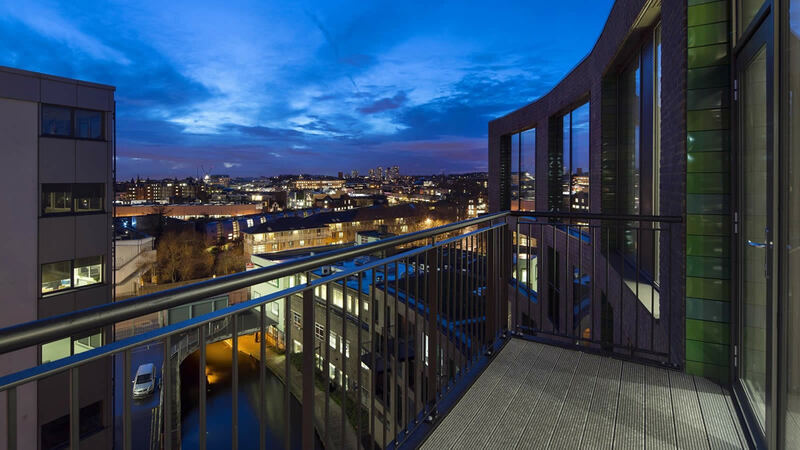 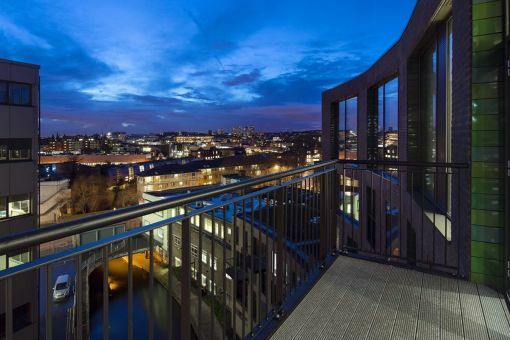 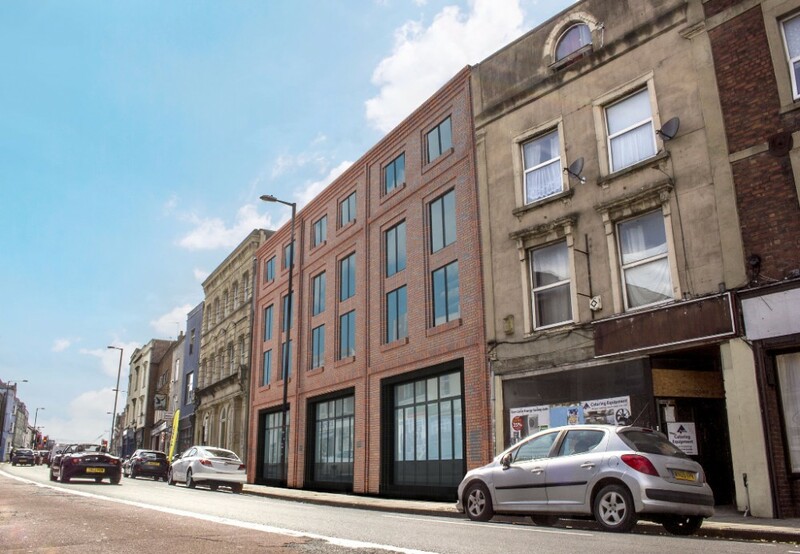 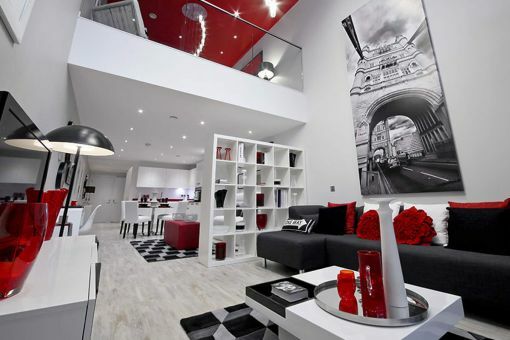 These two distinct buildings have been converted to create an exciting collection of 50 contemporary one, two and three bedroom apartments overlooking Bristol’s Floating Harbour. 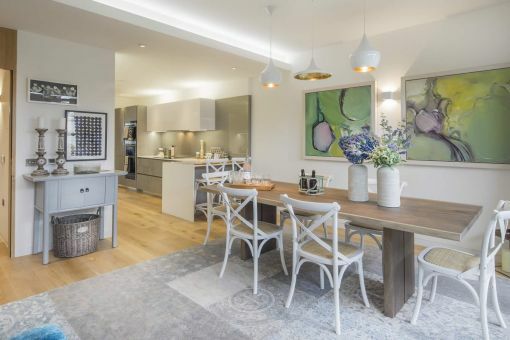 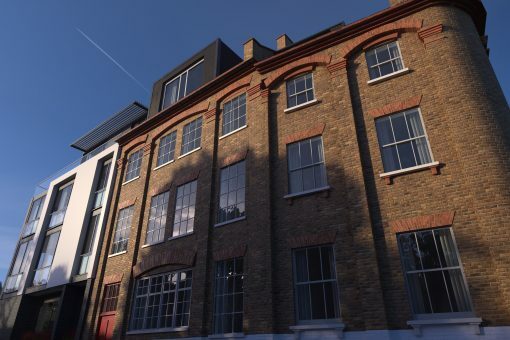 Featuring exposed brick & ironwork in Huller House, to oversized windows and concrete columns in The Cheese Factory, the blend of the original features with stylish modern fittings offers unique and elegant homes. 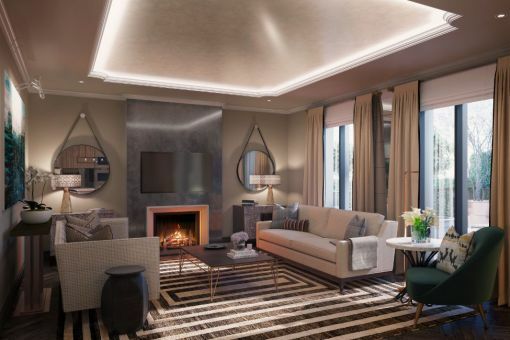 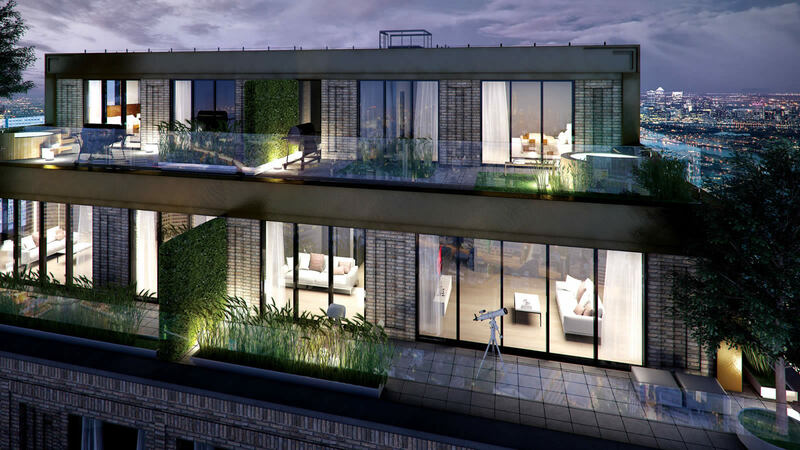 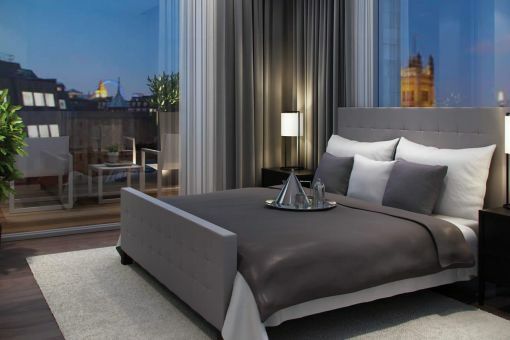 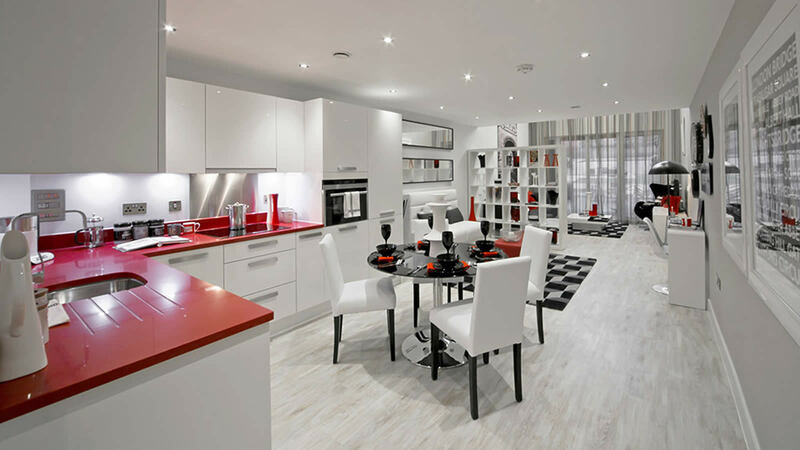 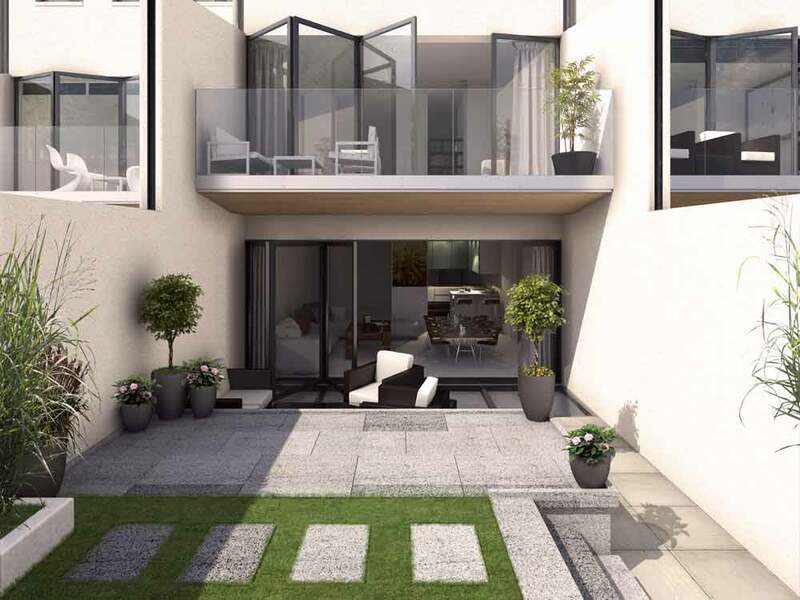 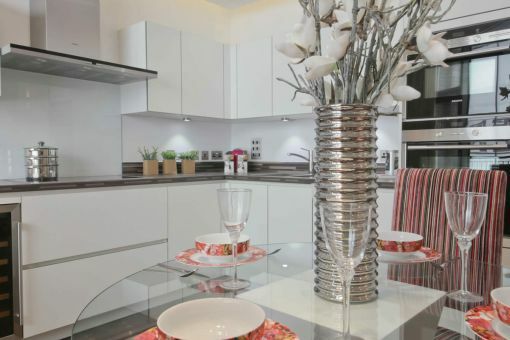 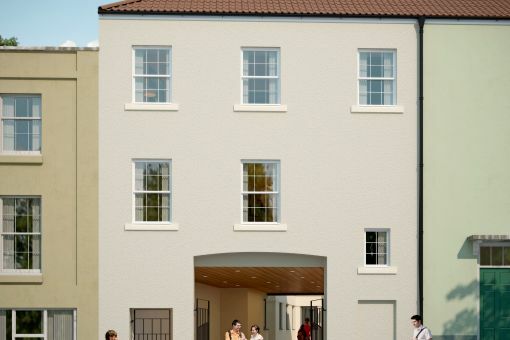 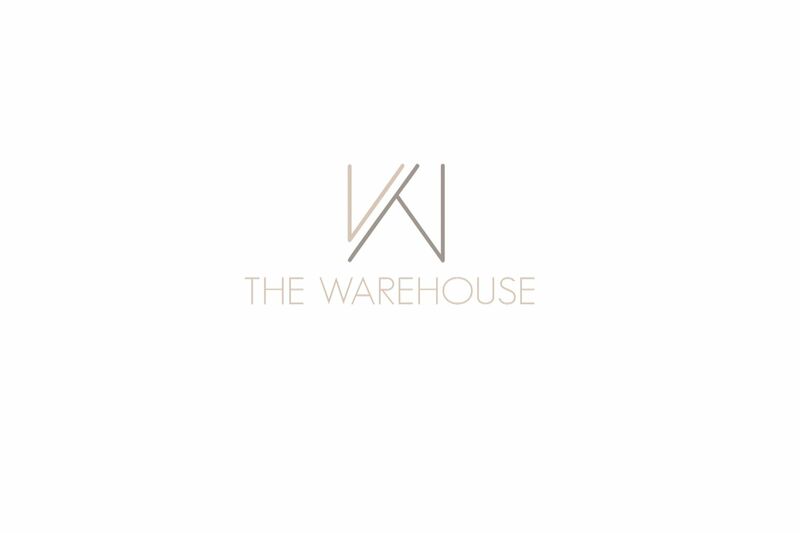 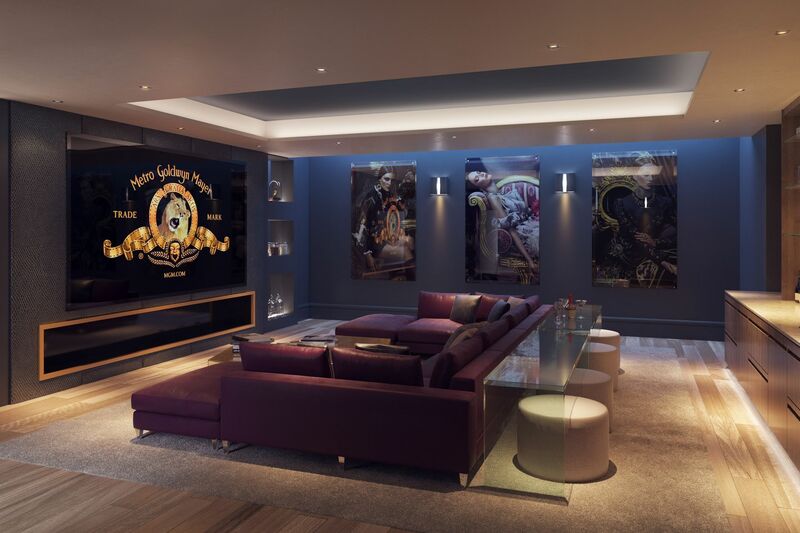 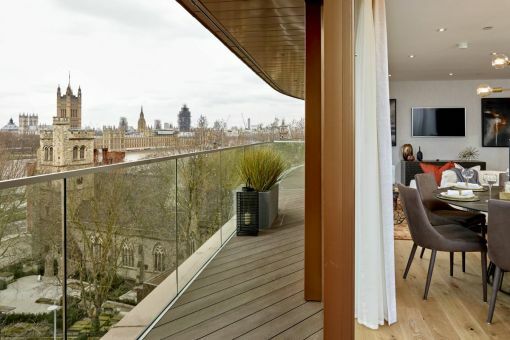 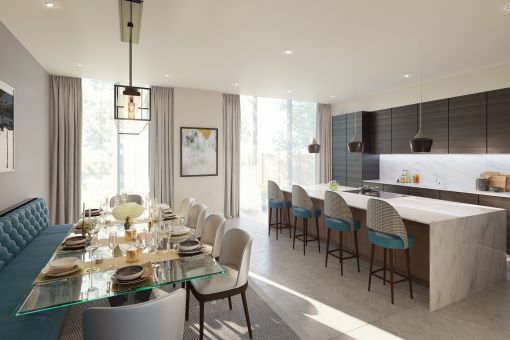 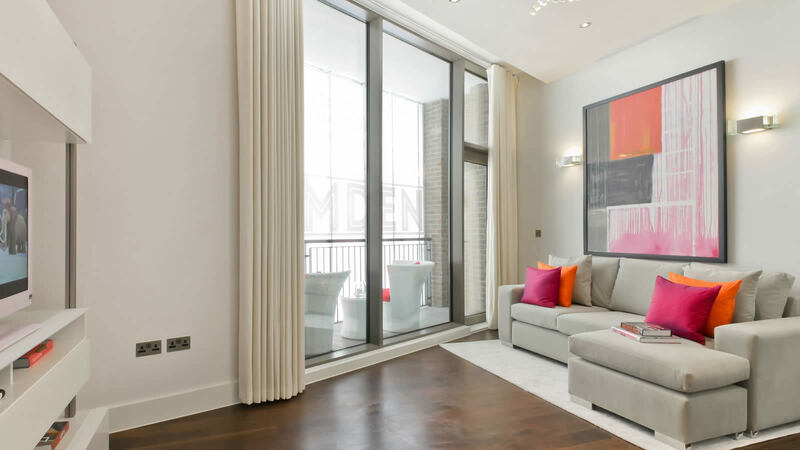 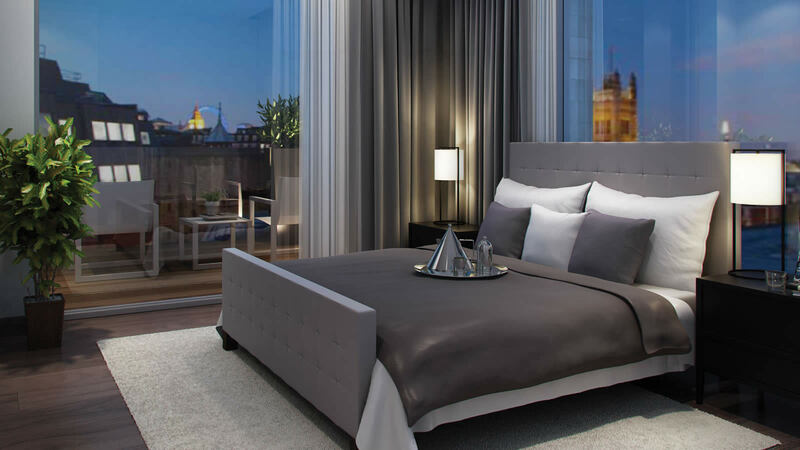 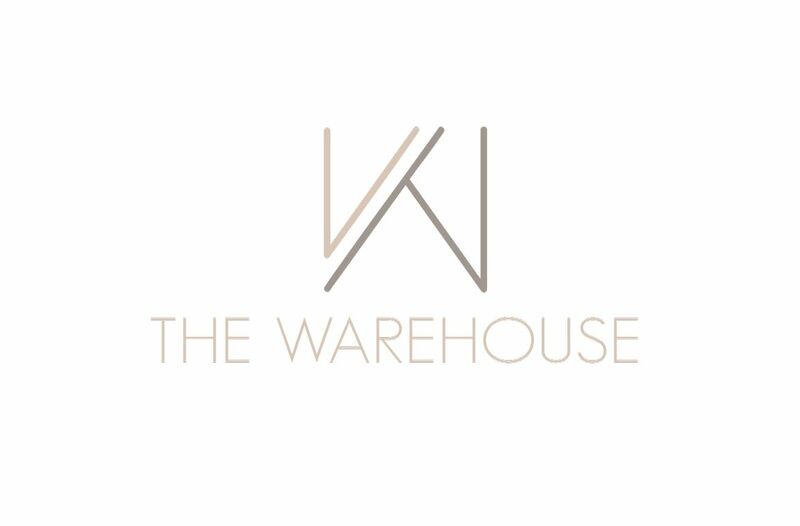 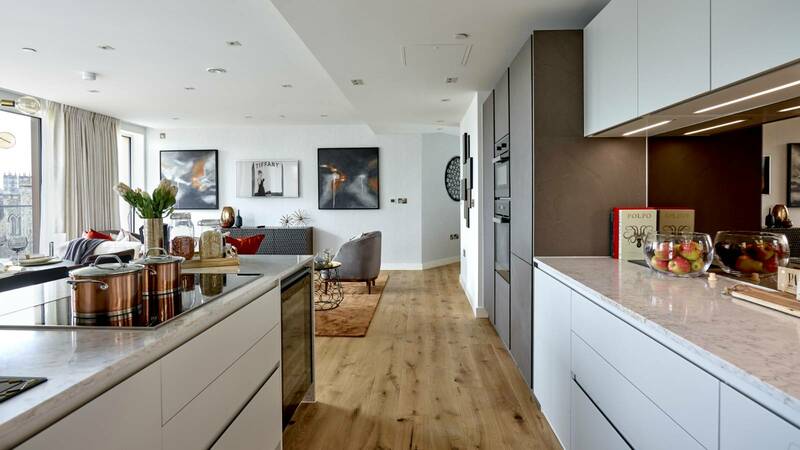 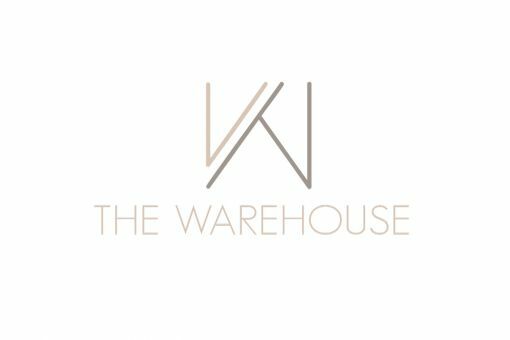 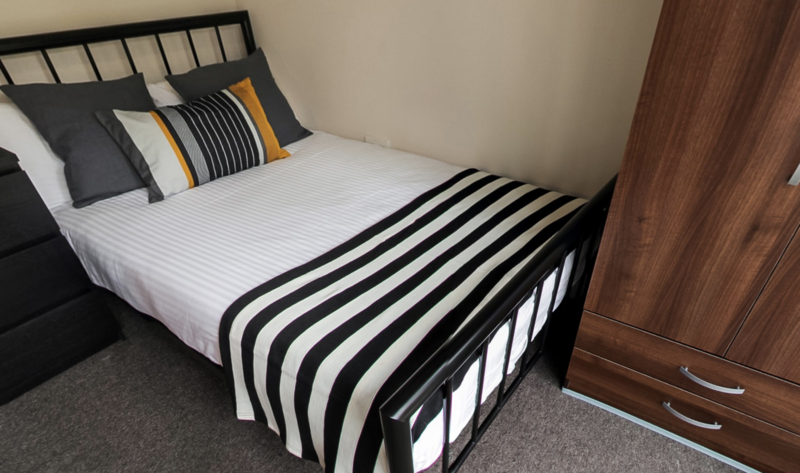 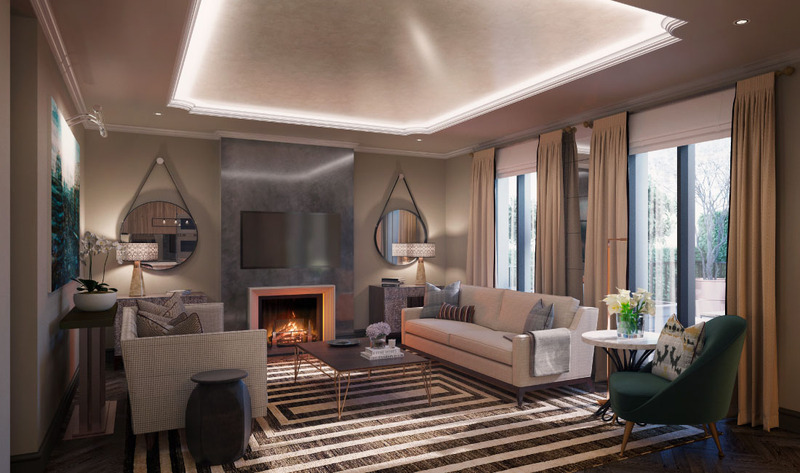 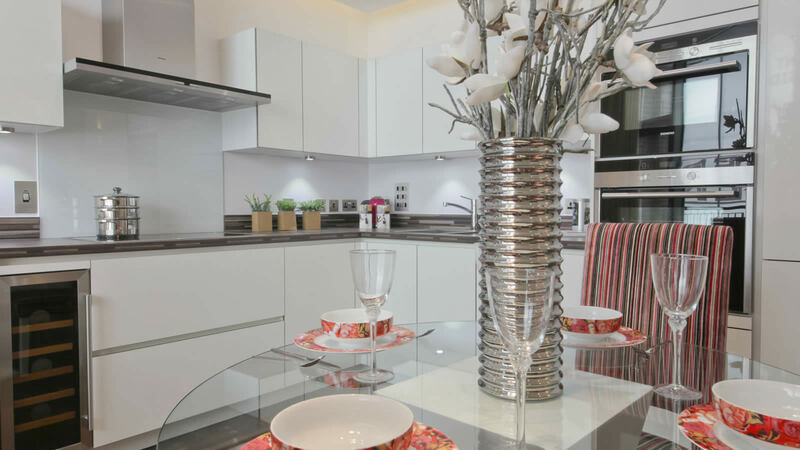 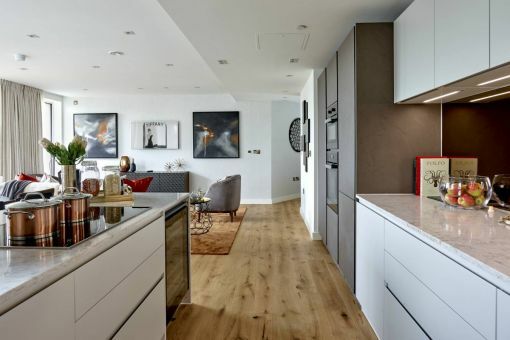 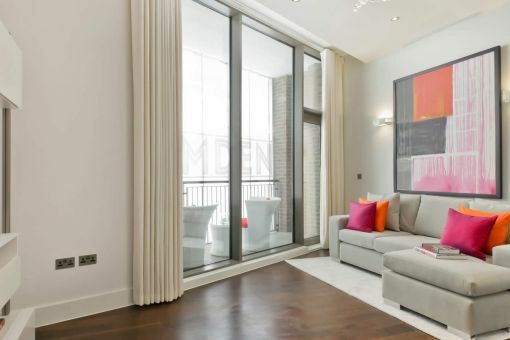 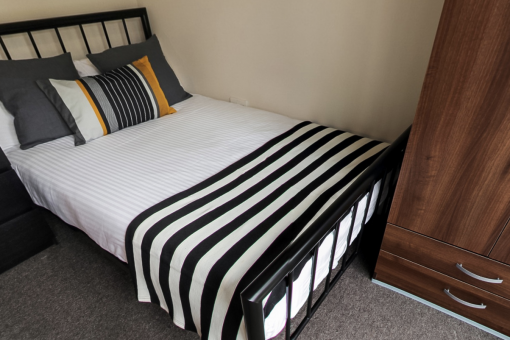 With the addition of two brand new storeys crowning the building, 6 outstanding and spacious penthouse apartments have been created with a top of the range specification. 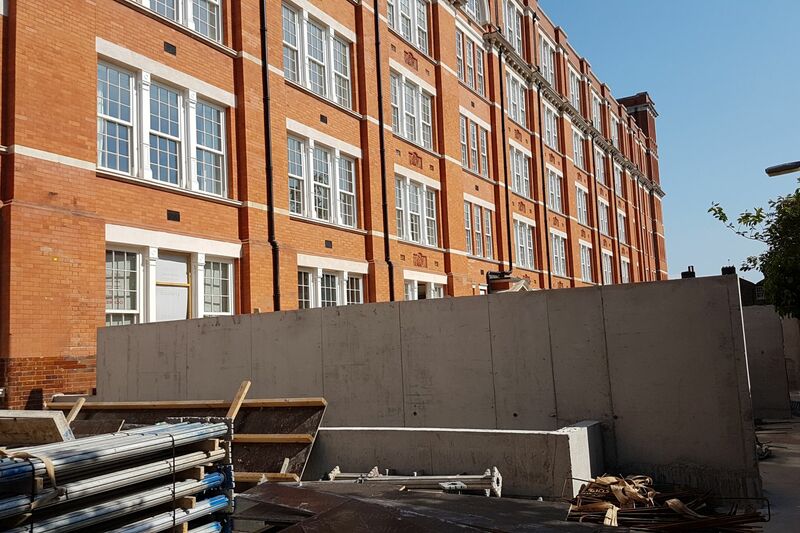 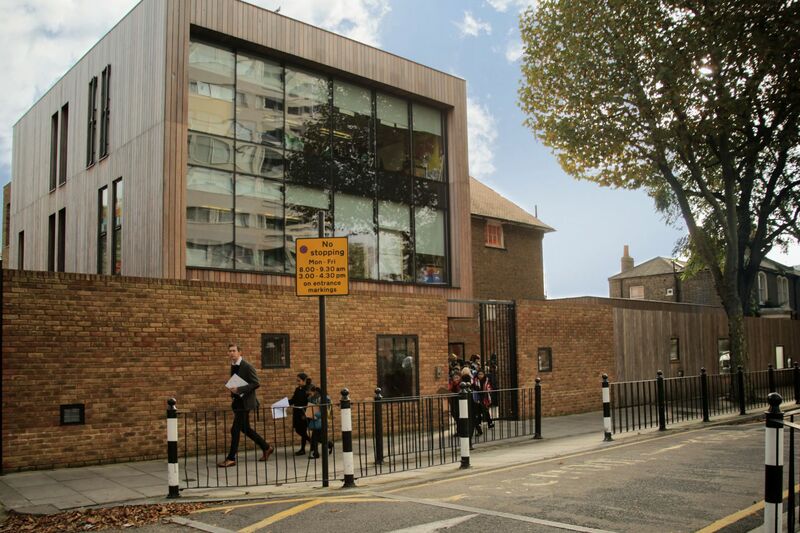 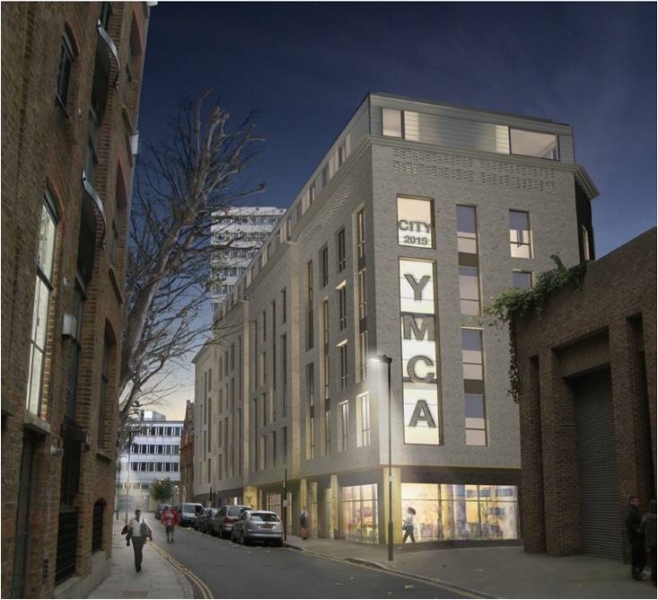 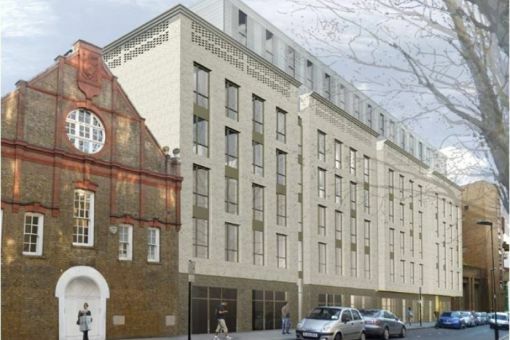 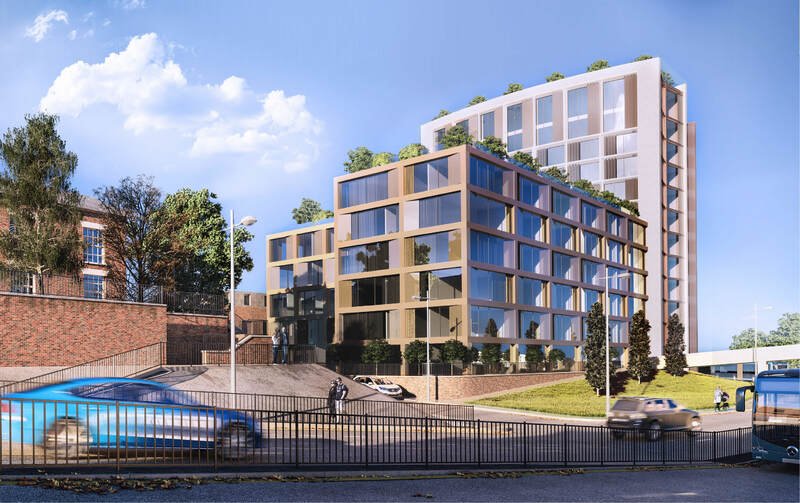 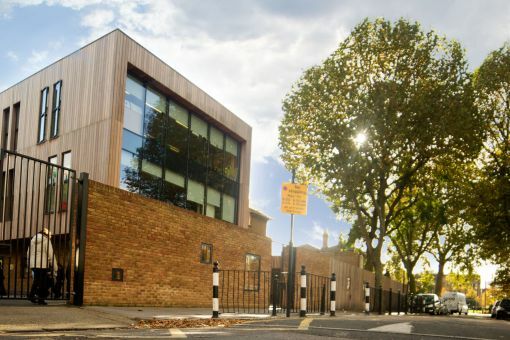 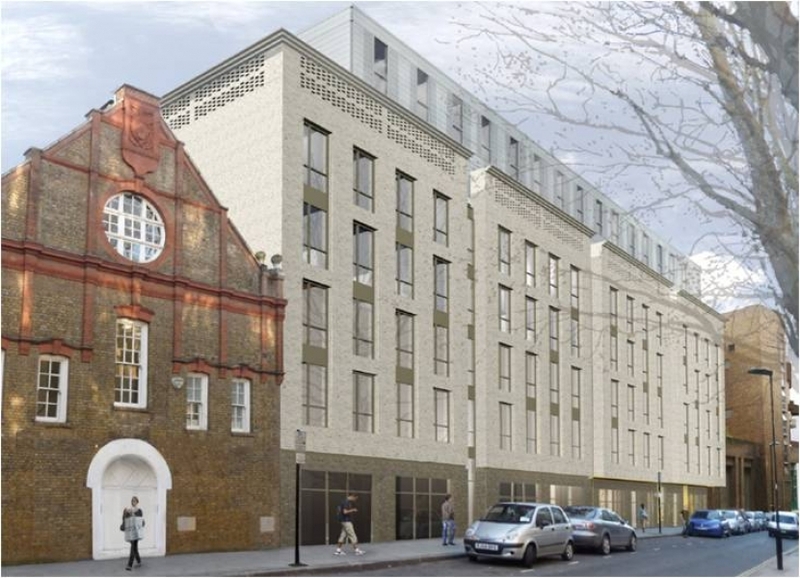 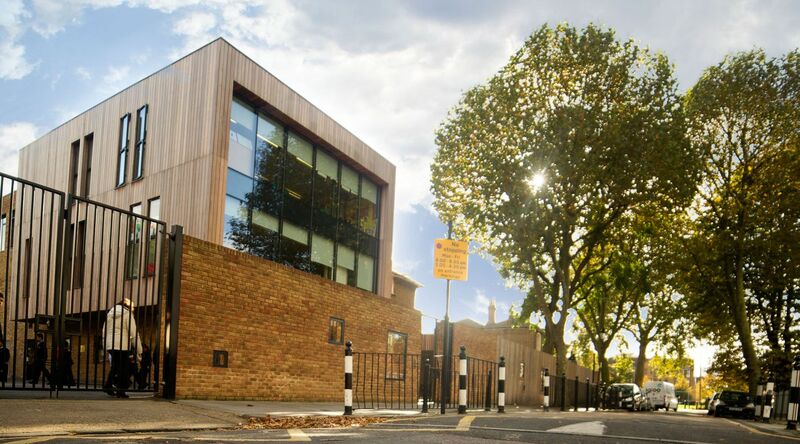 This redevelopment of a significant site in central London situated next to Lambeth Palace, involves the reuse of the existing building foundations and basement retaining walls, an approach bringing significant cost savings to the substructure works. 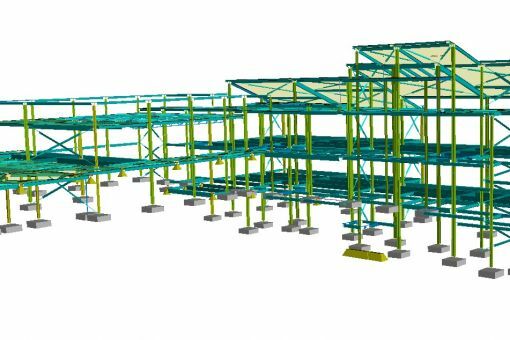 The superstructure is formed as post-tensioned concrete floor slabs to increase allowable spans between columns and decrease the requirements for transfer structures. 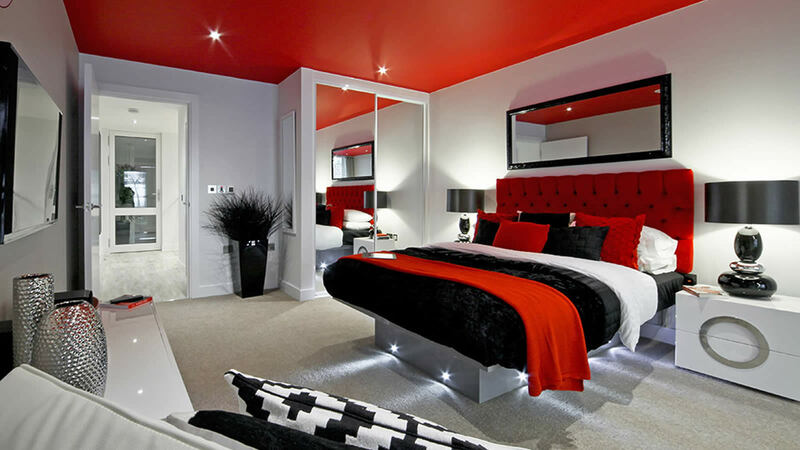 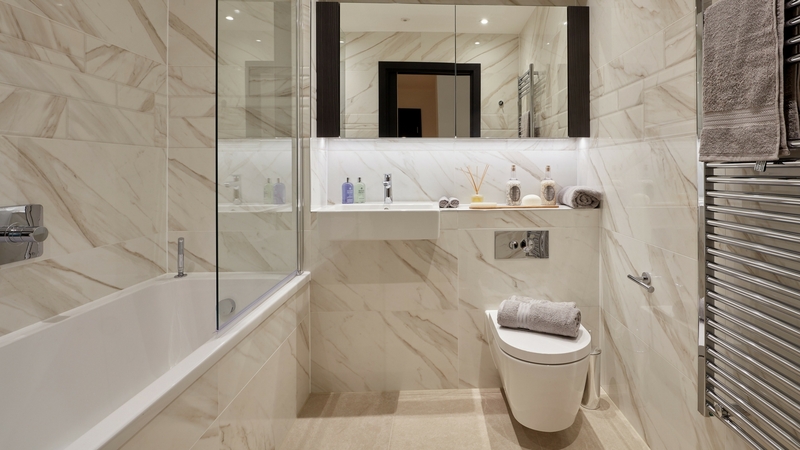 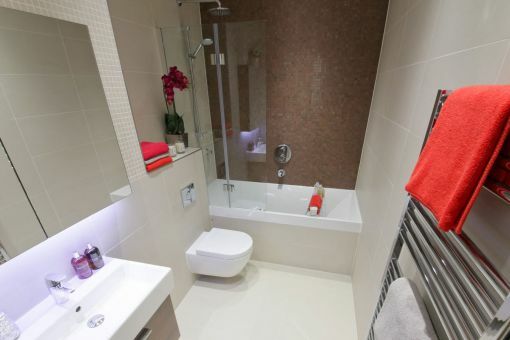 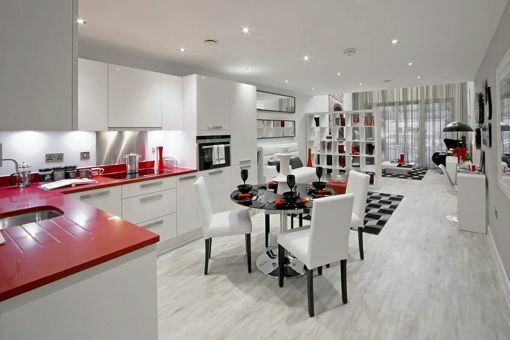 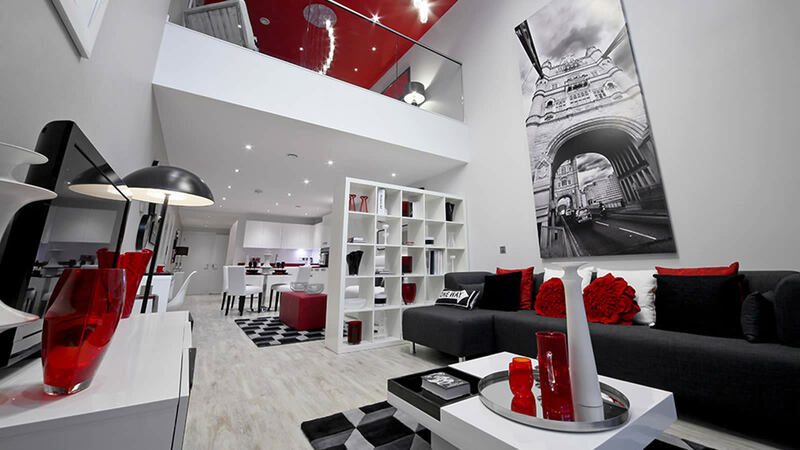 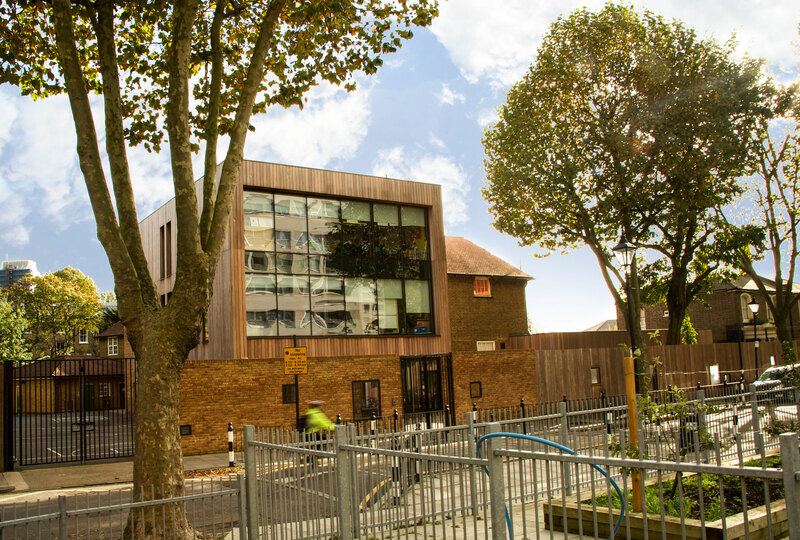 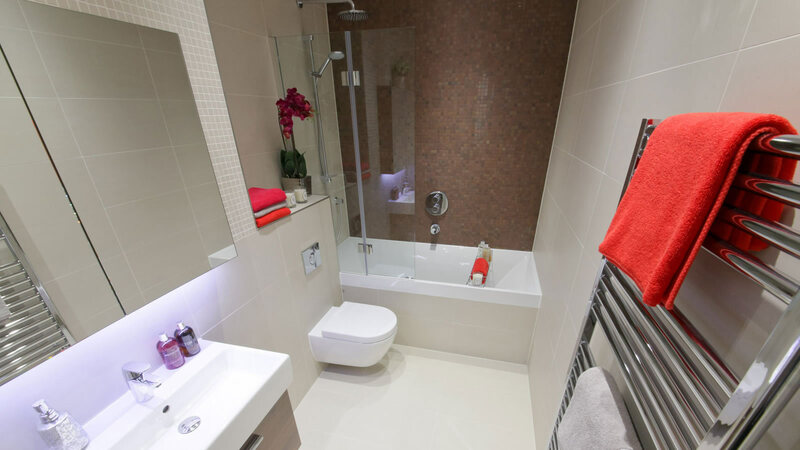 The Clapham Park Estate project involved the refurbishment of one of London’s largest housing estates. 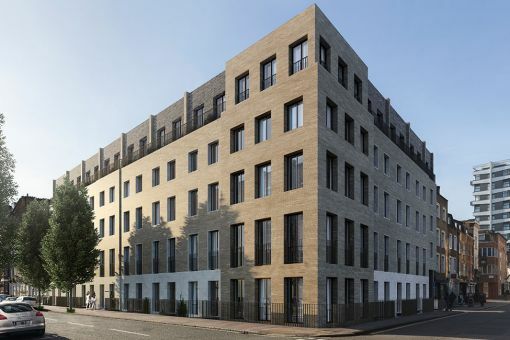 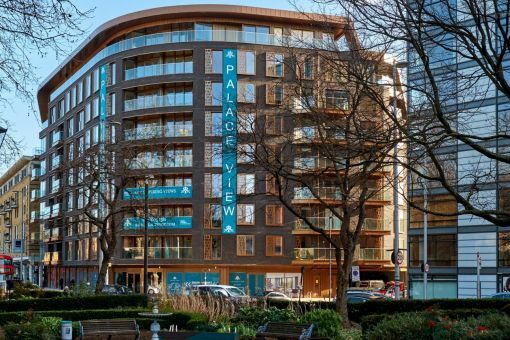 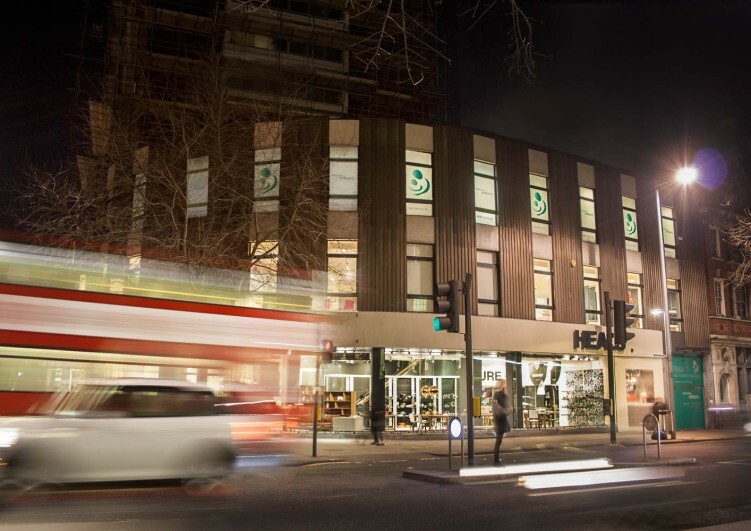 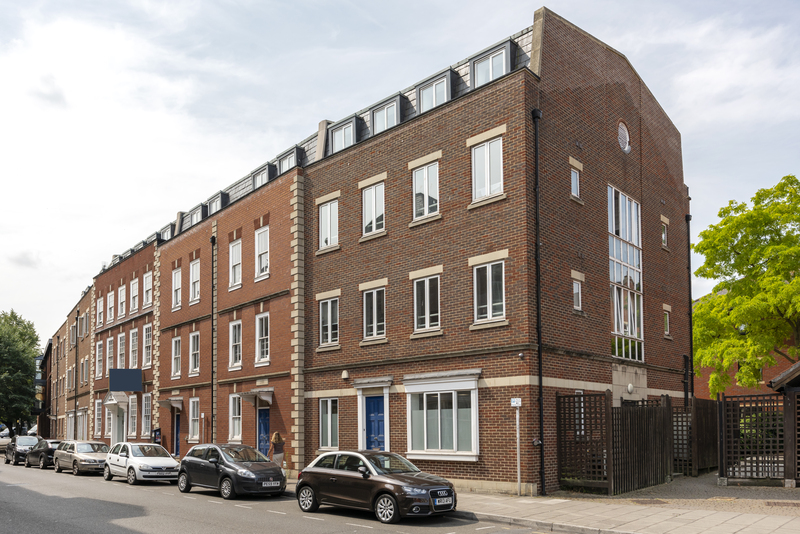 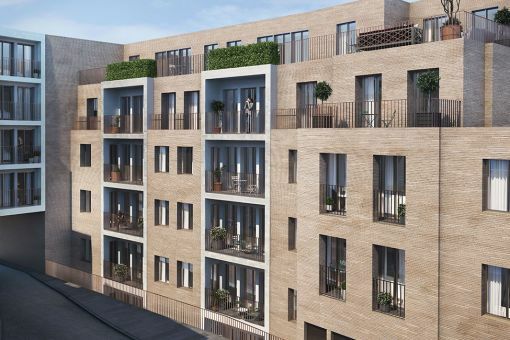 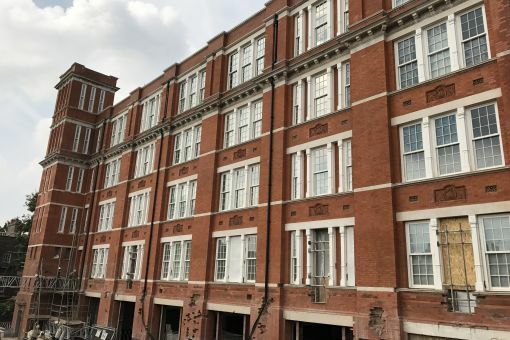 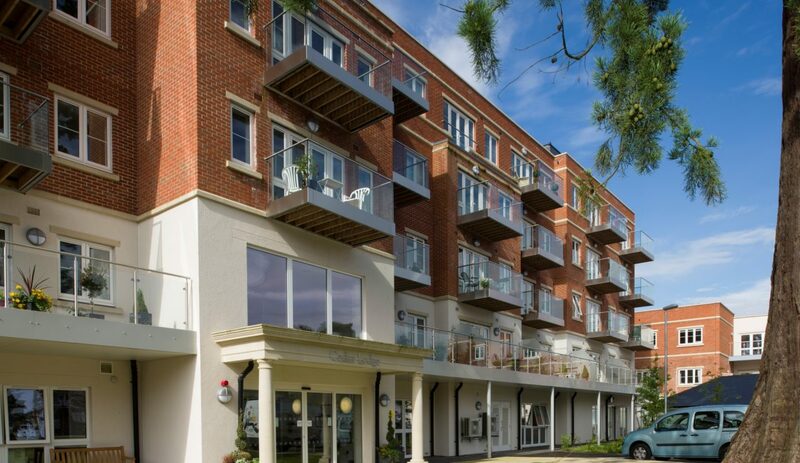 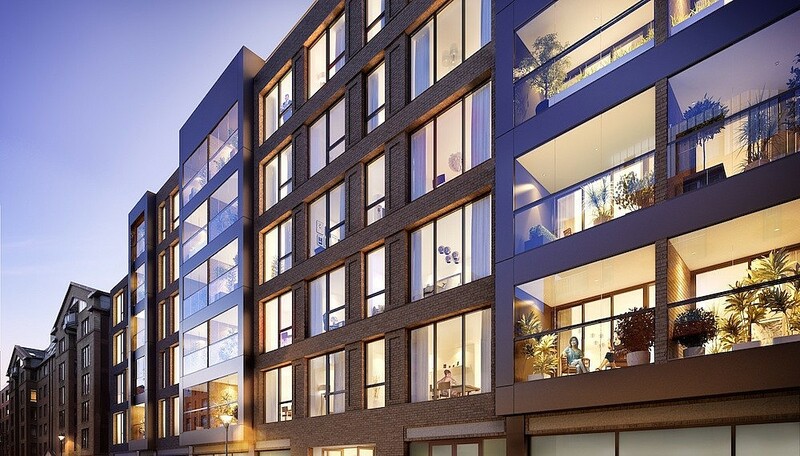 Located in Clapham, the scheme featured the addition of new lift cores, balconies and masonry repairs to the existing four and five storey post war masonry buildings as well as modifications to external works and drainage. 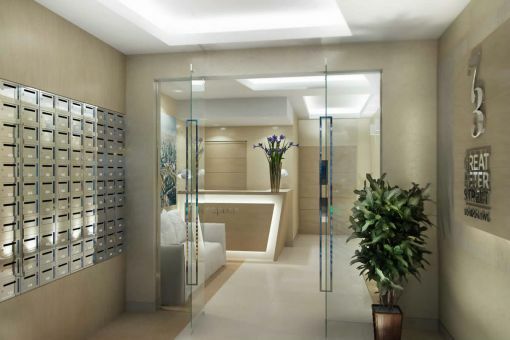 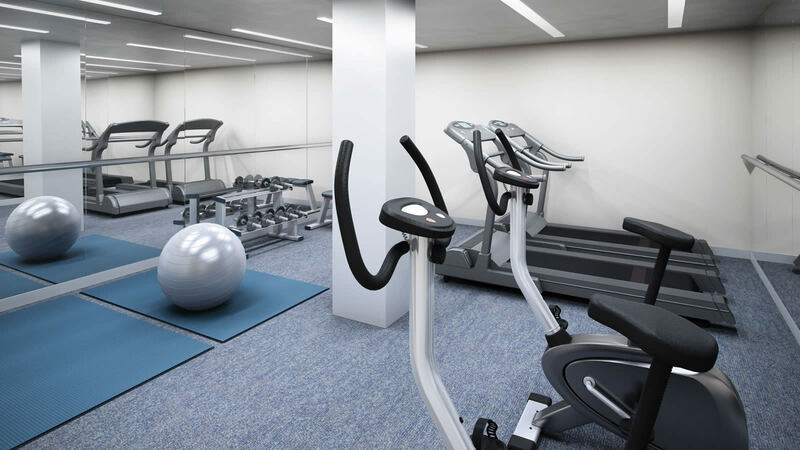 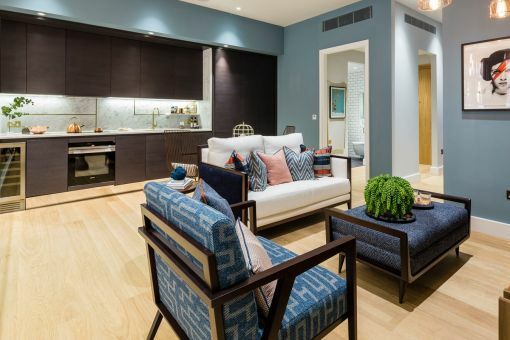 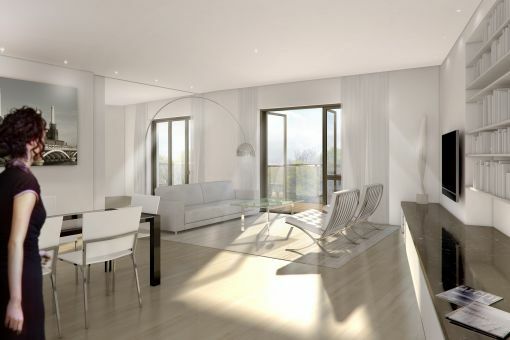 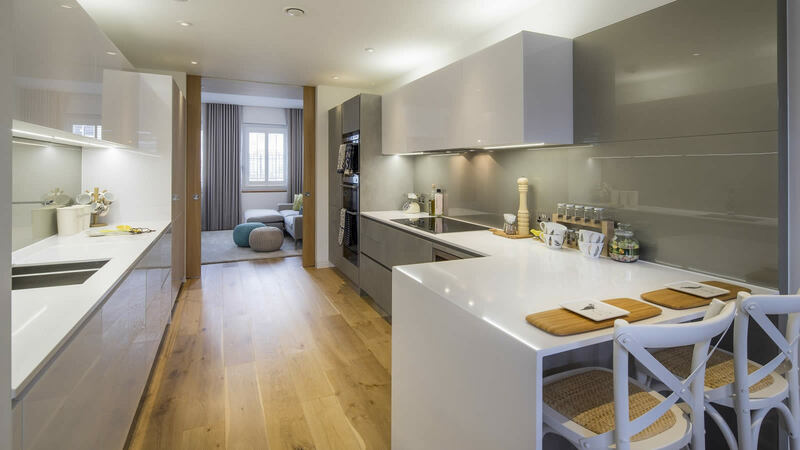 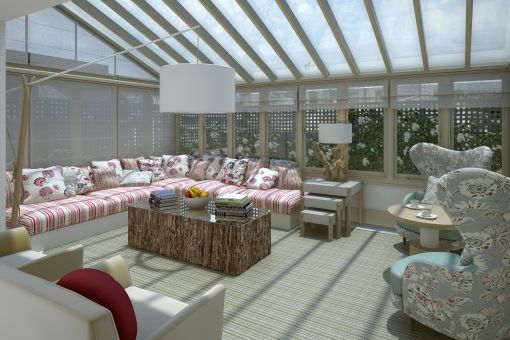 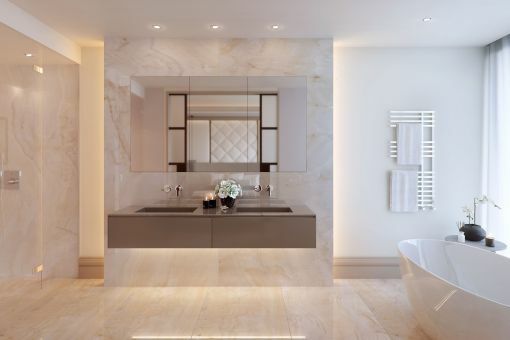 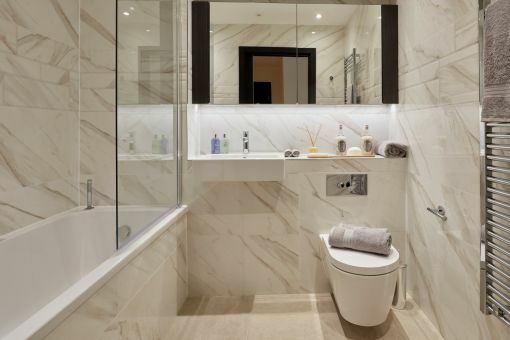 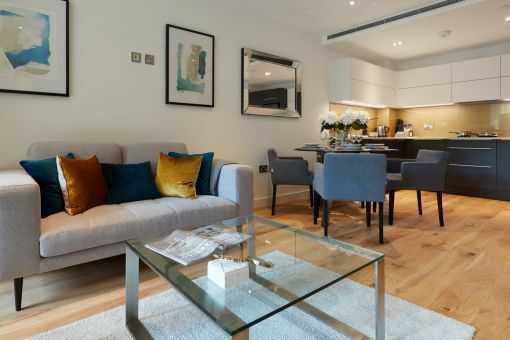 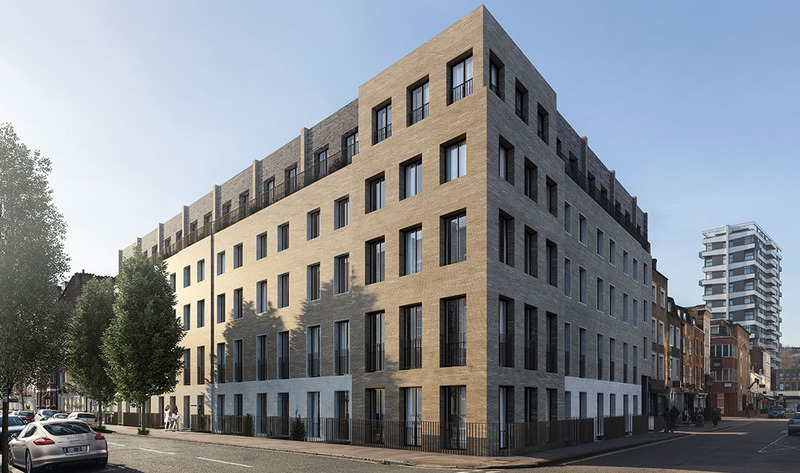 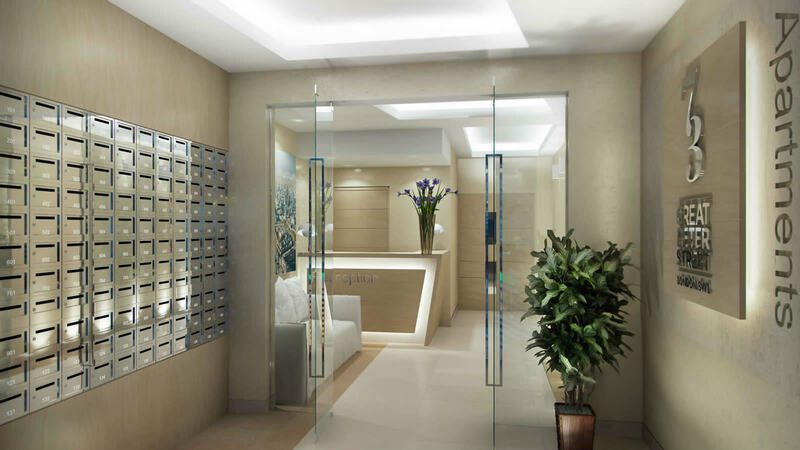 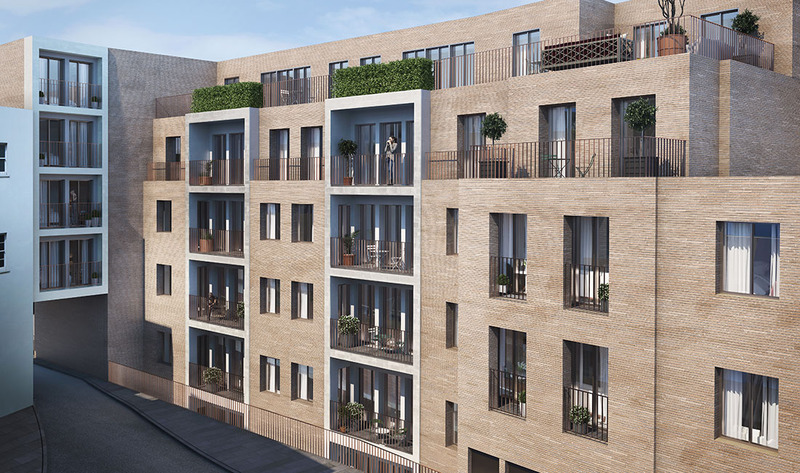 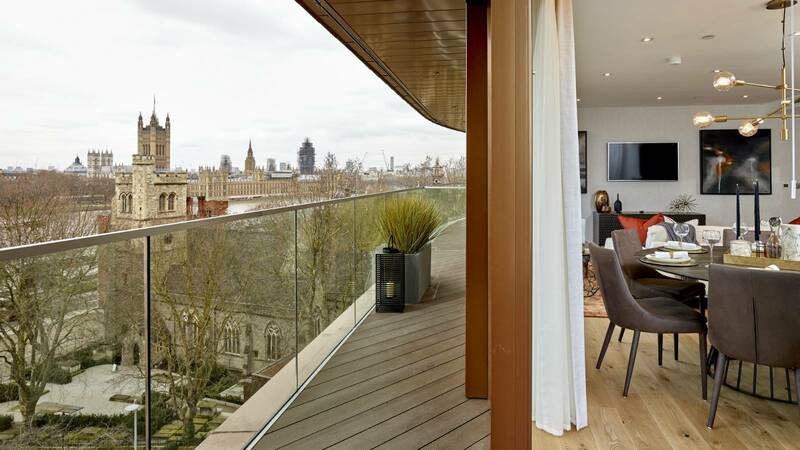 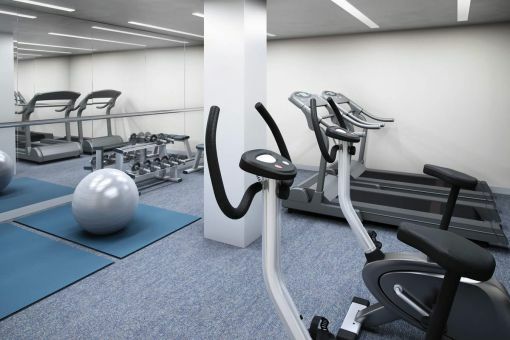 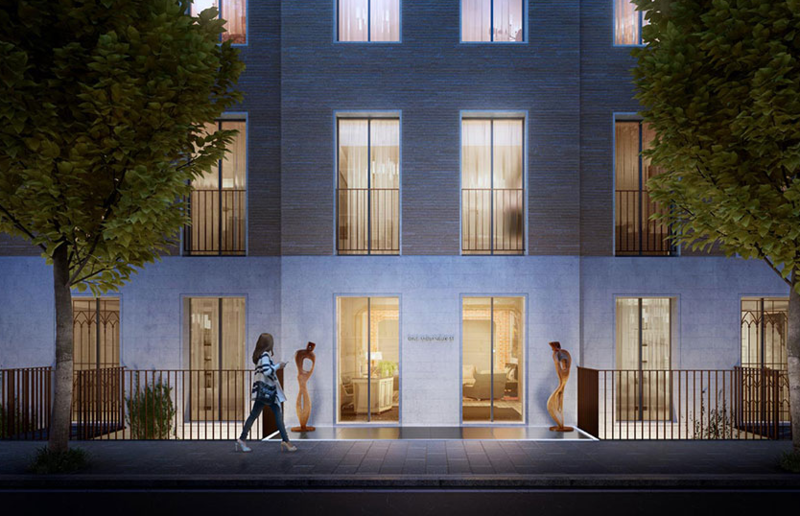 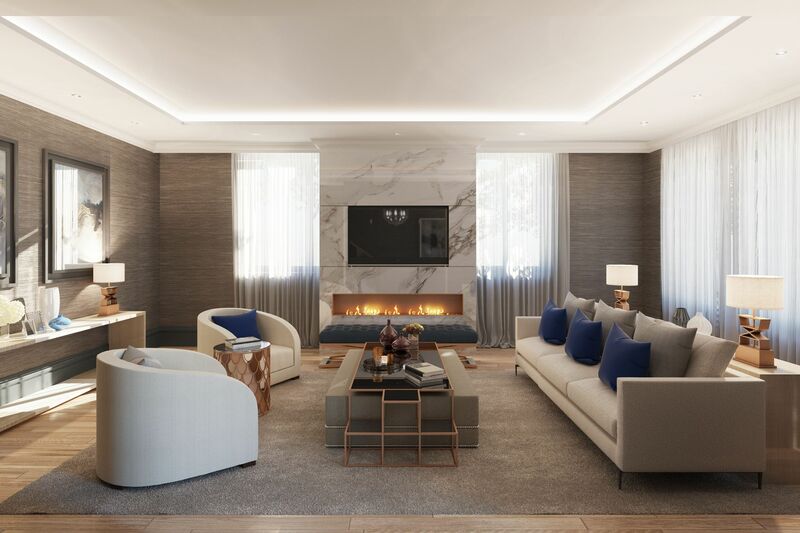 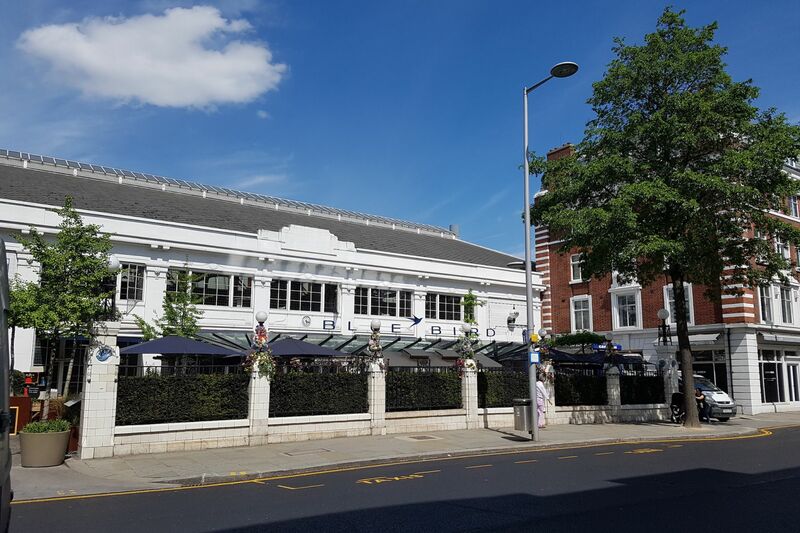 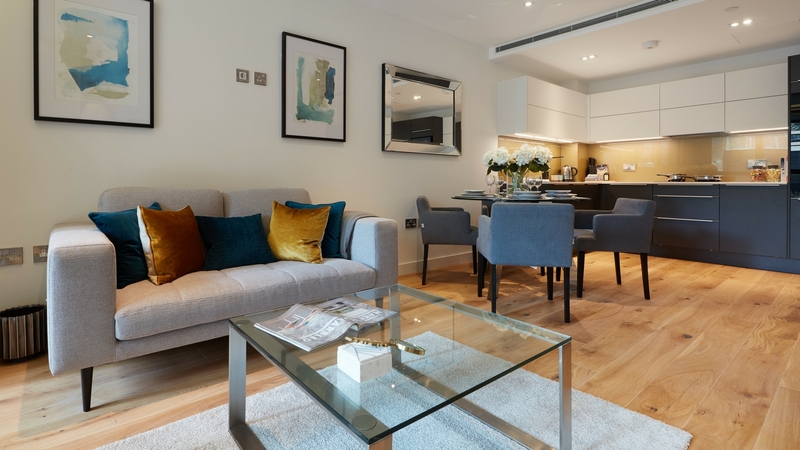 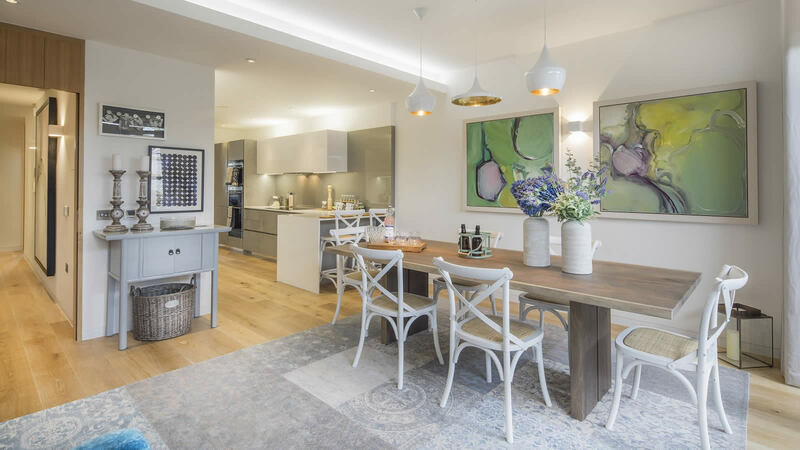 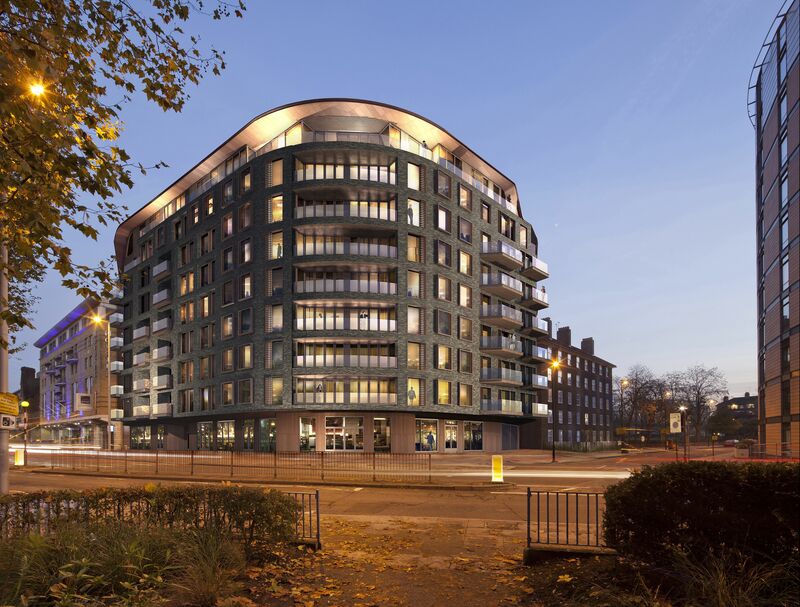 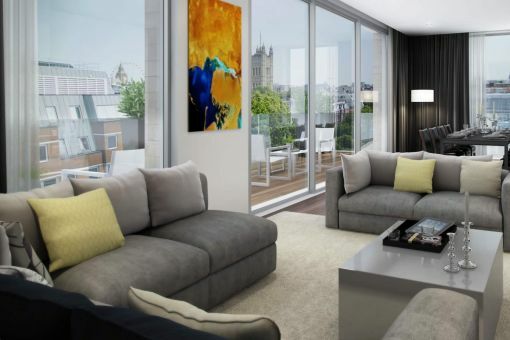 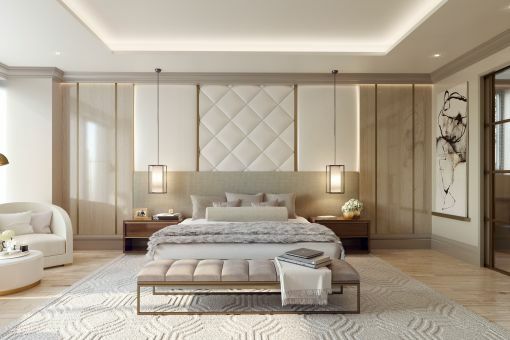 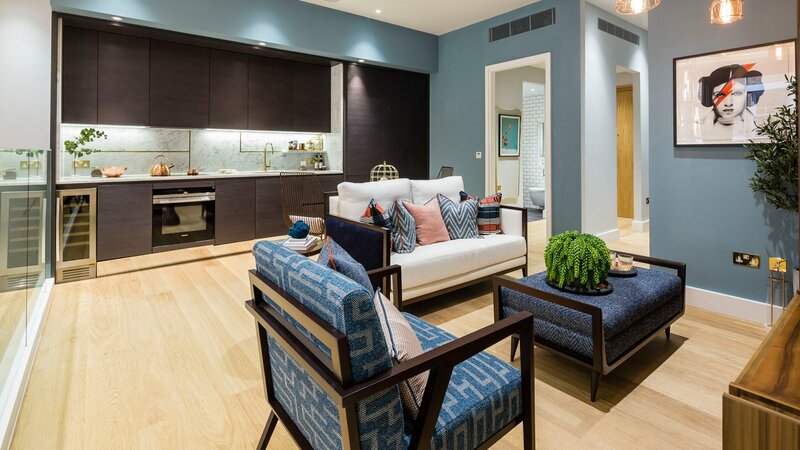 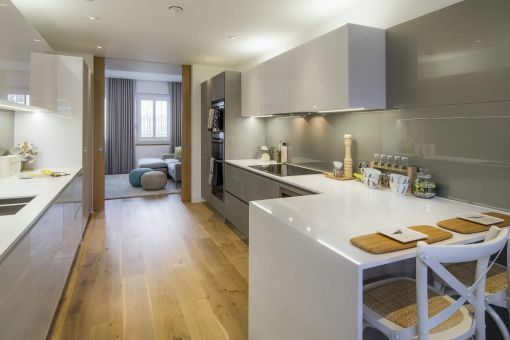 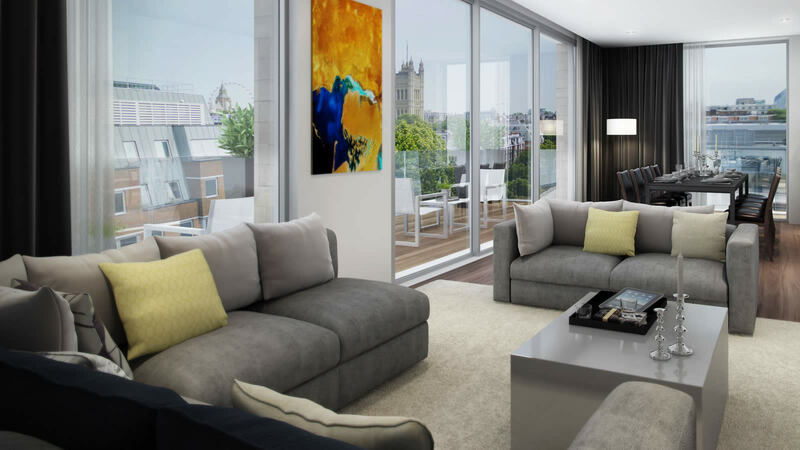 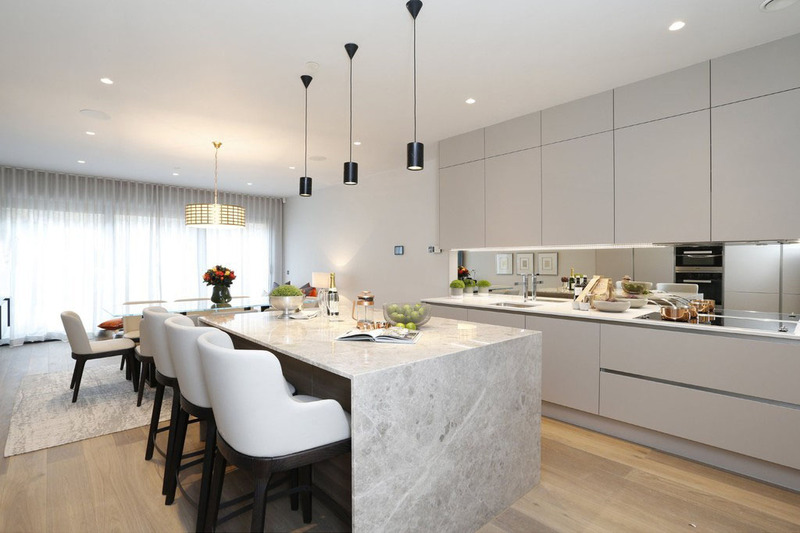 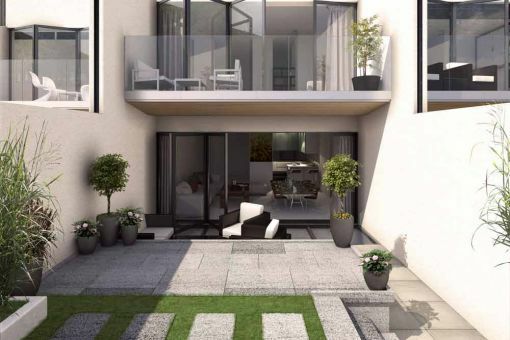 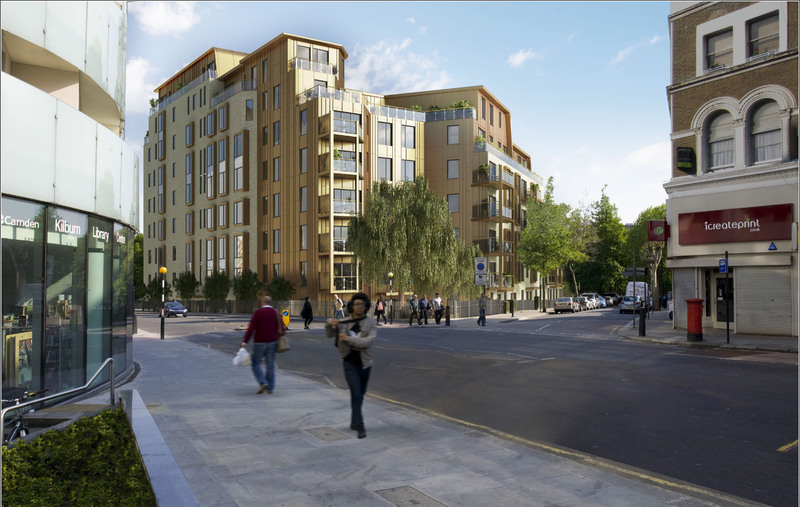 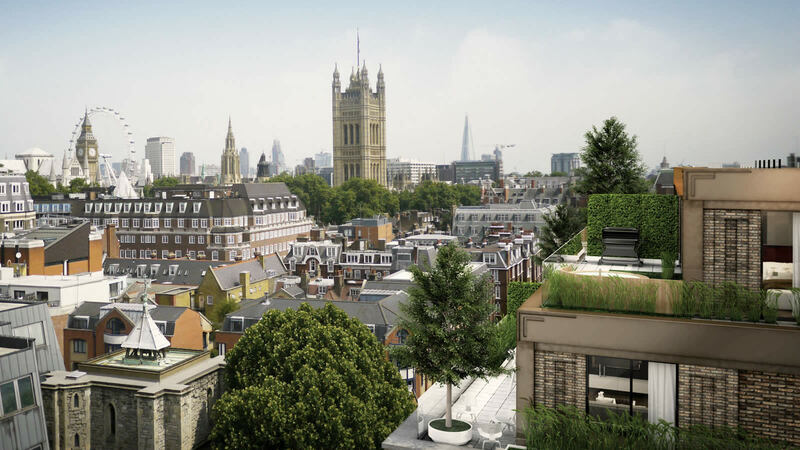 Tollgate Gardens is a landmark residential scheme in Maida Vale in central London involving refurbishment and new builds. 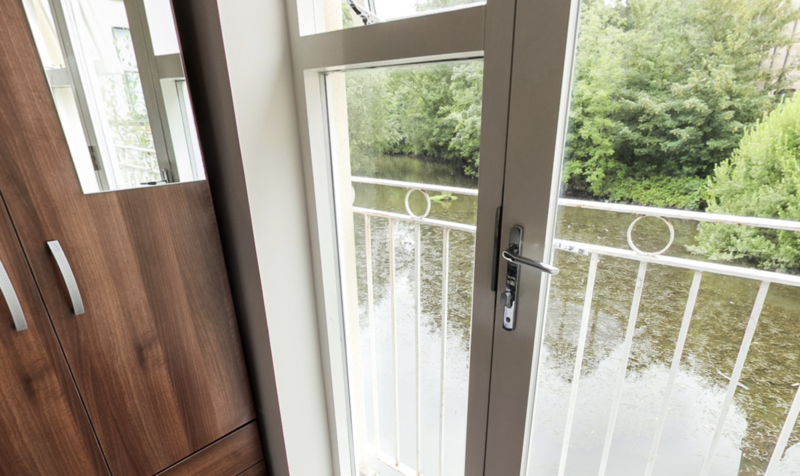 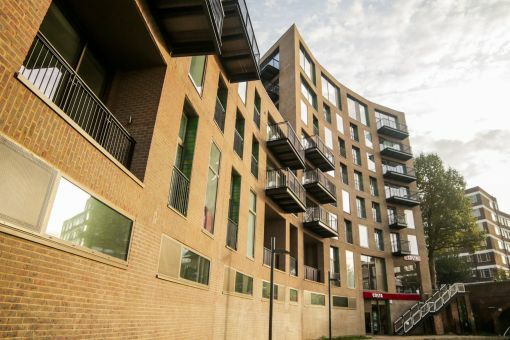 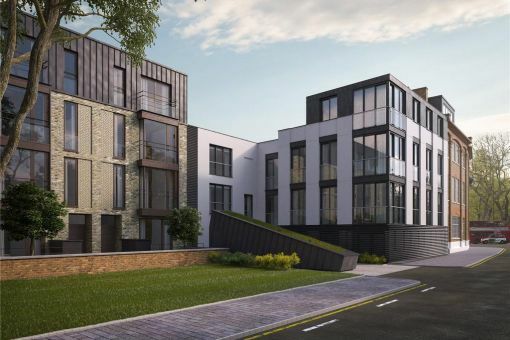 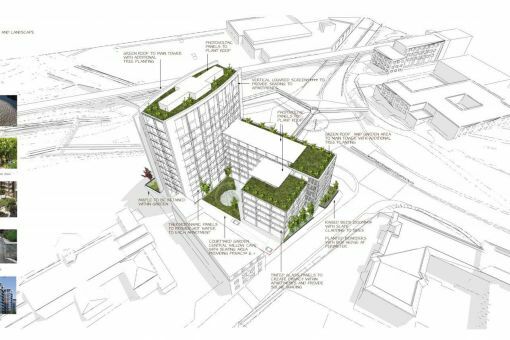 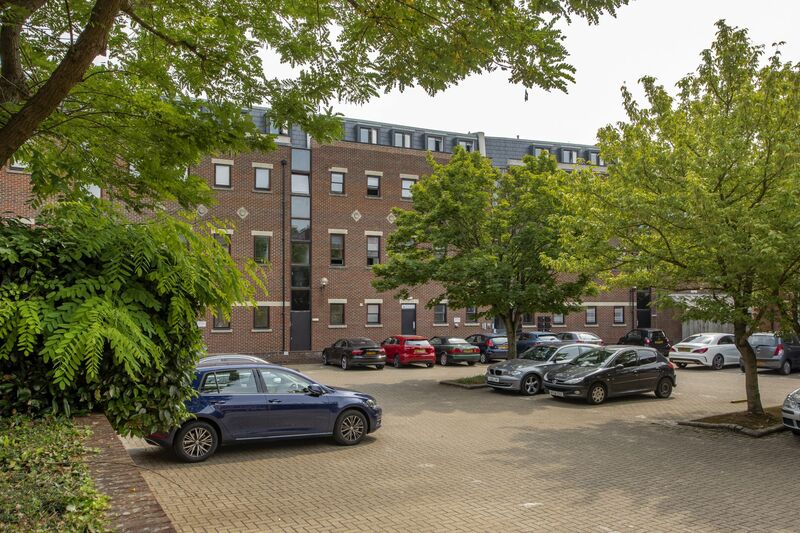 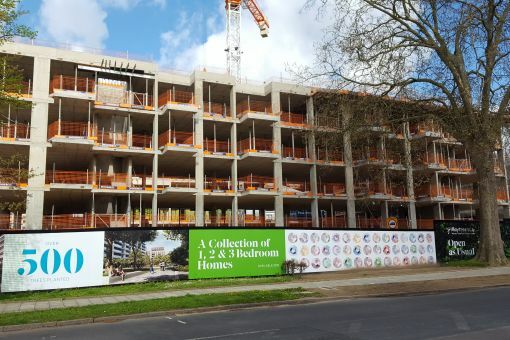 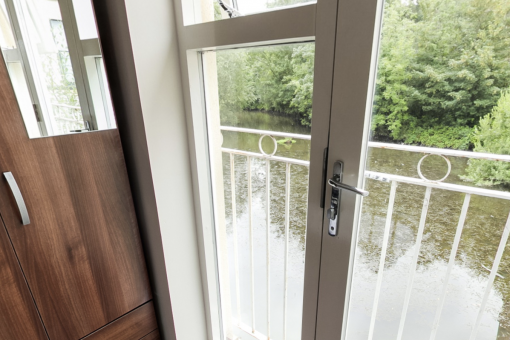 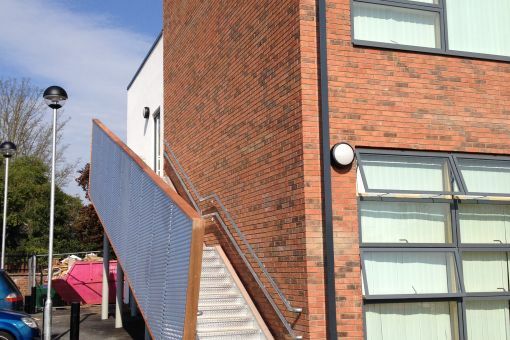 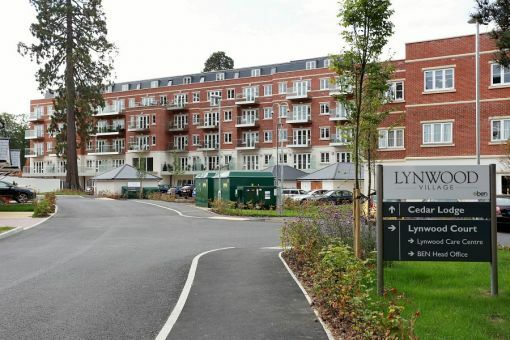 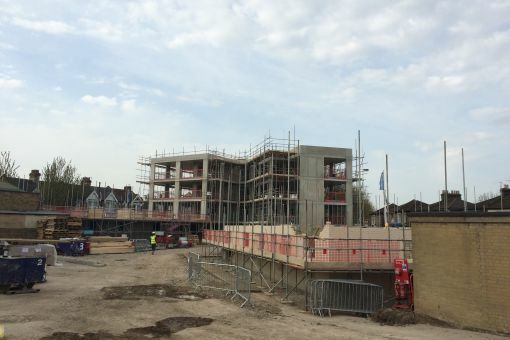 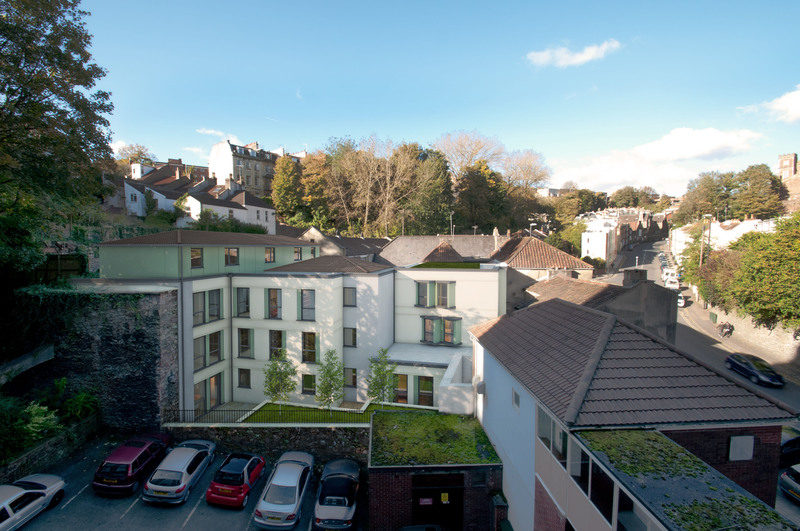 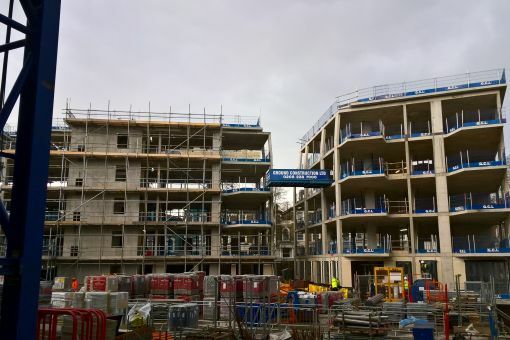 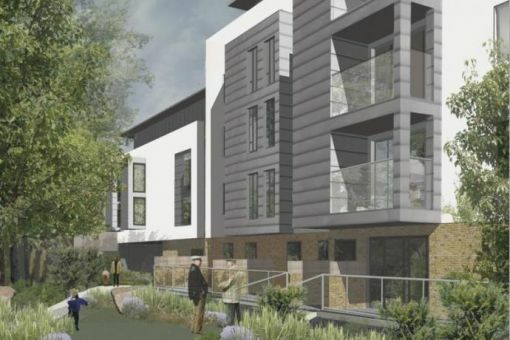 This urban site presented a number of design and detailing challenges requiring five new reinforced concrete apartment blocks as well as the refurbishment of the existing Tollgate House building. 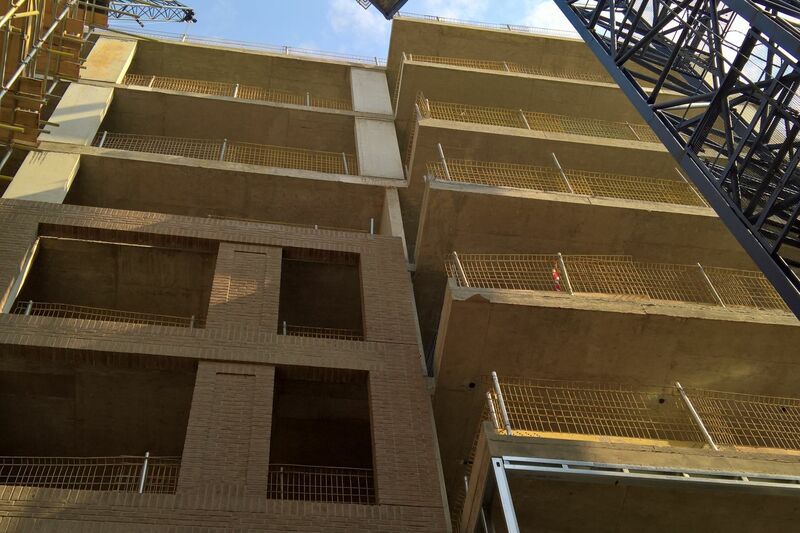 The blocks vary in height from four to 10 storeys and are supported on piled foundations. A complex transfer substructure was also required to bridge an existing trunk sewer which crosses the site. 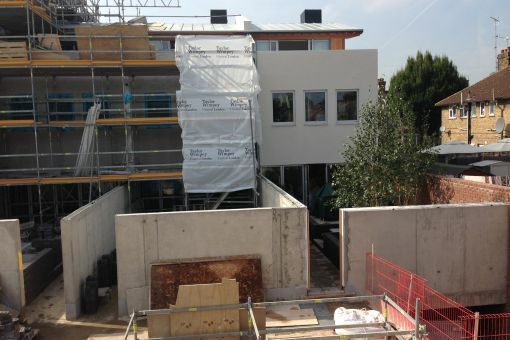 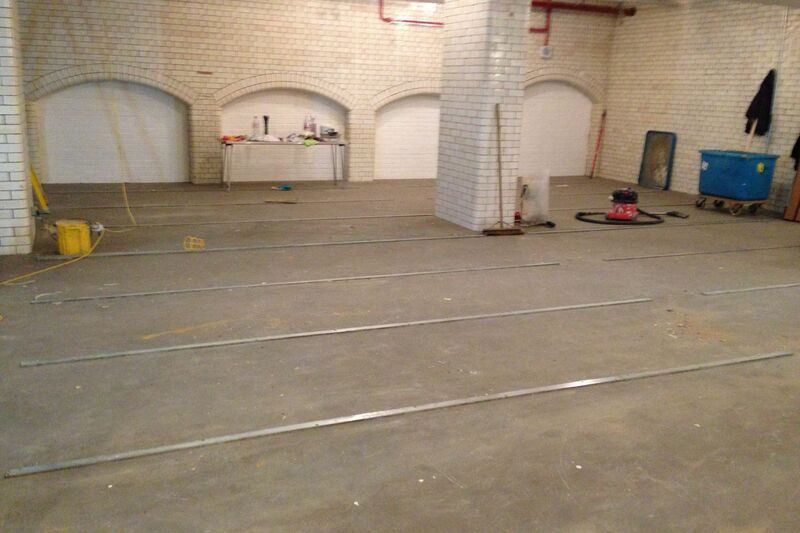 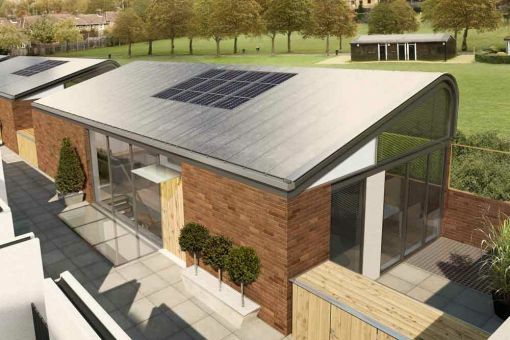 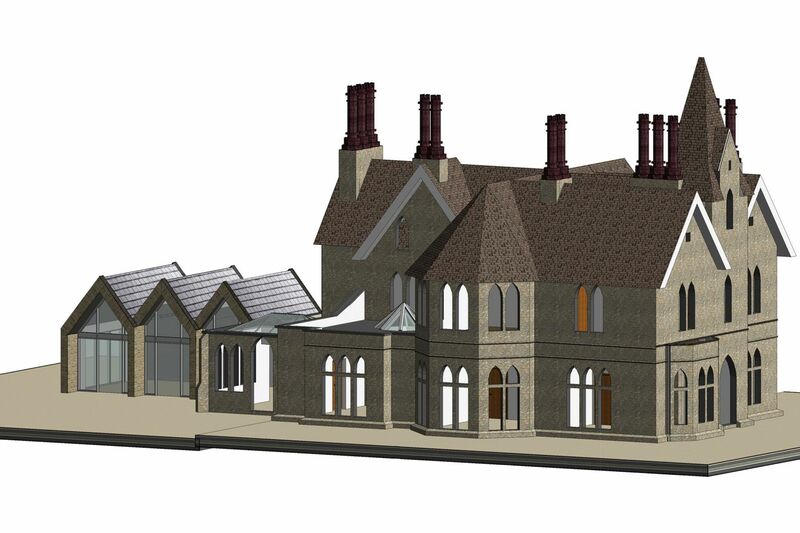 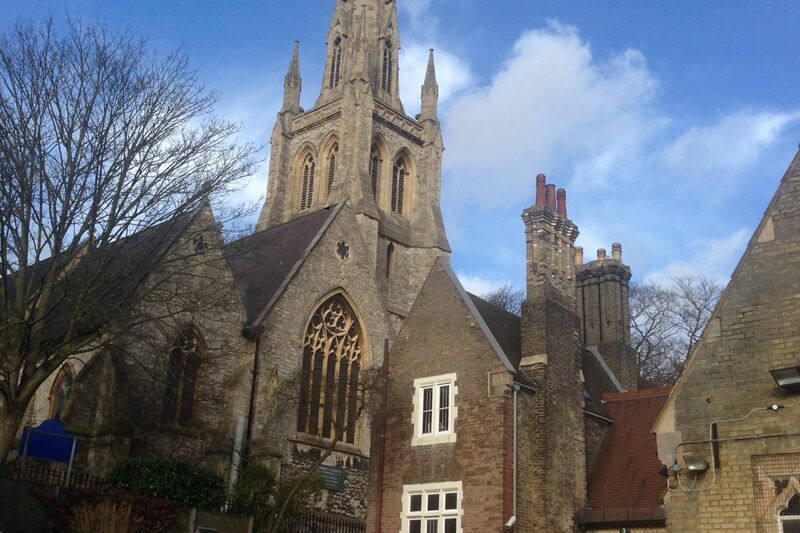 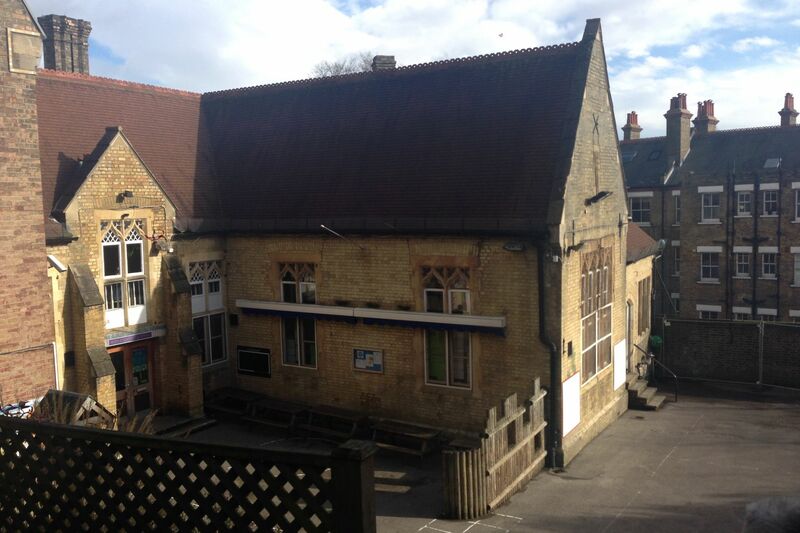 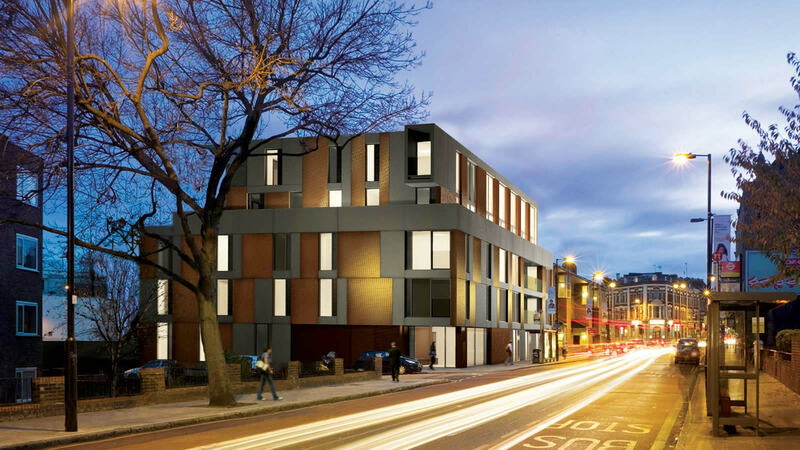 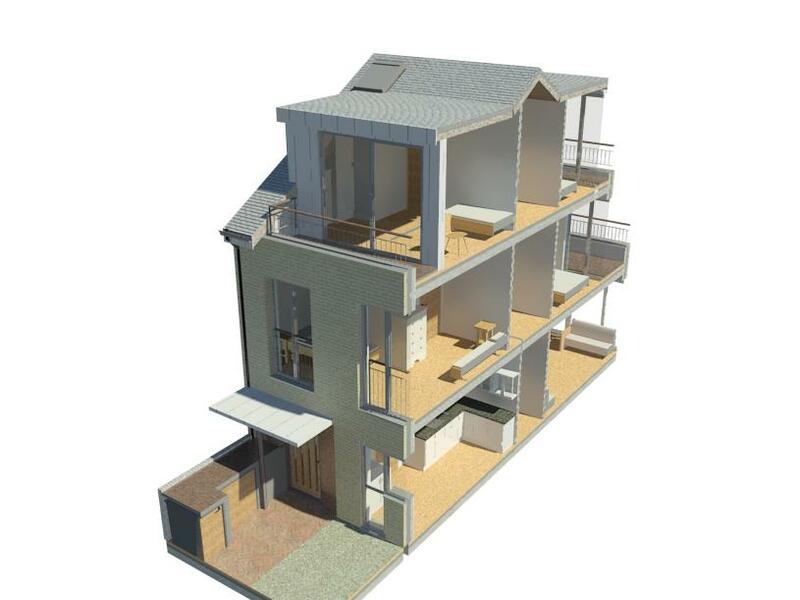 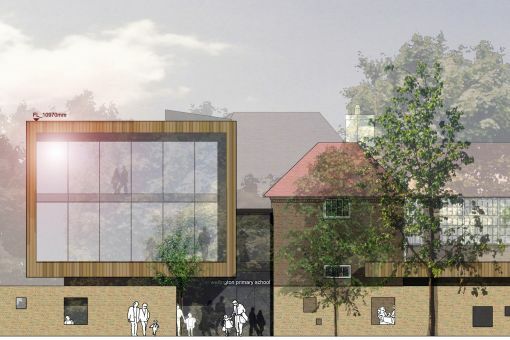 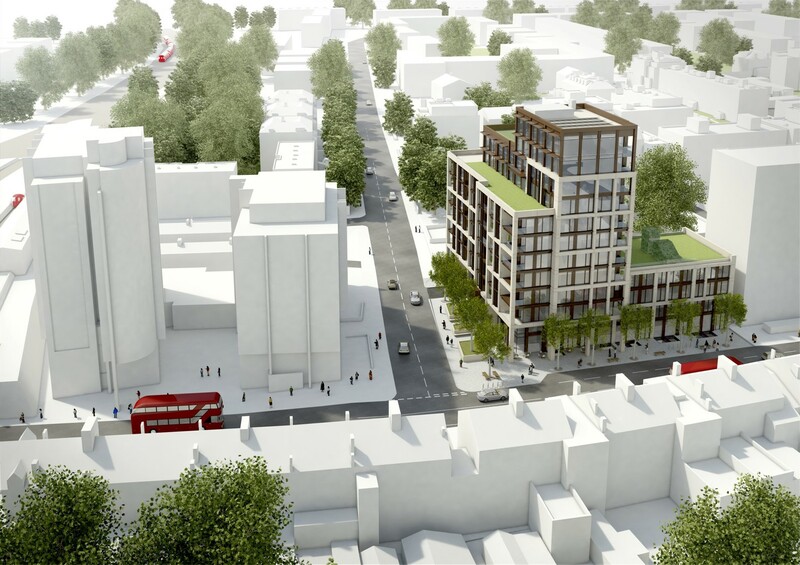 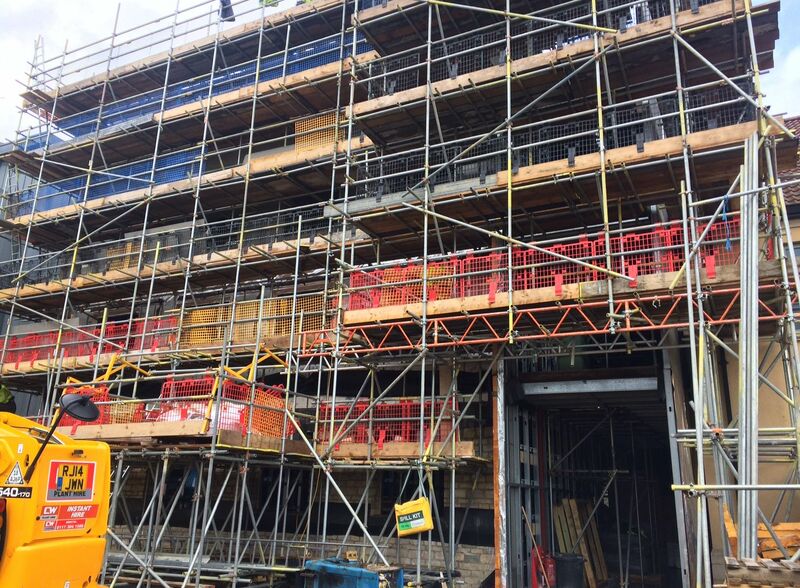 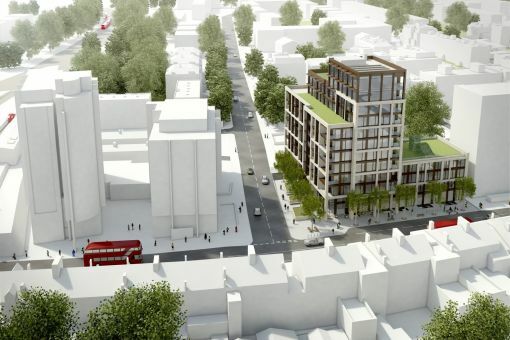 Civil & Structural Engineering services for the development of this North London site. 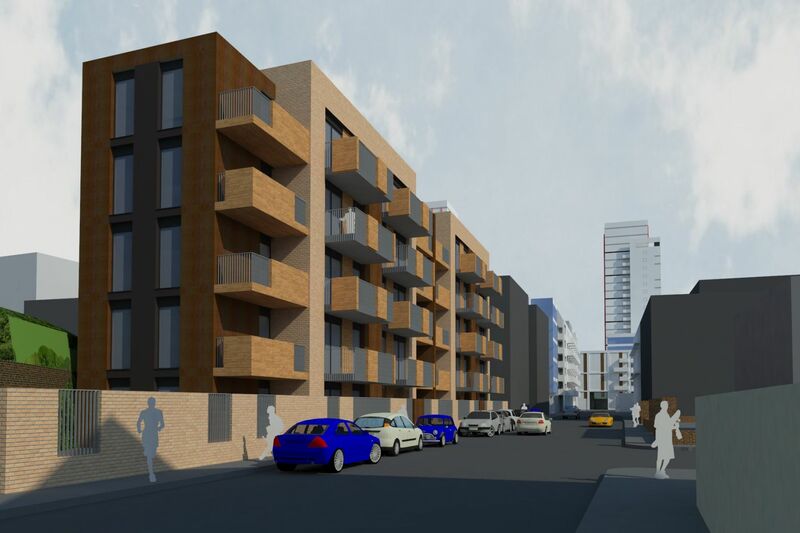 The project involves the construction of a new 7-storey concrete framed apartment block with basement car parking and a landscaped podium. 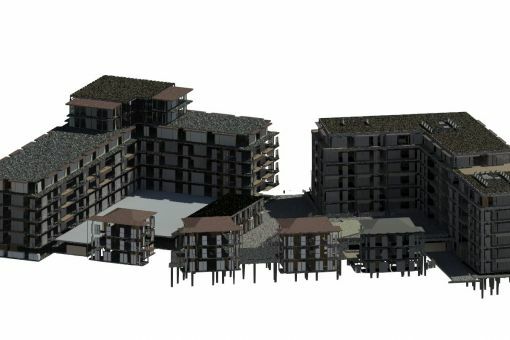 The building is cut into the slope with retaining walls at the top end of the site in excess of 6m deep. 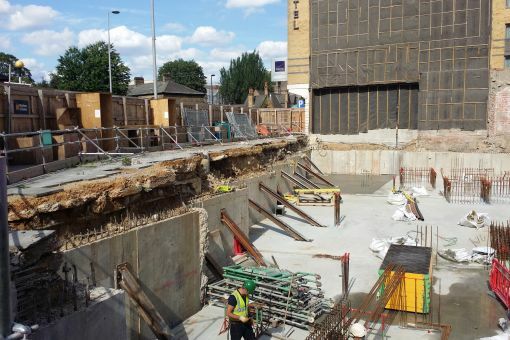 Careful planning and detailing of the temporary works allowed a secant wall to be constructed around the basement despite the proximity of the adjacent highways and amenity spaces. 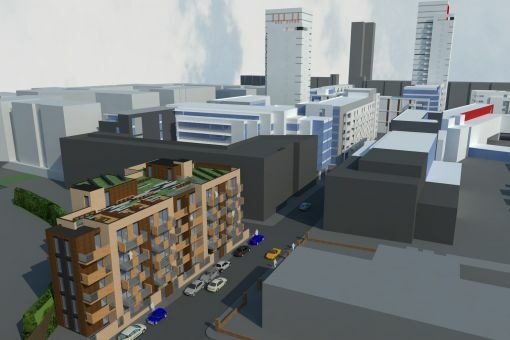 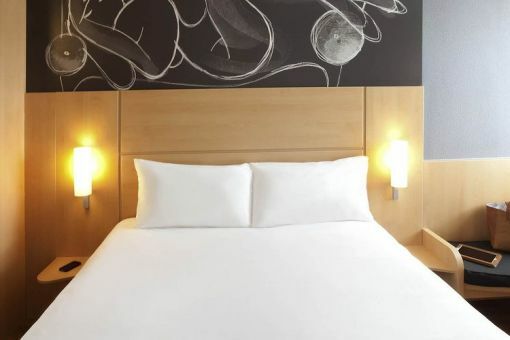 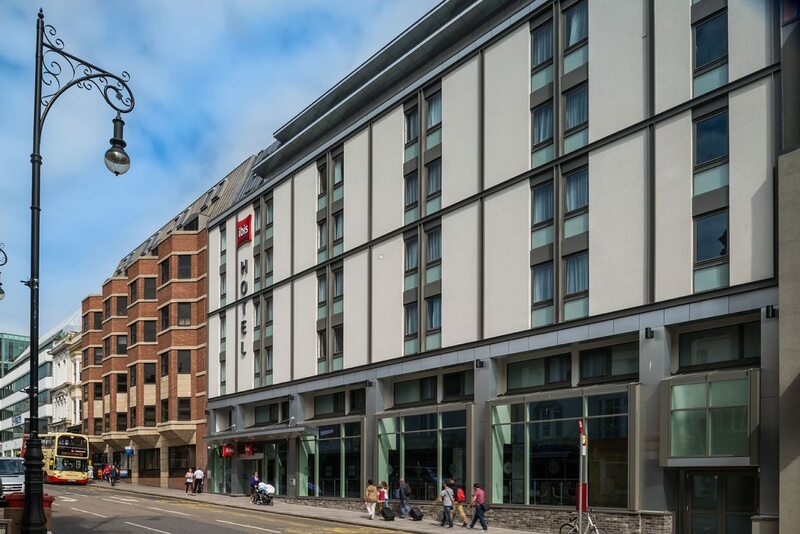 This scheme involved the demolition of an existing casino adjacent to the railway station in the centre of Brighton, and construction of the new 140-bed Ibis Hotel. The site was constrained on all four sides by an adoptable highway and terraced buildings. 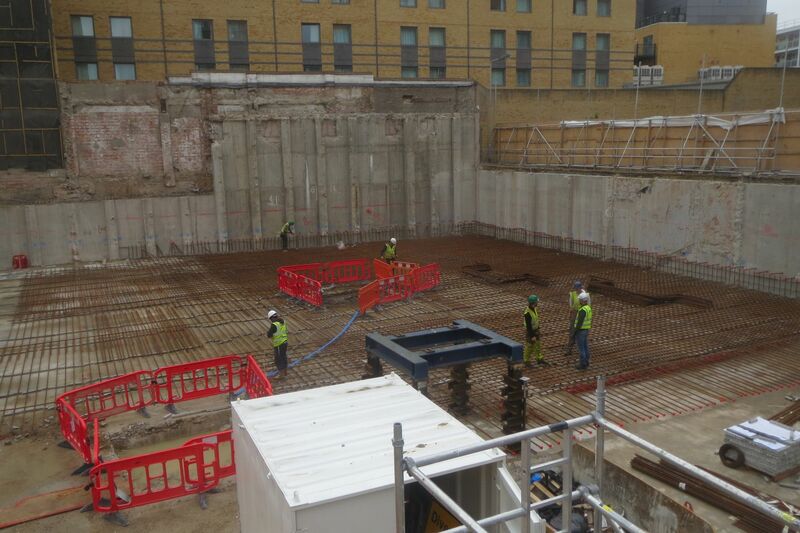 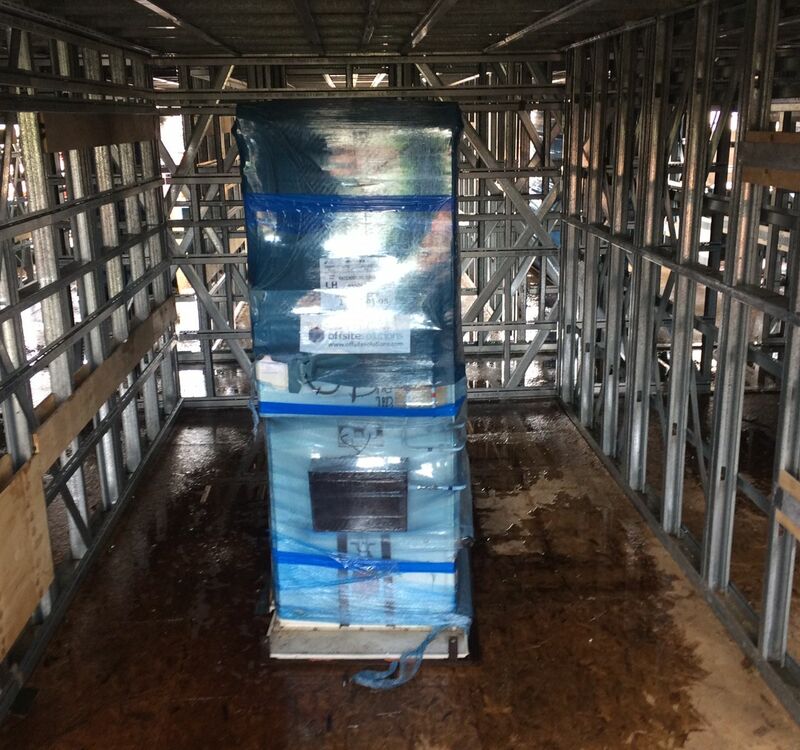 Complex and careful sequencing was therefore vital to this project’s success, necessitating considerable site interrogation prior to commencement. 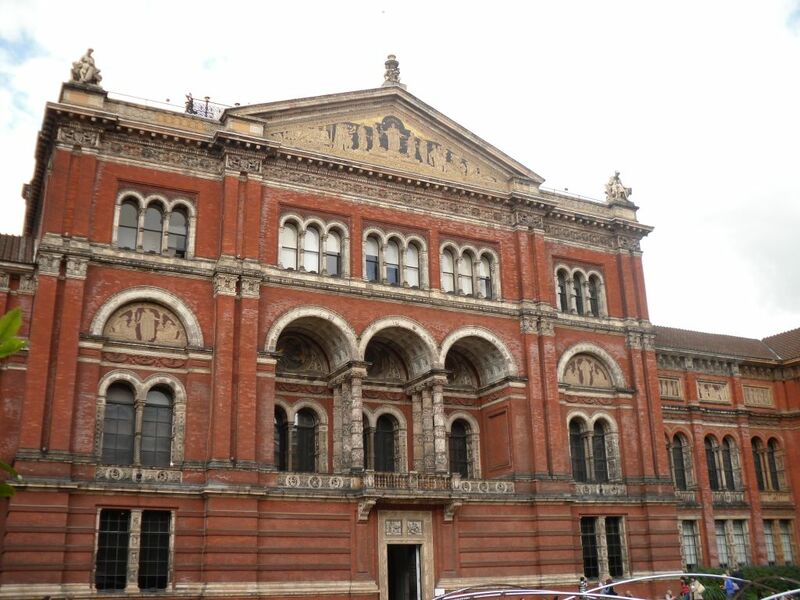 Iesis Special Structures have provided structural design services for a number of projects within the listed buildings of the V&A at both the main site on Exhibition Road and at Blythe house in Olympia. 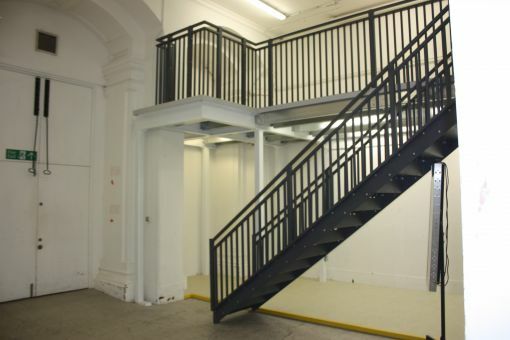 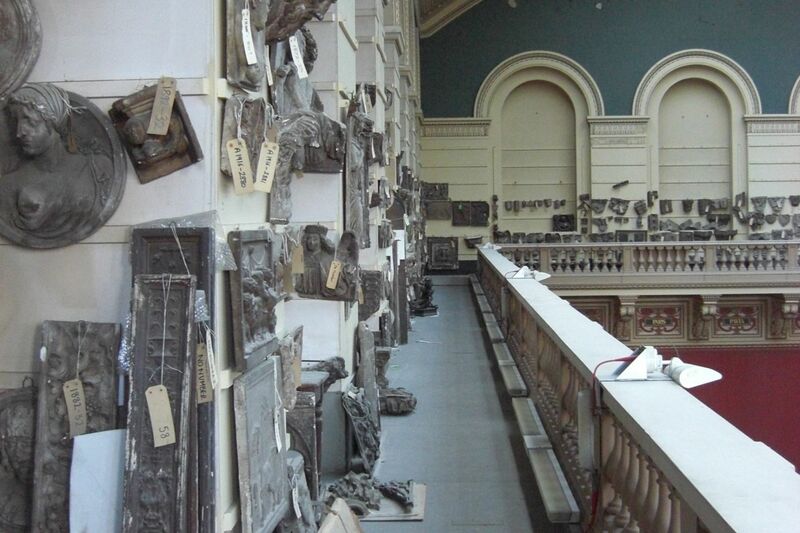 Details included a new mezzanine within the listed North Court area of the museum where a key challenge was for all supporting structures to be constructed over the underlying listed tiled flooring which had to remain protected throughout. 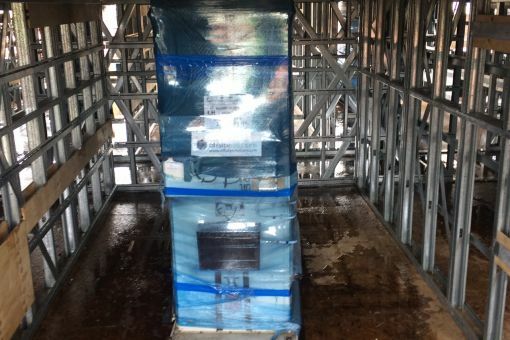 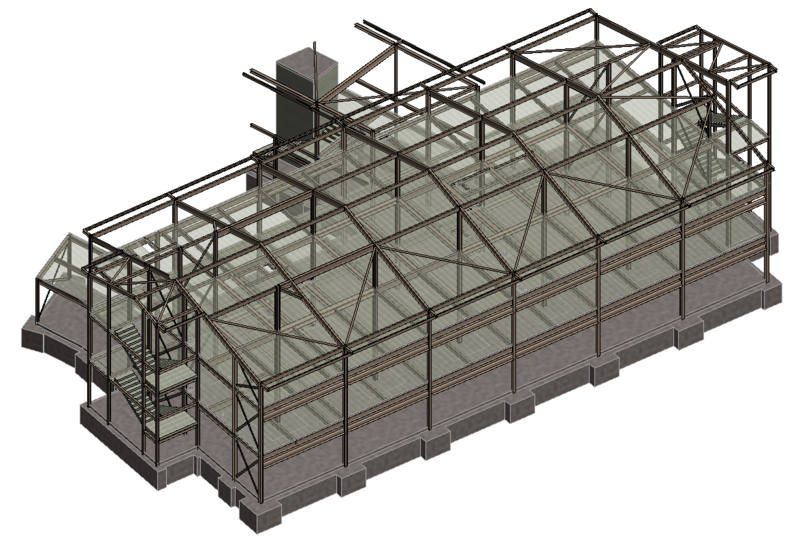 A new storage facility was also delivered at the museum’s Olympia facility. 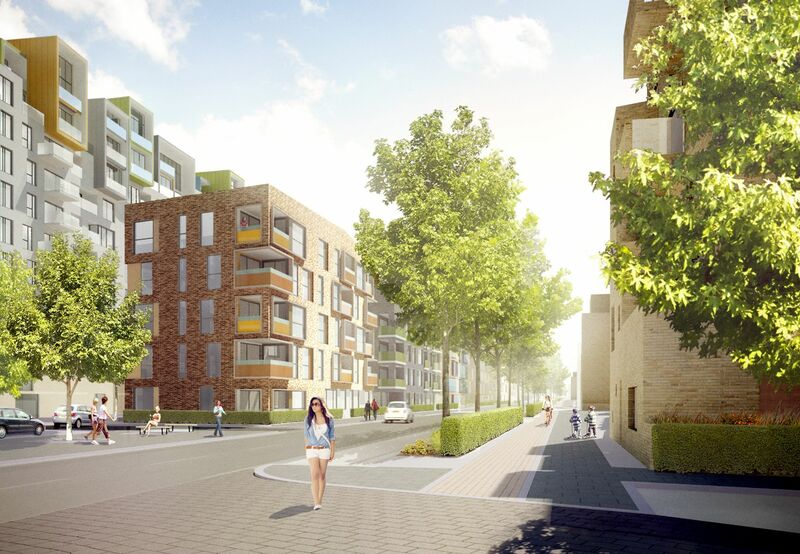 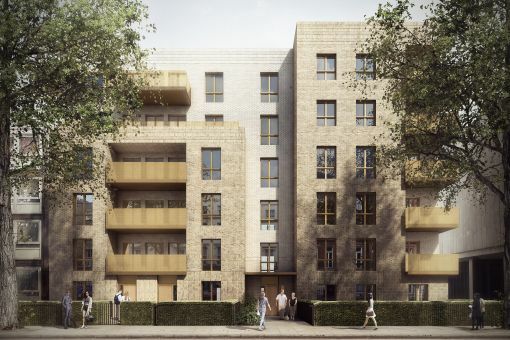 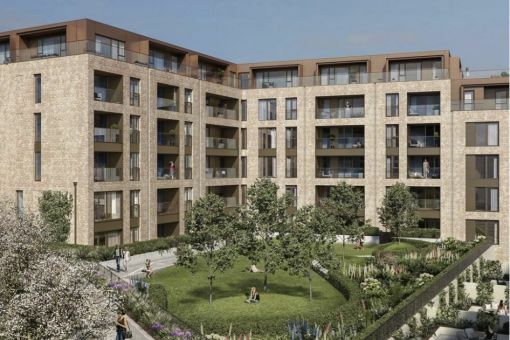 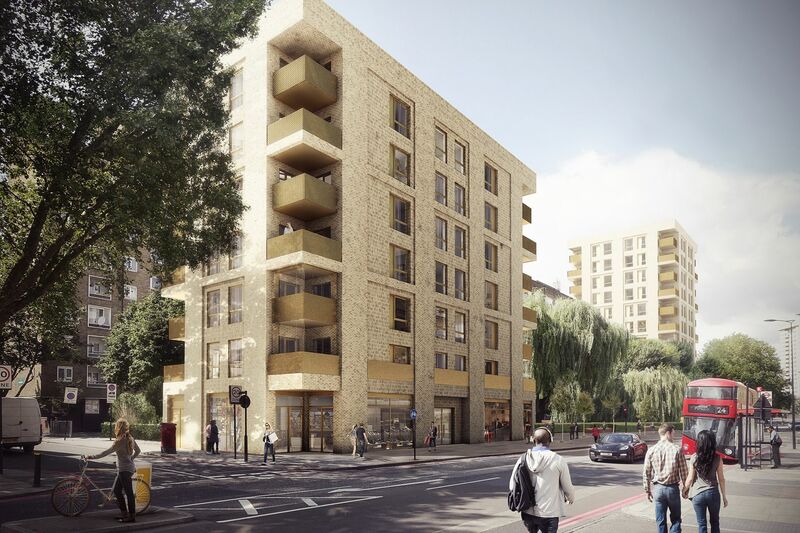 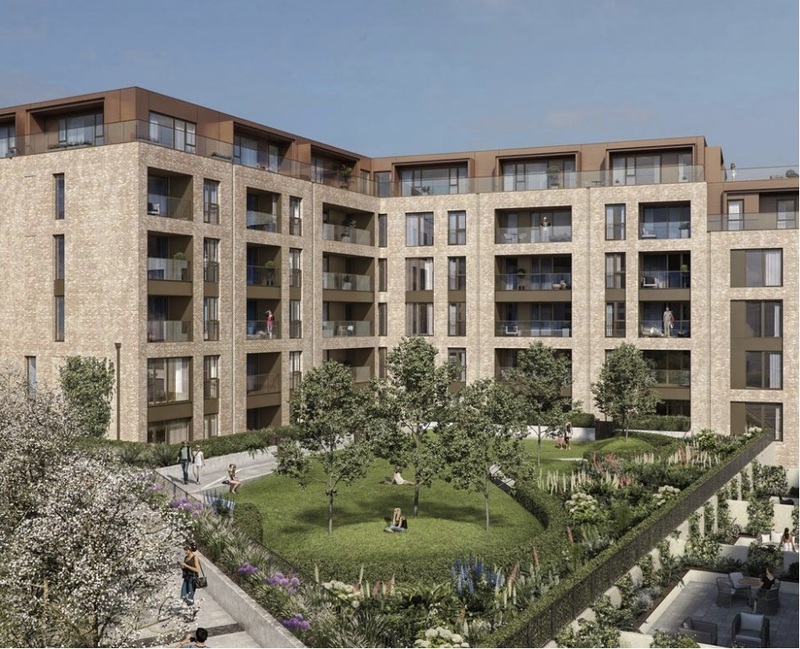 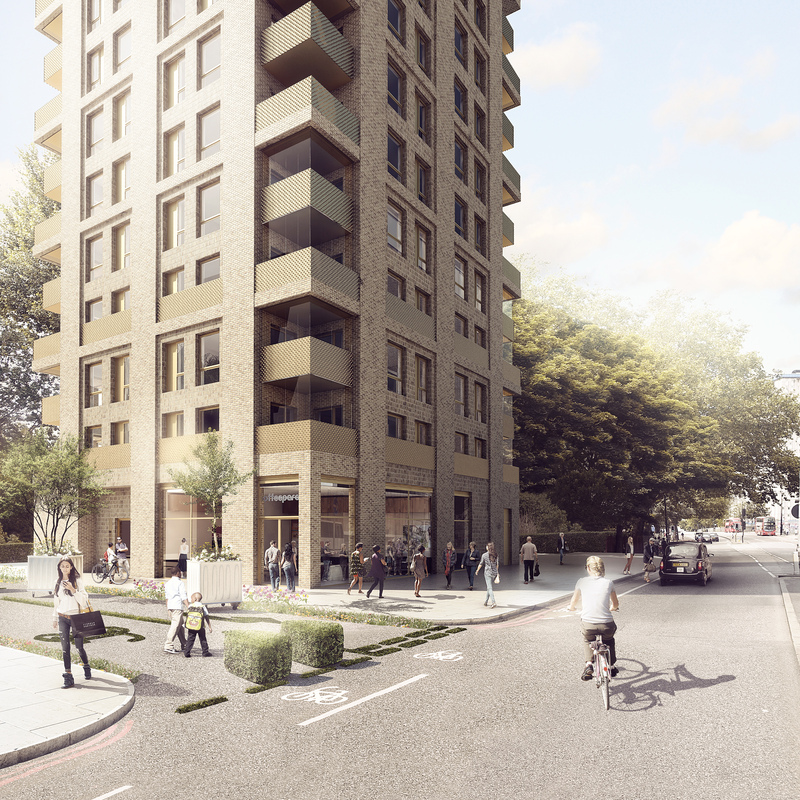 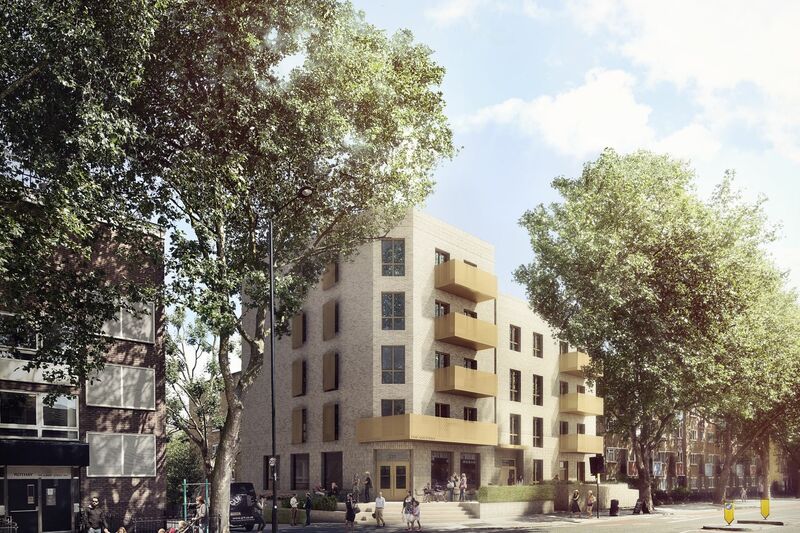 Part of the re-development of the Regents Park Estate to accommodate the HS2 routing, we are working with London Borough of Camden and Lovell on 8 separate sites within the re-development. 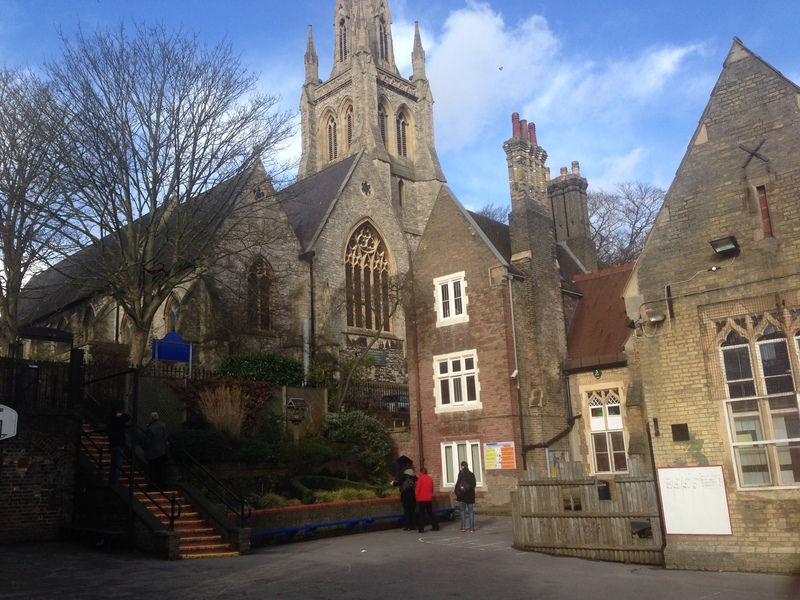 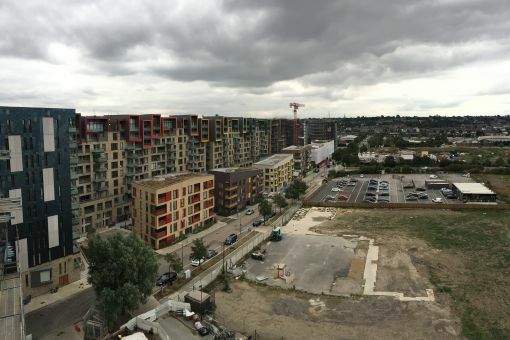 Each of the sites has its own challenges of the type associated with inner city regeneration – adjacent buildings, basements, services diversions, in addition to Thames Water sewer and BT trunk build-overs. 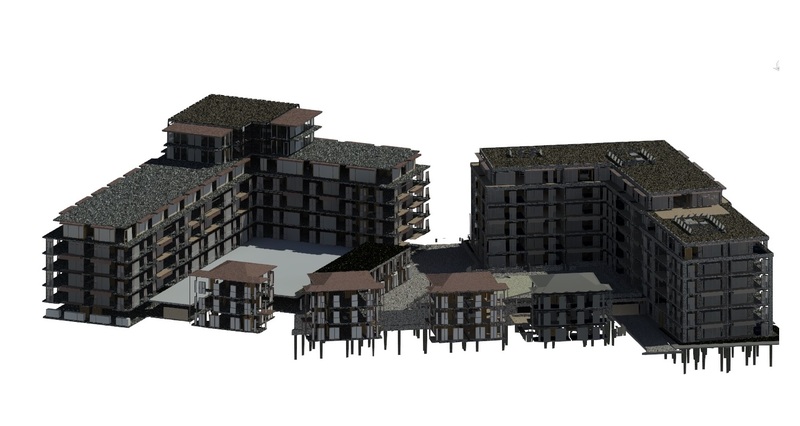 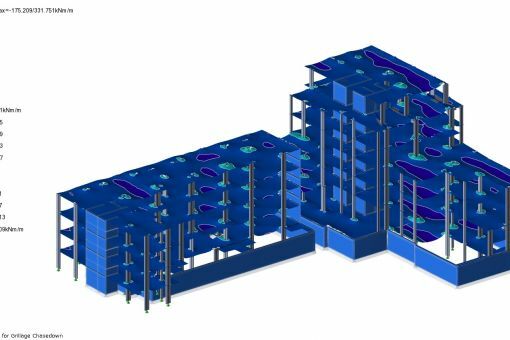 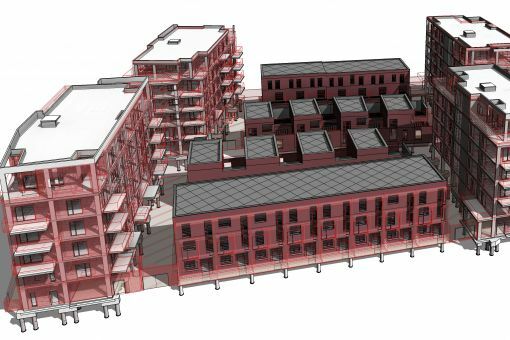 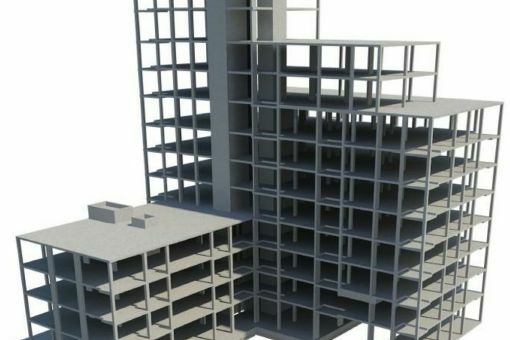 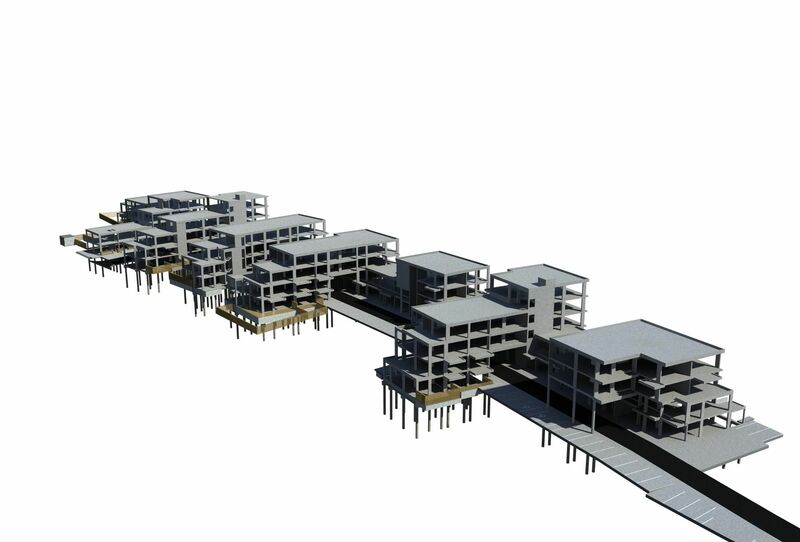 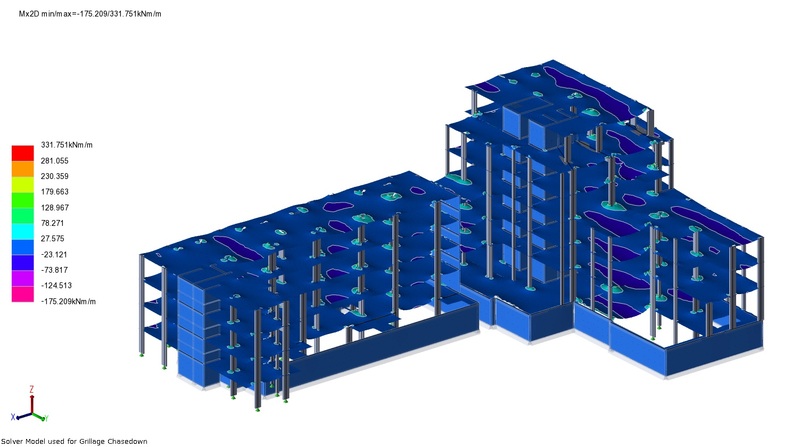 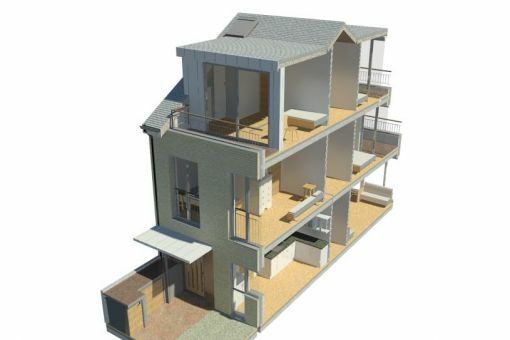 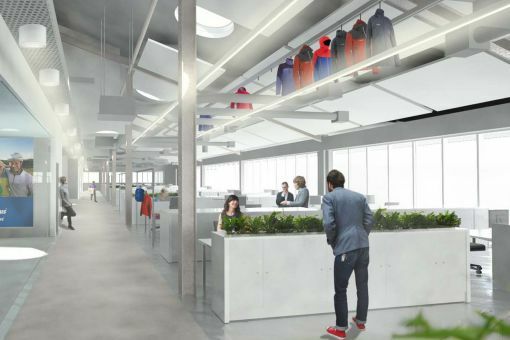 A full BIM design approach has been adopted using Tekla Structural Designer, Safe and Revit to produce the frame designs and coordinate with other disciplines. 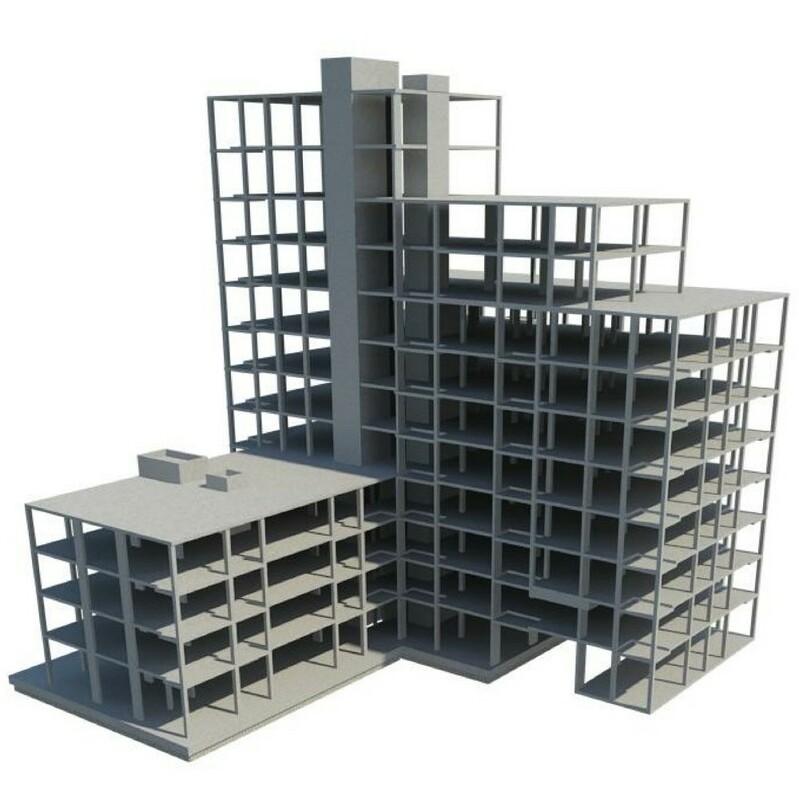 Ranging in size from 3 to 11 storeys, the structures have been designed as reinforced concrete frames supported on piled foundations to accommodate the challenging geometry and transfer structures bridging the existing services. 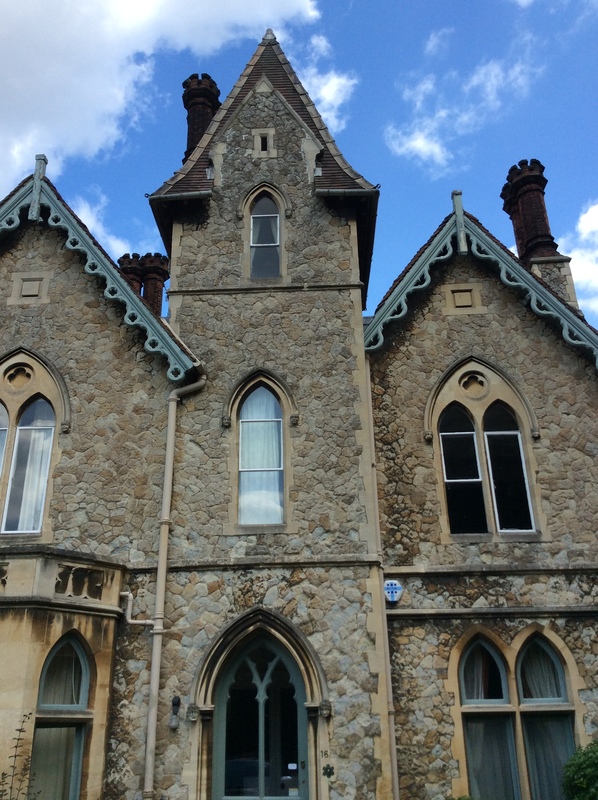 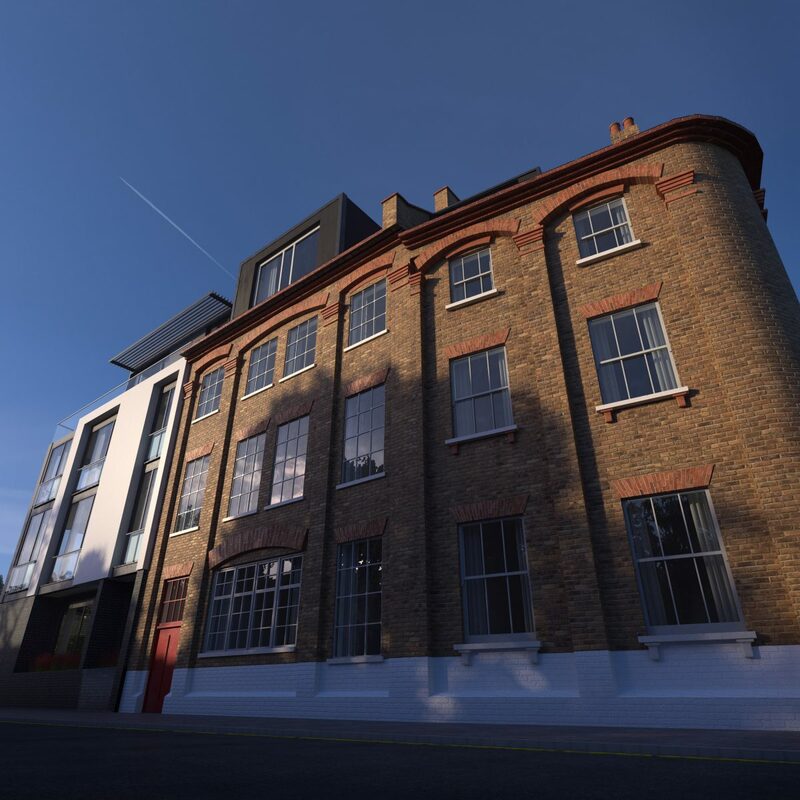 Iesis Structures provided structural design services for this extensive refurbishment of a Grade II listed house in the Highgate conservation area. Works included recombining the two properties into a single family home, requiring reversing previous alterations, along with the addition of a rear extension and garage. 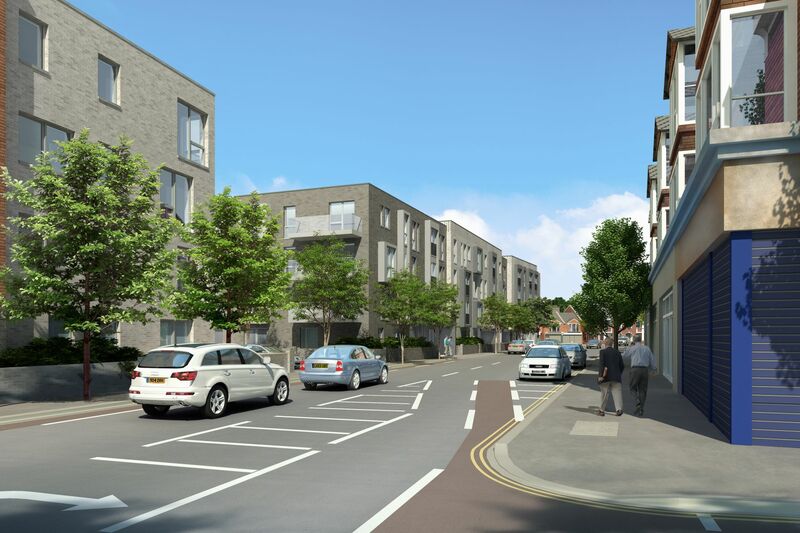 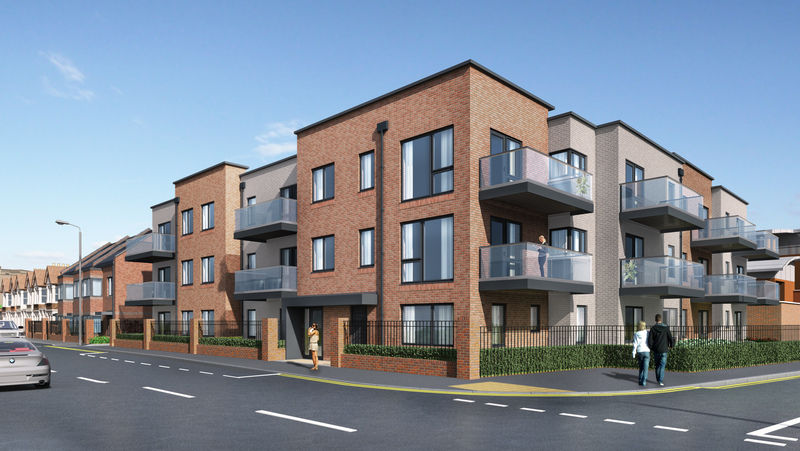 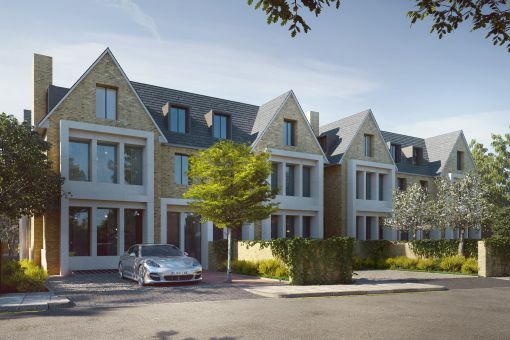 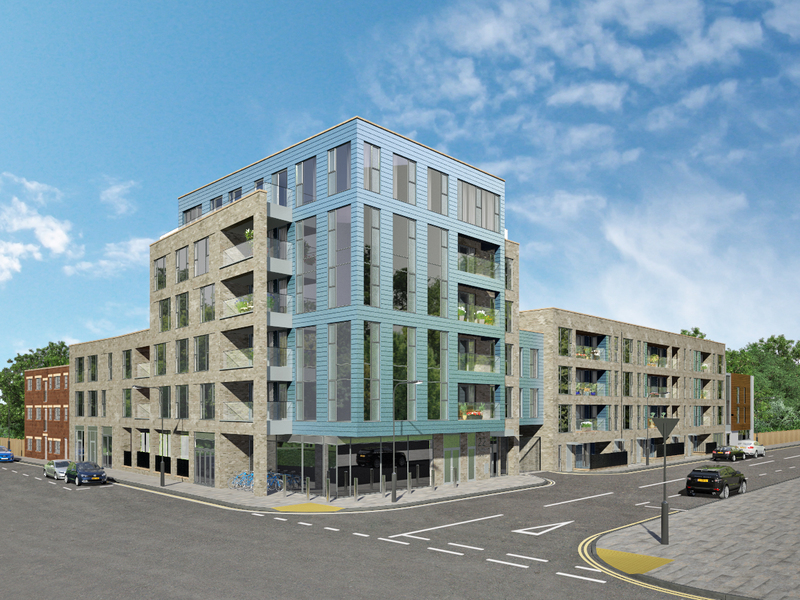 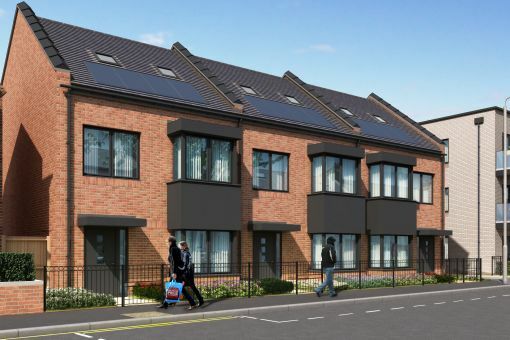 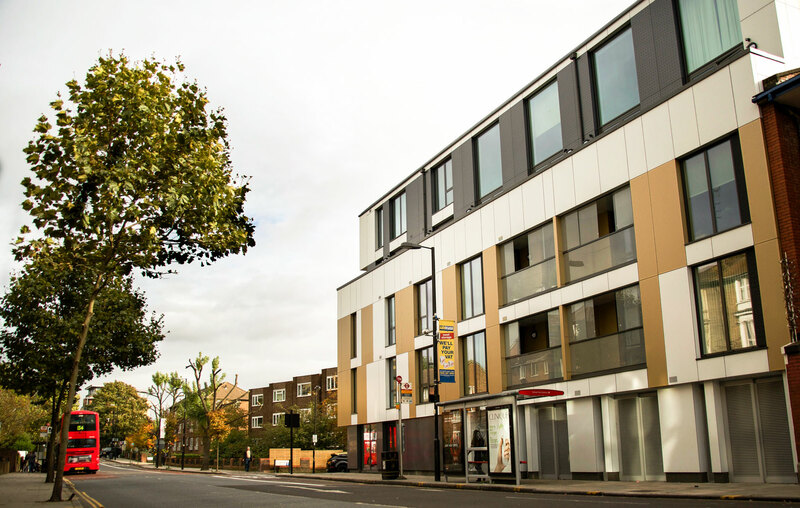 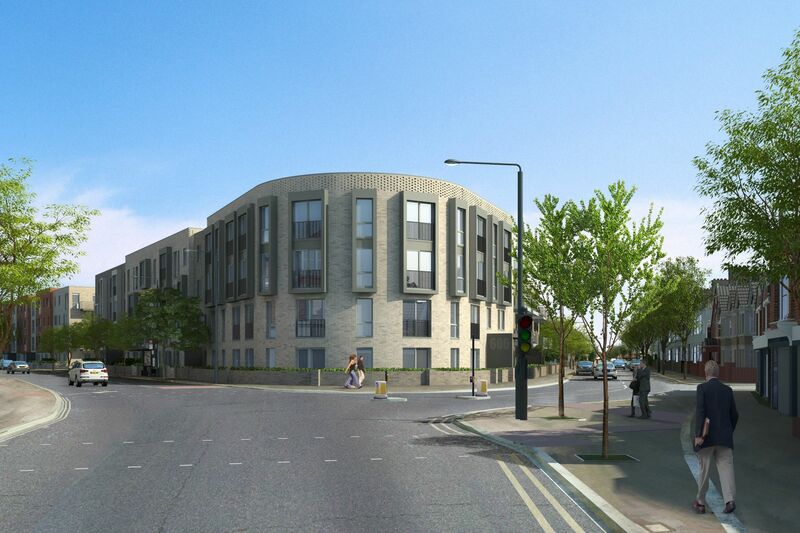 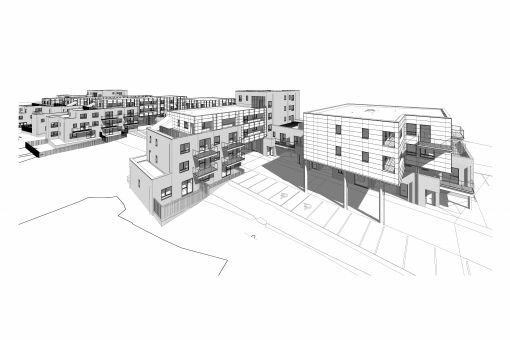 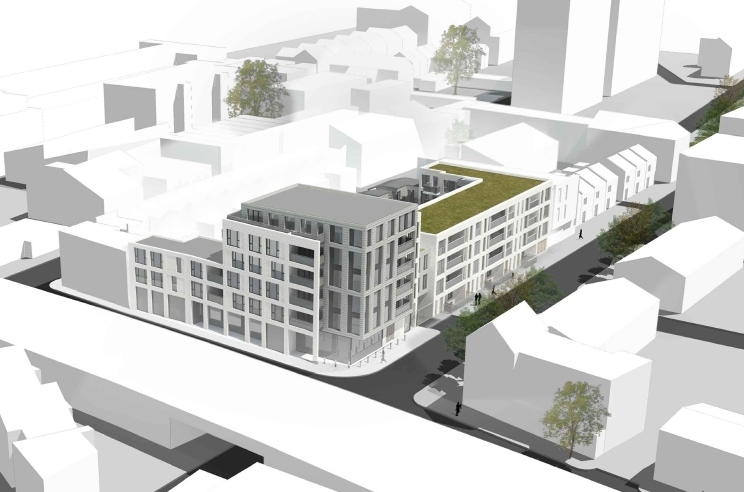 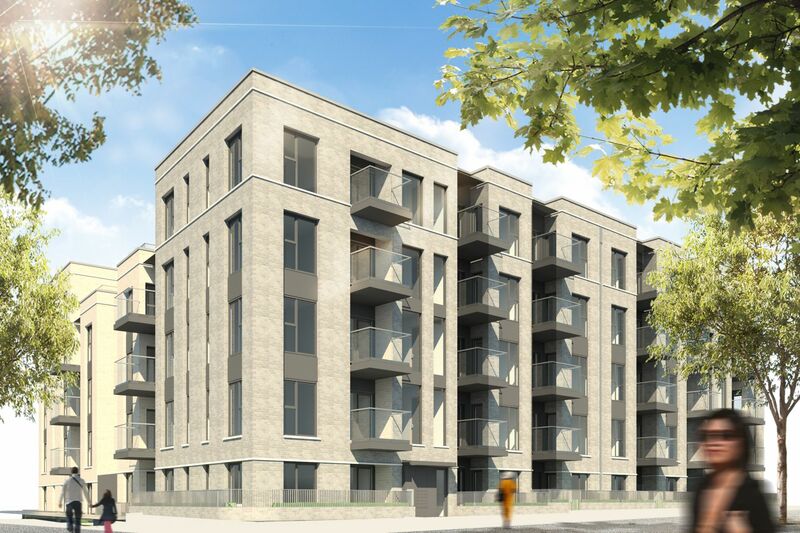 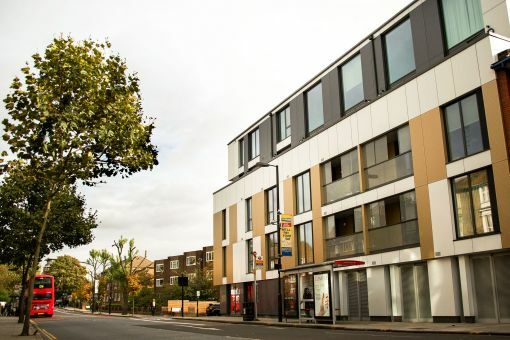 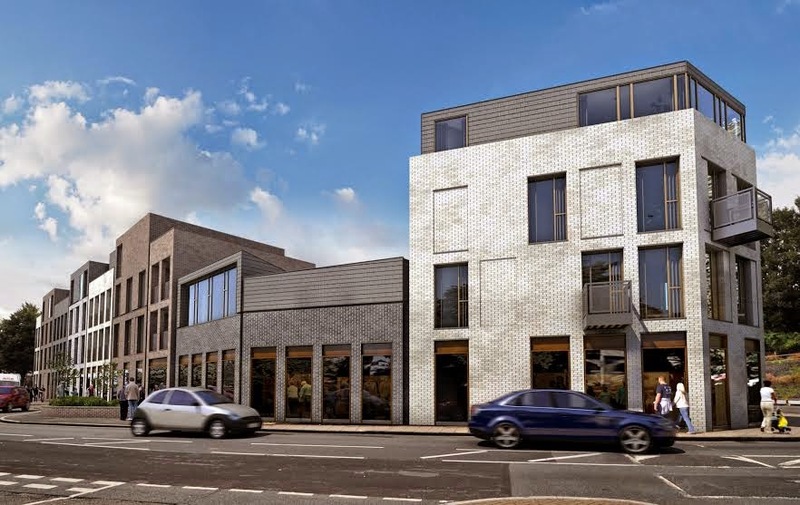 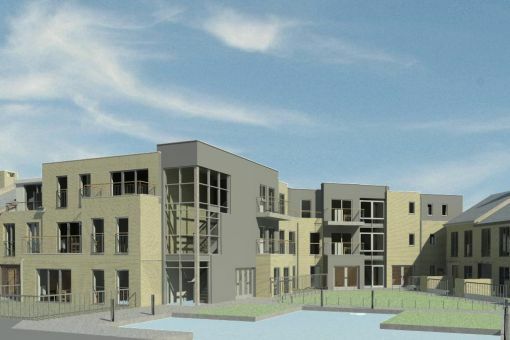 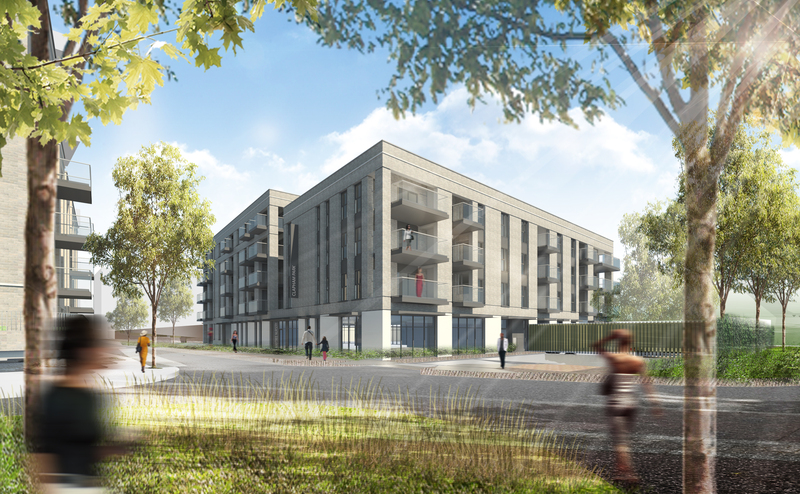 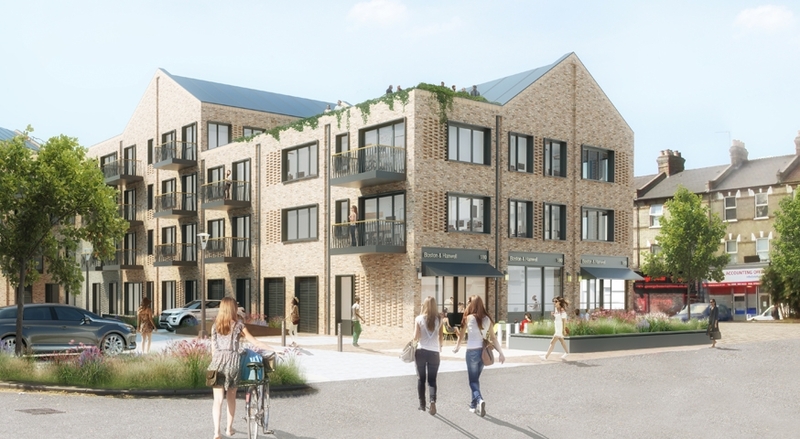 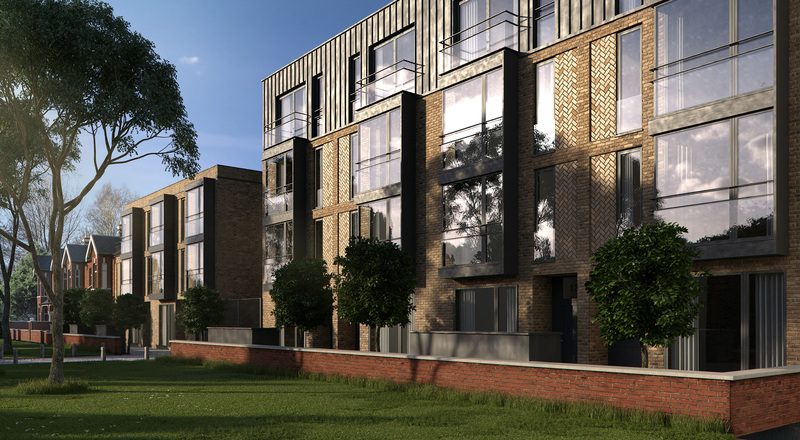 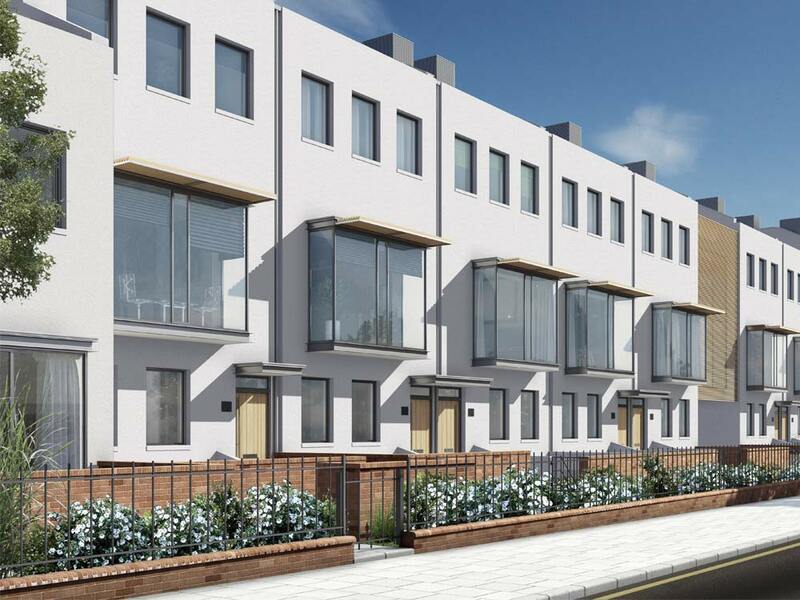 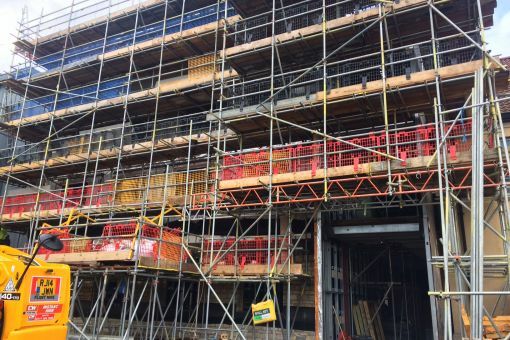 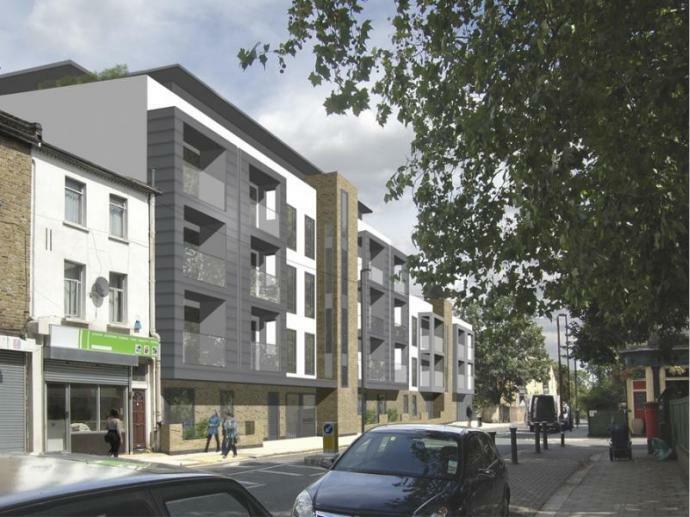 Iesis Structures provided structural and civil engineering design services for the re-development of a former petrol station site in Brockley in south London into new residential units. 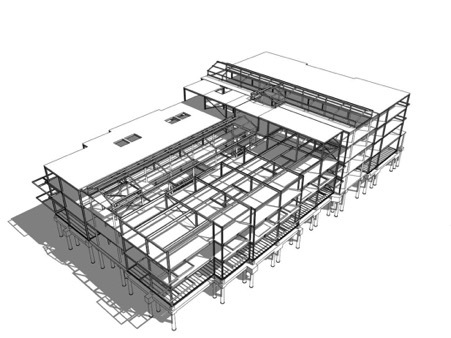 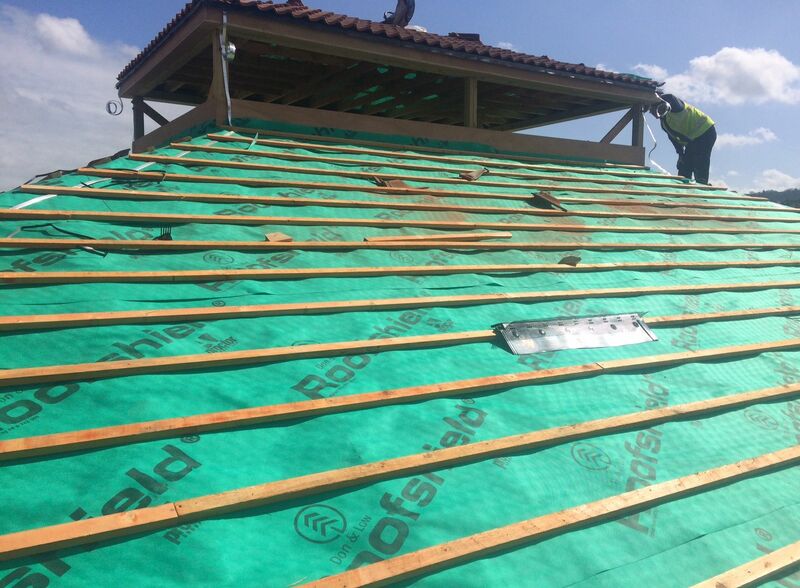 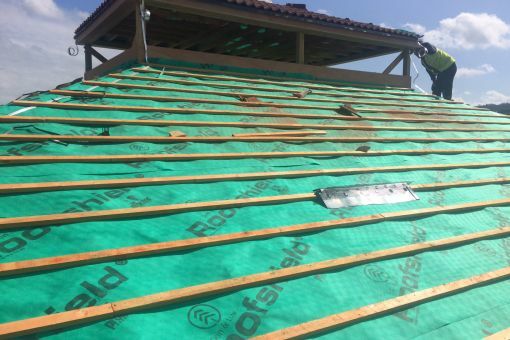 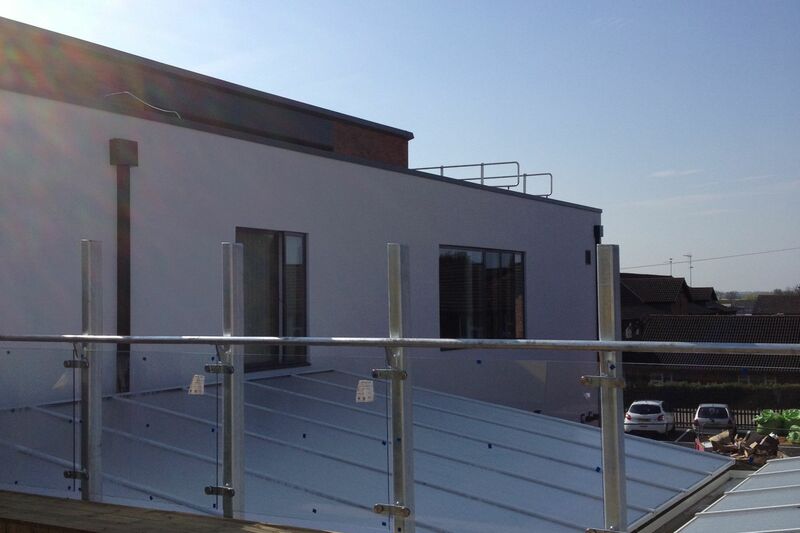 The structure was a composite steel frame up to first floor level supporting load bearing SIPs panels above. 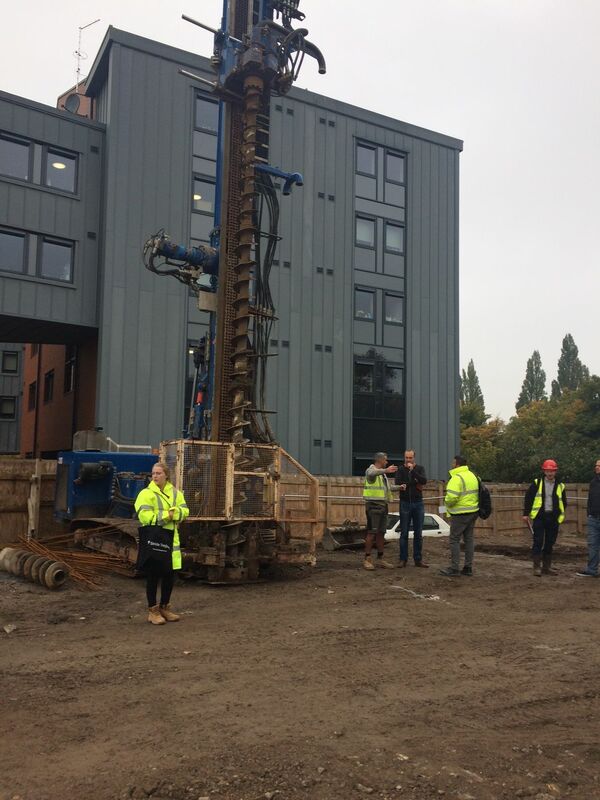 For this project we utilised vibro-stone ground improvement techniques in place of traditional piling solutions to reduce the cost of the substructure works. 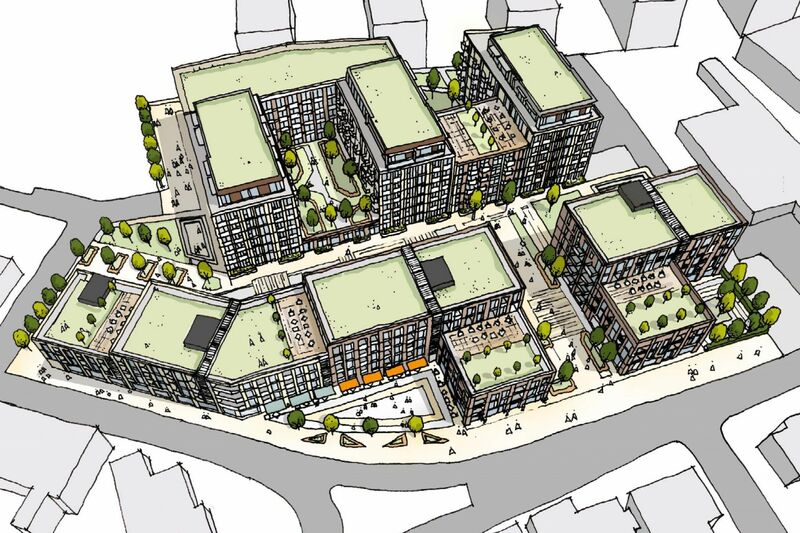 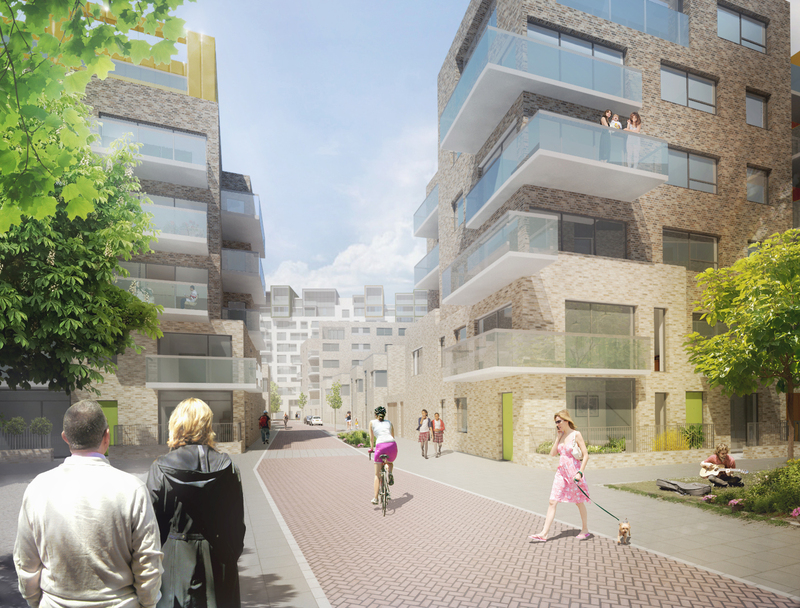 The North Circular Road Site 6 project is part of a larger regeneration of the area bordering the North Circular Road in Enfield, North London. 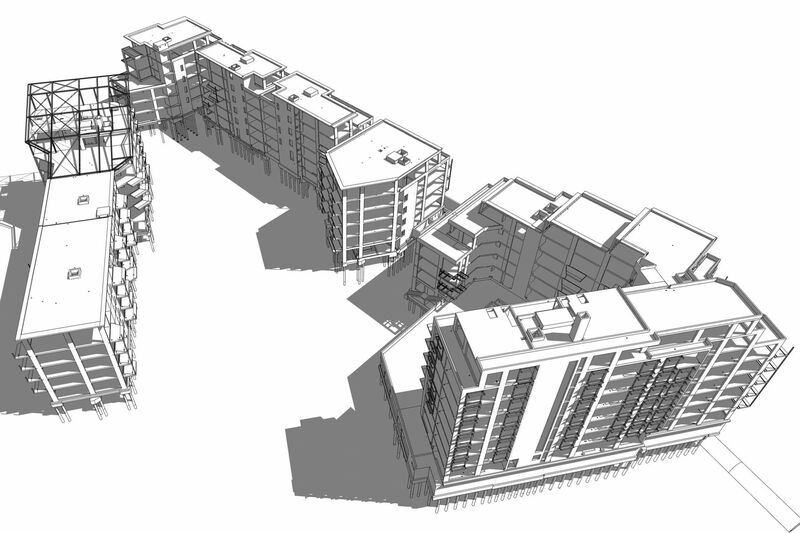 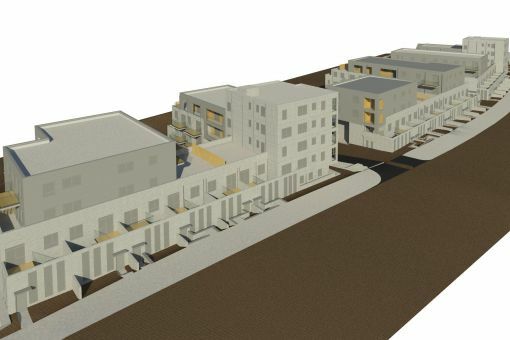 Site 6 consists of 95 mixed tenure residential units split in to four blocks varying between 3 and 5 storeys in height. 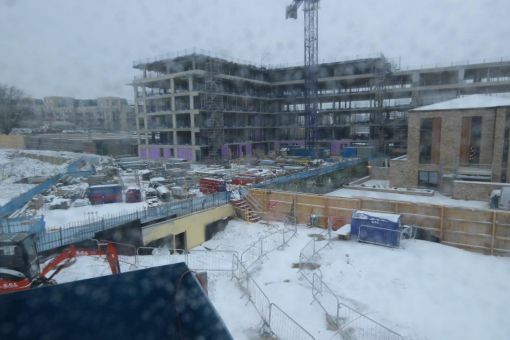 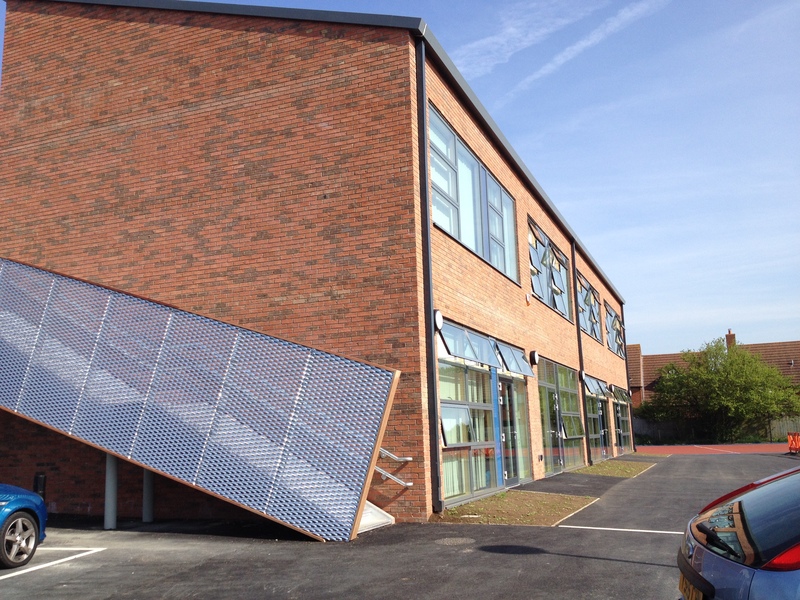 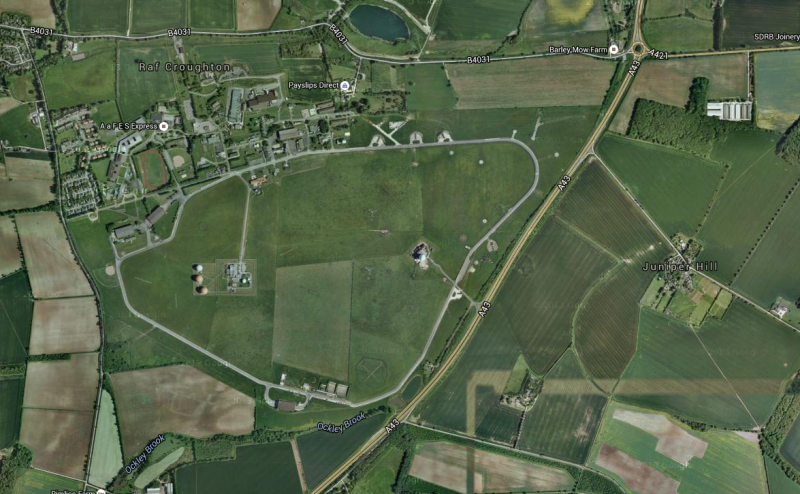 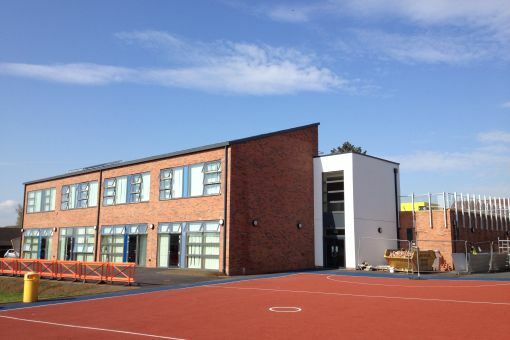 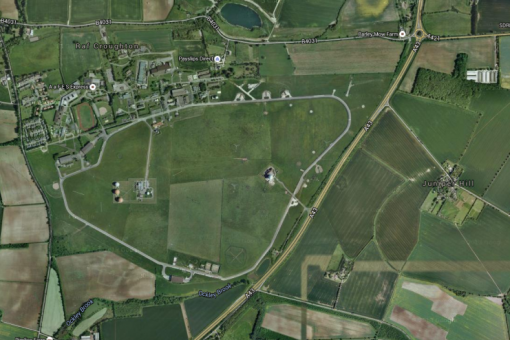 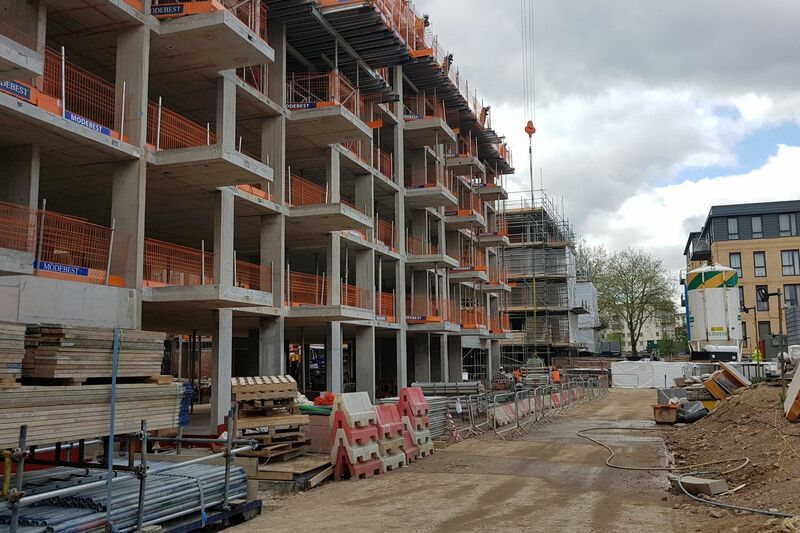 The site was heavily contaminated and had a significant fall in level across the site but through optimisation of the site levels it was possible to minimise the amount of material required to be taken off site and create significant cost savings. 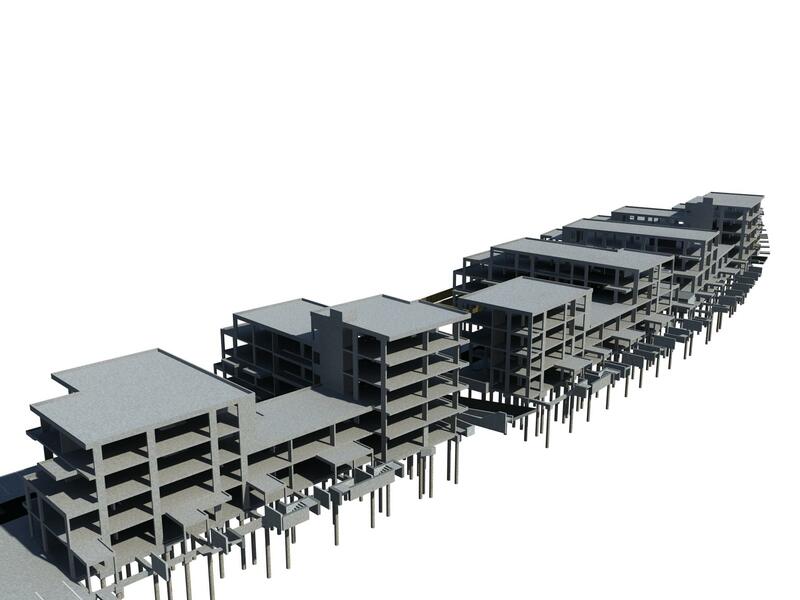 The four residential blocks were formed as reinforced concrete frames with localised transfer slabs to achieve the large spans above the access roads which pass beneath several of the blocks. 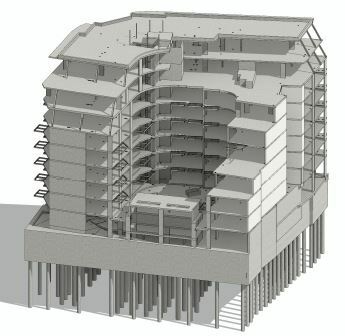 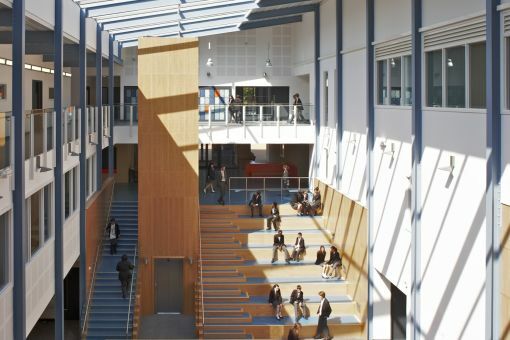 The use of integrated finite element modelling and Revit allowed for a lean efficient design and aided collaboration within the design team. 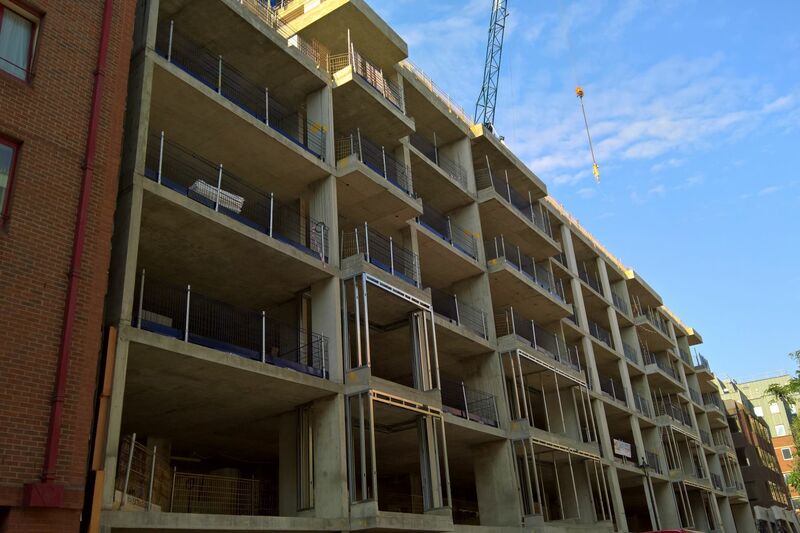 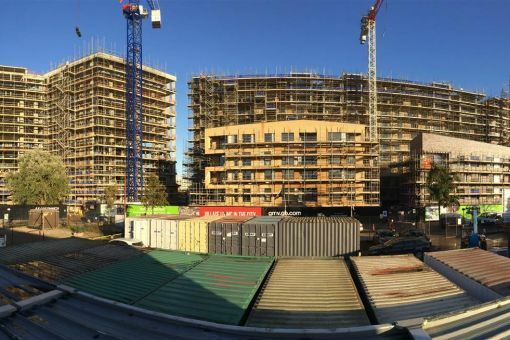 The Yeoman Street scheme in the Surrey Quays area of London is a five-storey concrete framed residential building in Surrey Quays constructed on a very tight urban site involving offset foundations and the detailed assessment of a 4m high-retaining wall. 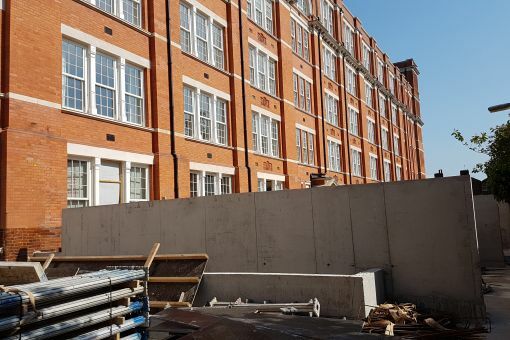 The existing mass concrete wall was assessed for stability and condition before being carefully repaired and refinished. 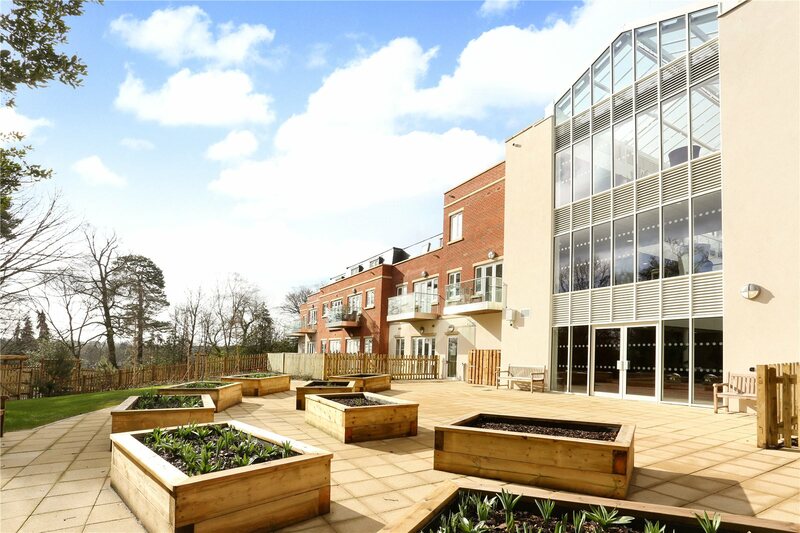 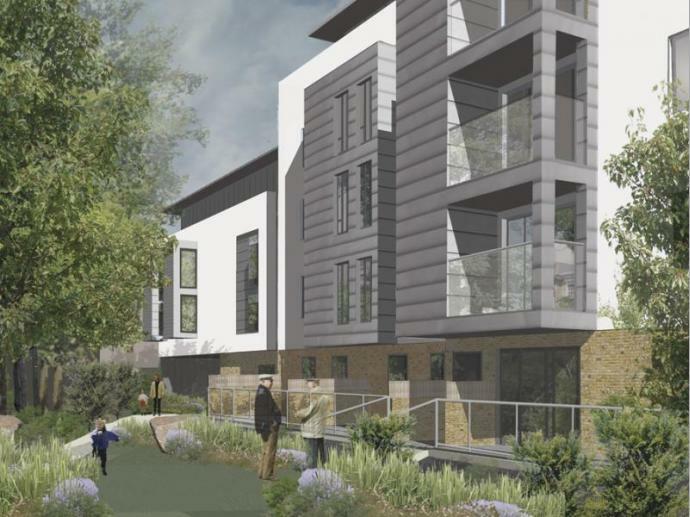 Iesis Structures were appointed provide the structural design to 3 new blocks as part of the regeneration of the existing carehome. 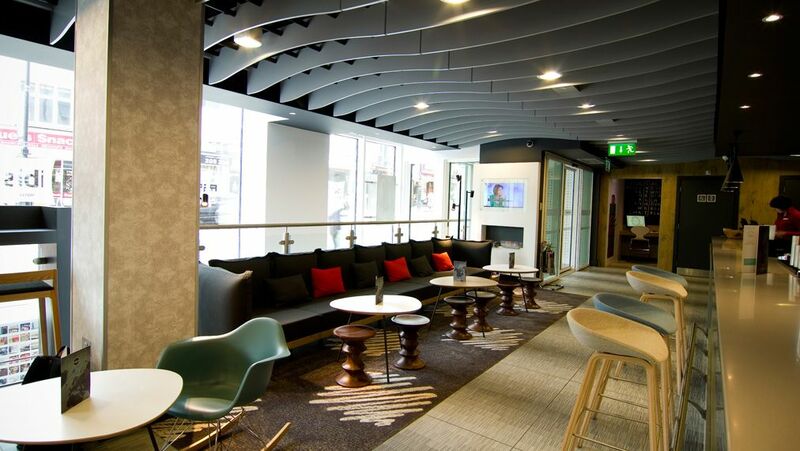 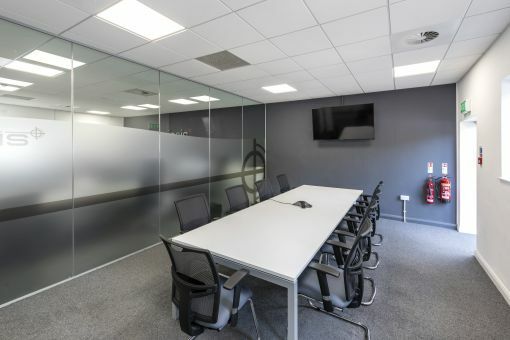 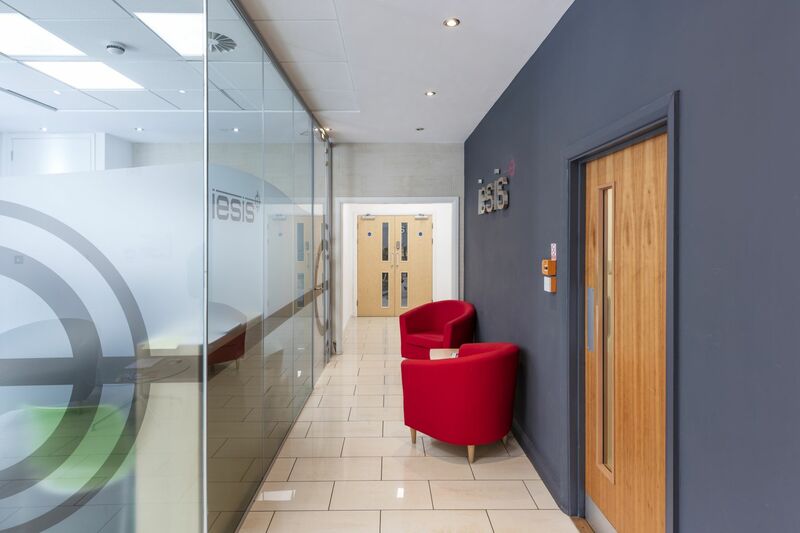 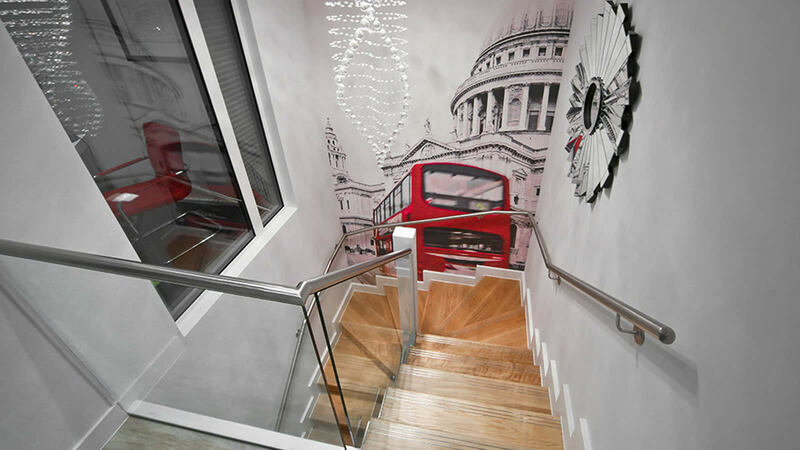 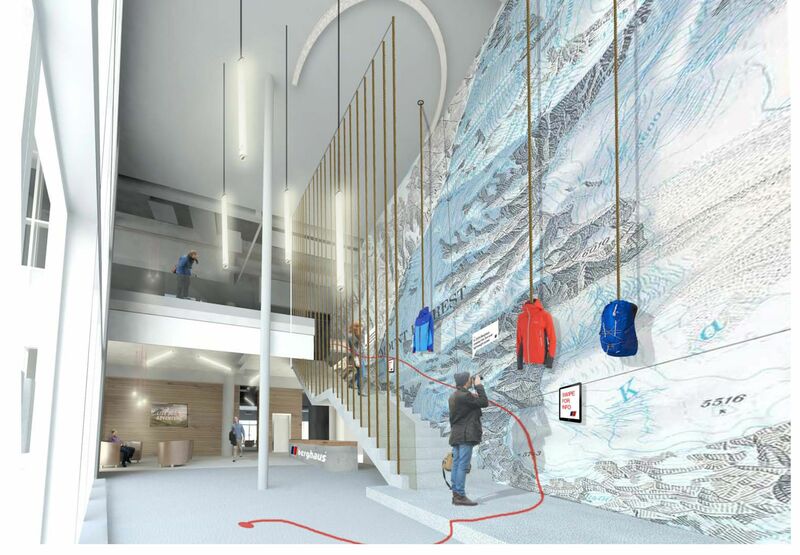 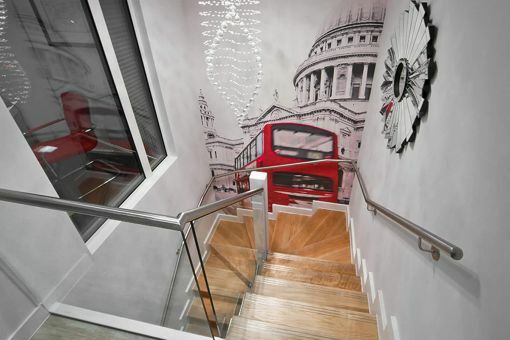 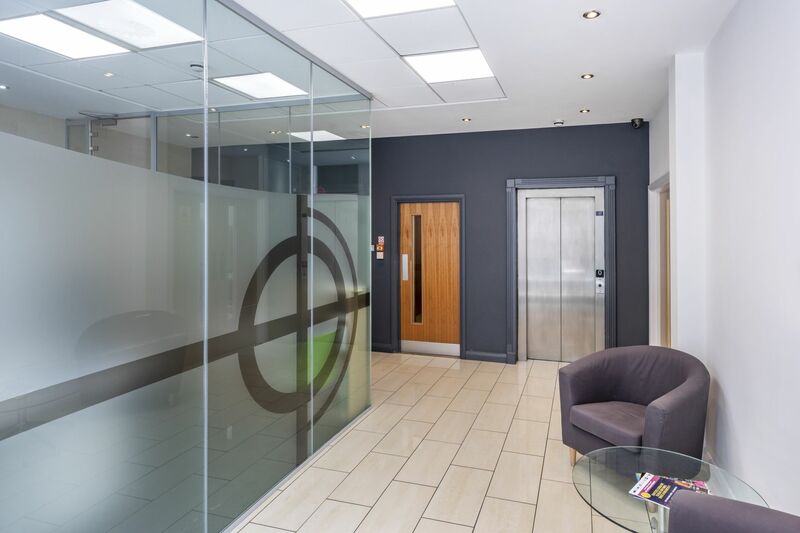 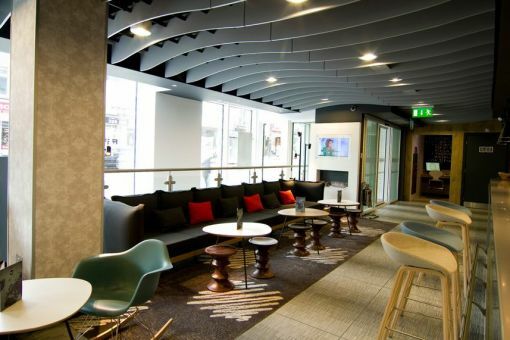 This project involved the design and detailing of an innovative concrete cantilever table and floating staircase in the refurbishment of their existing office facility. 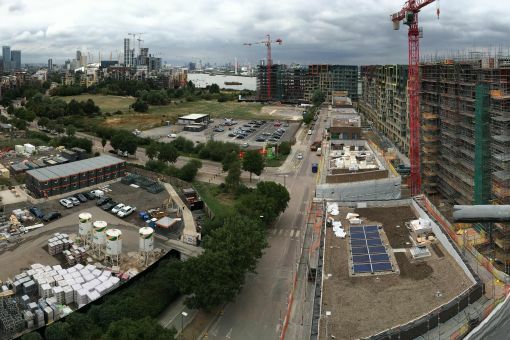 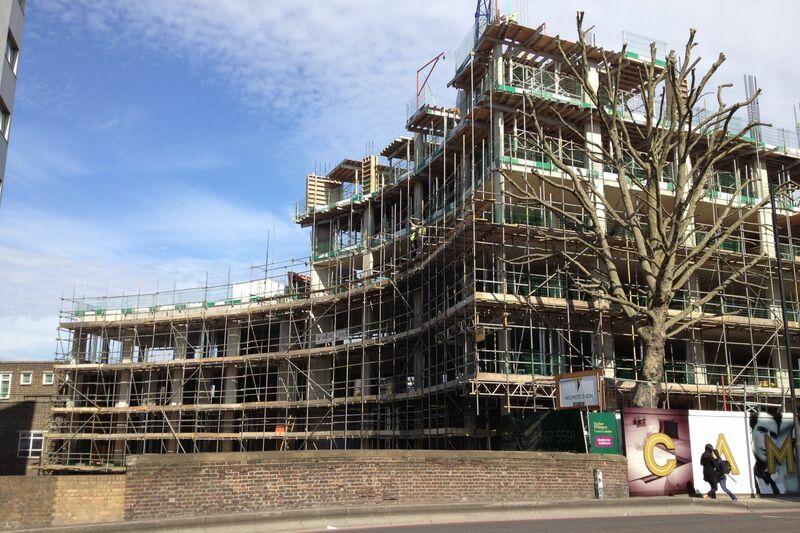 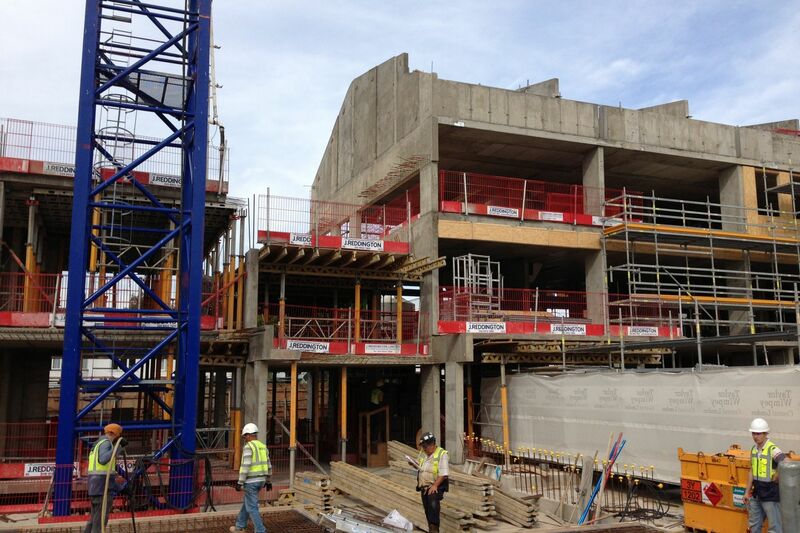 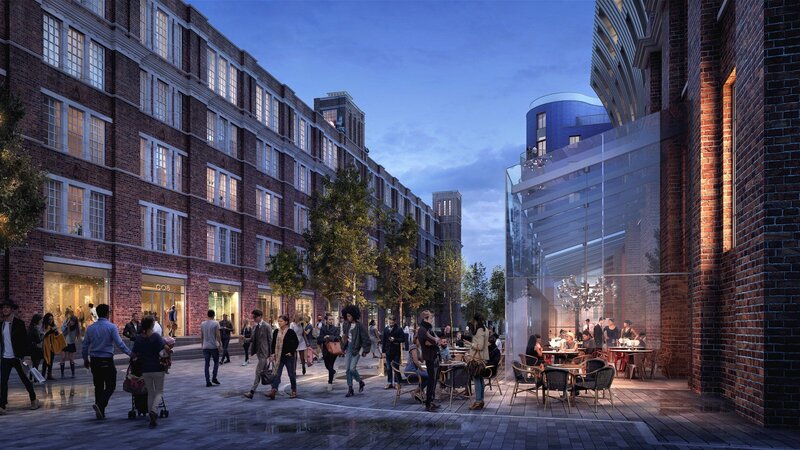 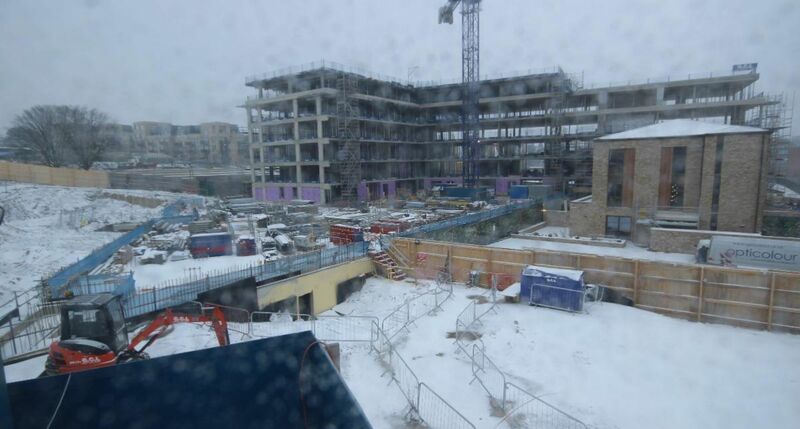 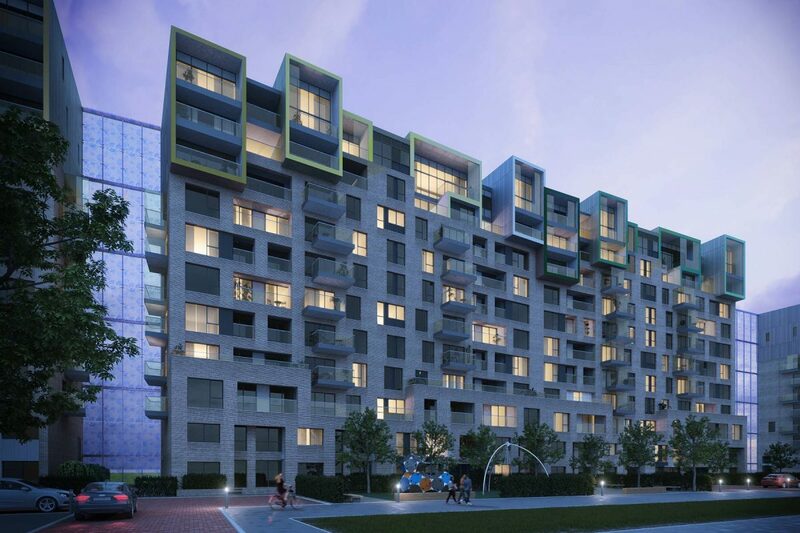 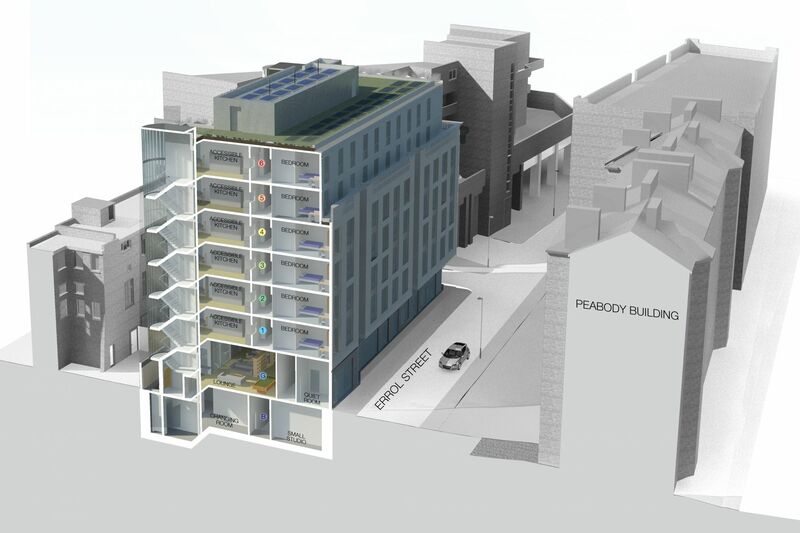 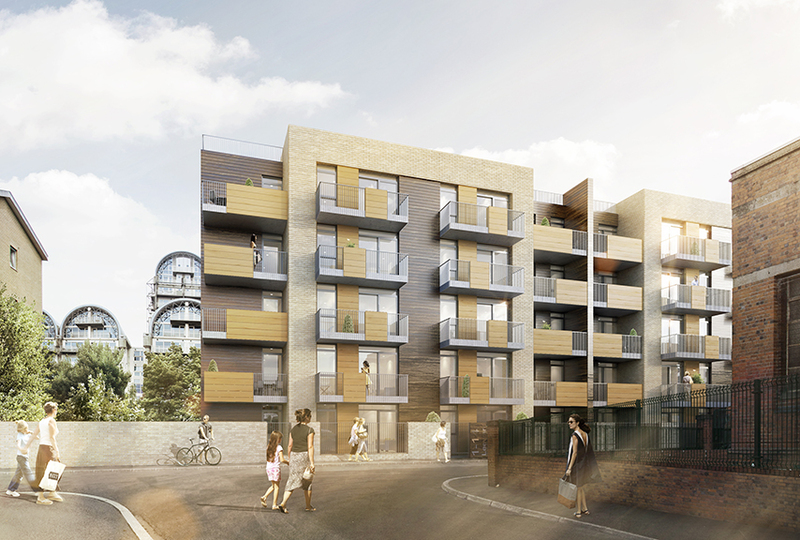 Plot 504 will provide an energy centre which will be the new beating ‘heart’ for GreenwichMillennium Village. 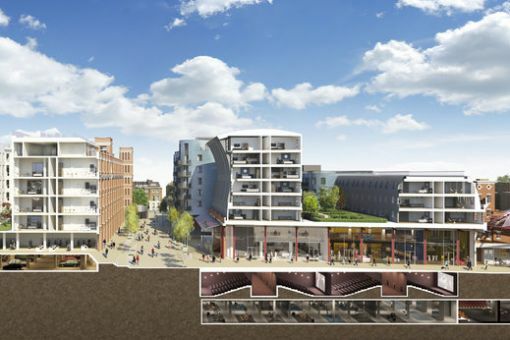 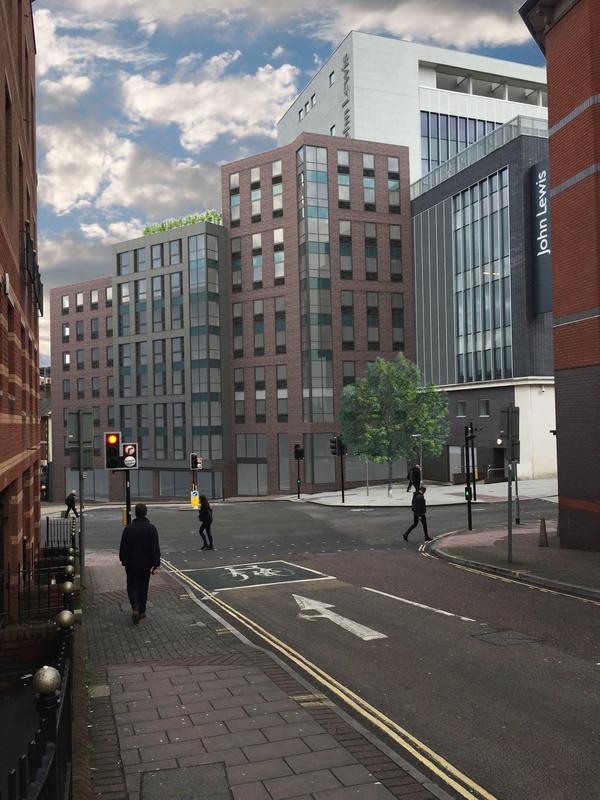 The energy centre, using combined heat and power (CHP) technology with thermal stores and highefficiency boilers and pumps, will deliver the heating and hot water requirements for GMV via anunderground district heating pipe network. 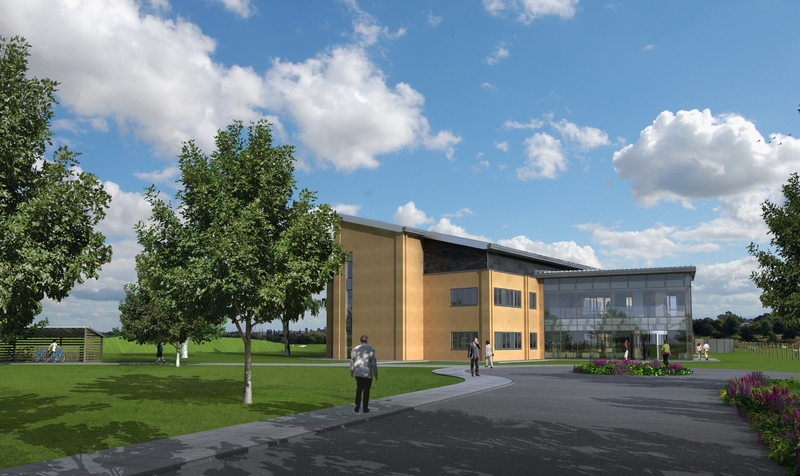 The energy centre will also provide clean electricity to GMV. 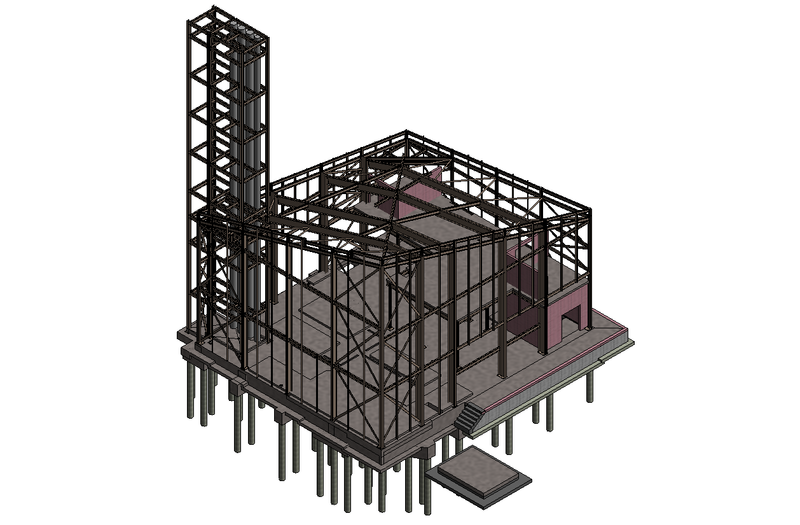 The energy centre will be a gateway feature to the GMV community. 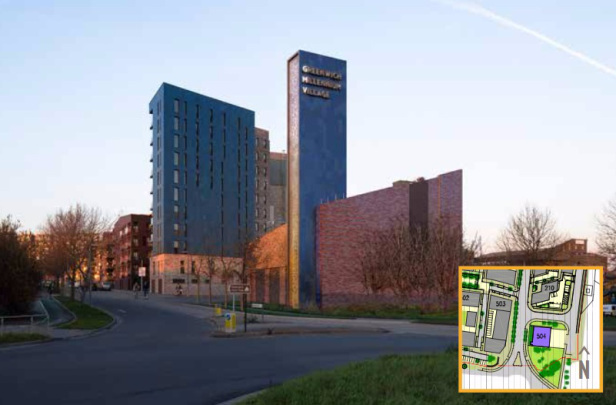 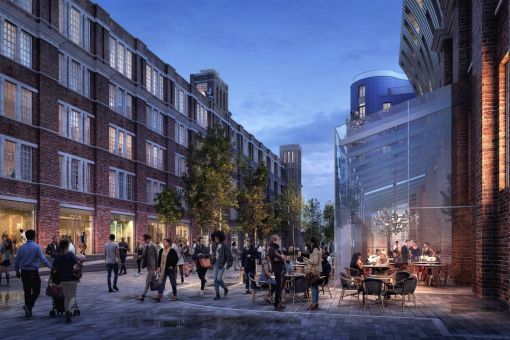 It will be up to 16m in height, built of brick with a coloured stainless steel flue (rising to 26m high) encased in metal cladding as used on Plots 103, 104 and 210 and featuring illuminated Greenwich Millennium Village signage. The pitched roofline offers glimpses of the energy centre’s biodiversity roof. 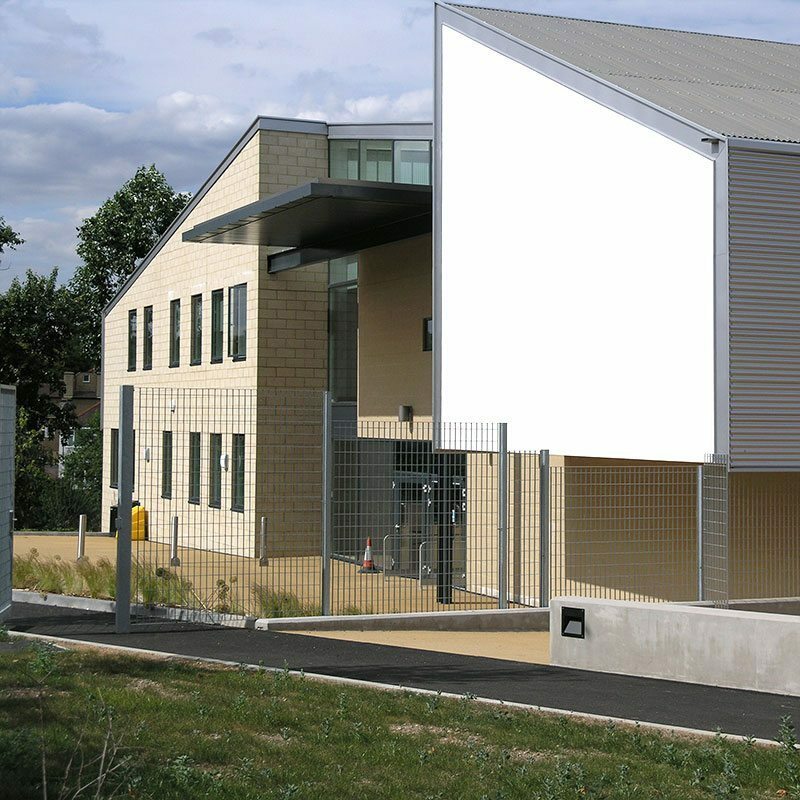 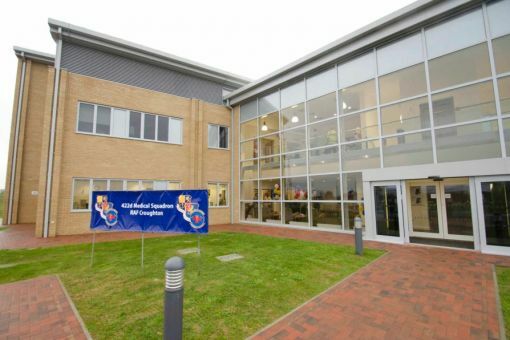 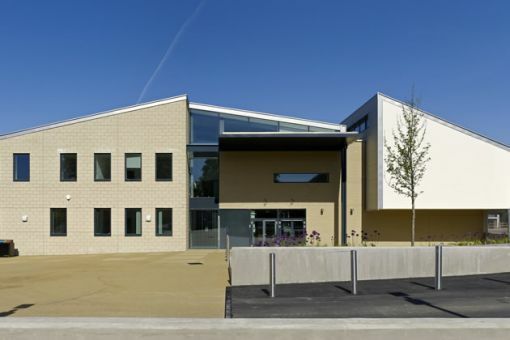 Iesis Structures provided structural design services for the re-development of this former Royal Mail sorting and delivery centre. 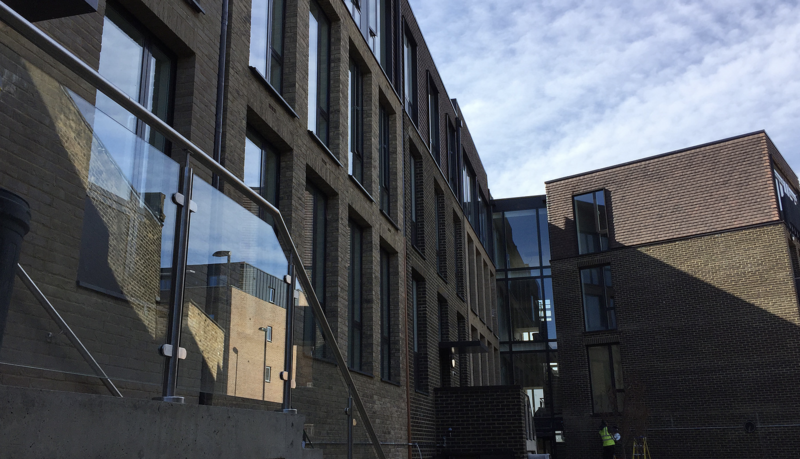 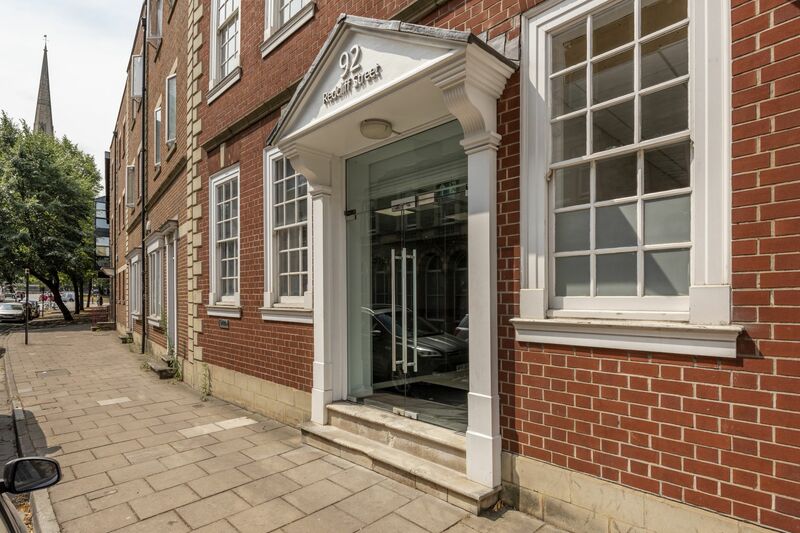 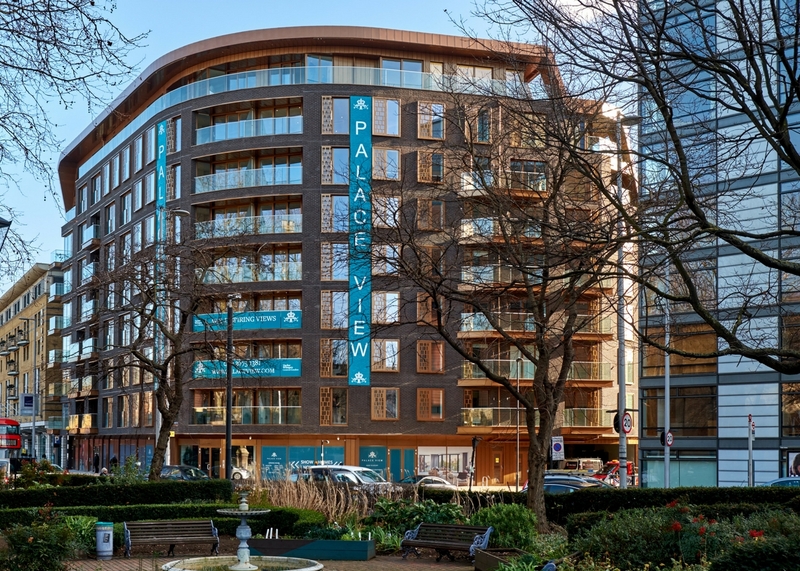 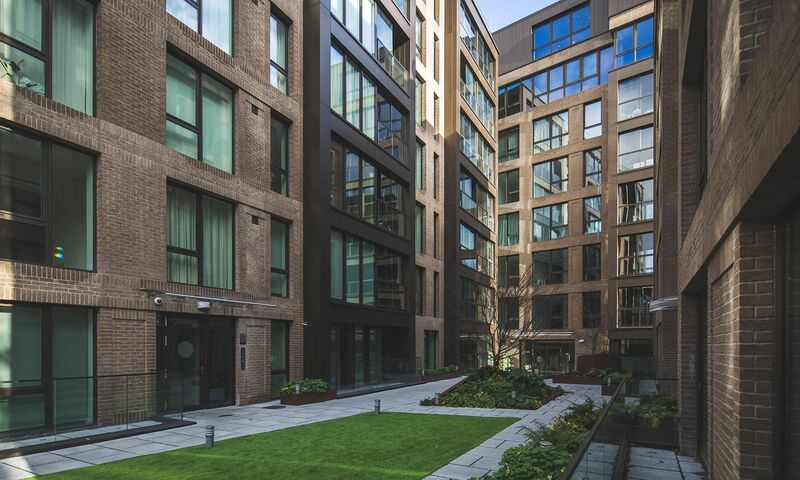 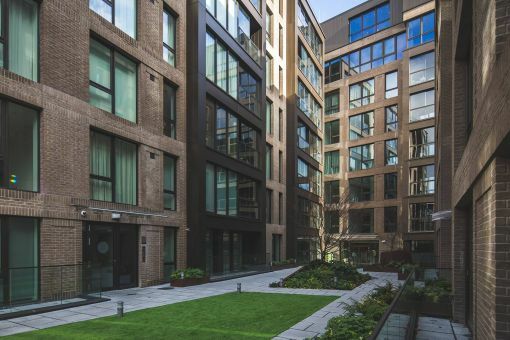 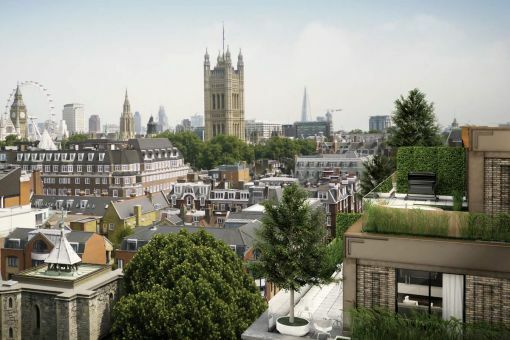 Structural works involved the retention and refurbishment of the existing 6 storey post office building with significant alterations to the historic masonry and filler joist structure and the addition of a new residential floor forming rooftop penthouses and roof gardens. 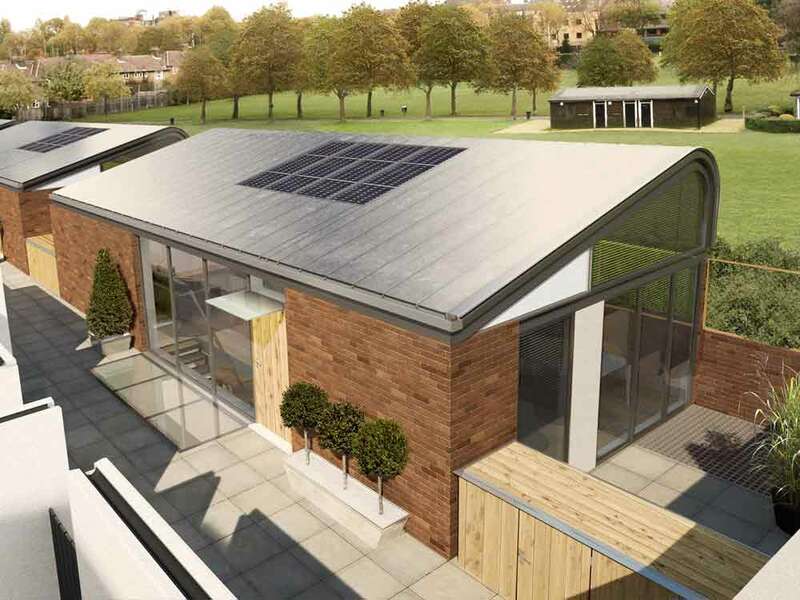 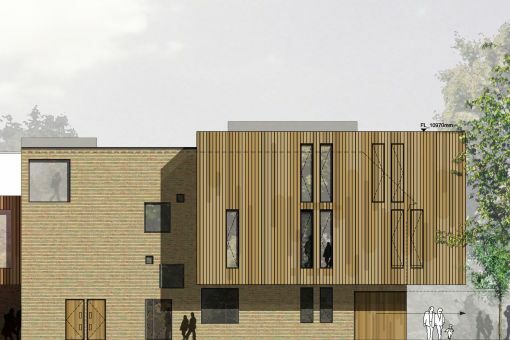 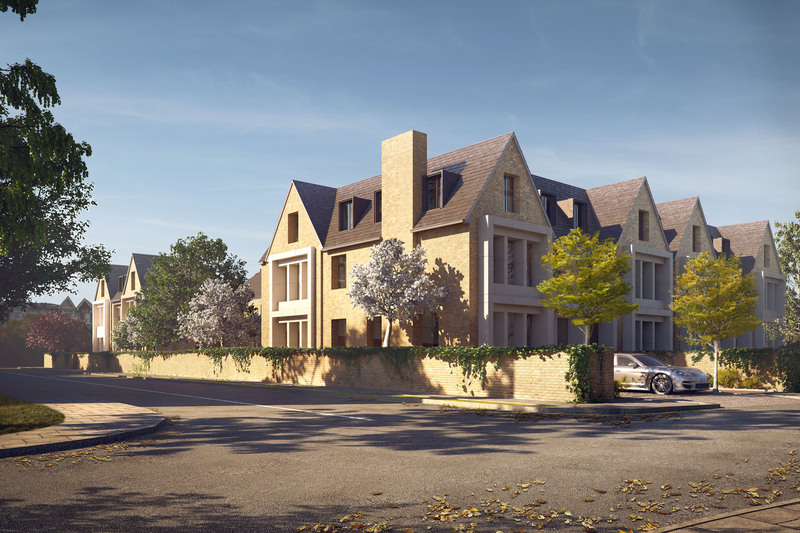 The design of a new traditional build low rise residential development in Northolt, West London. 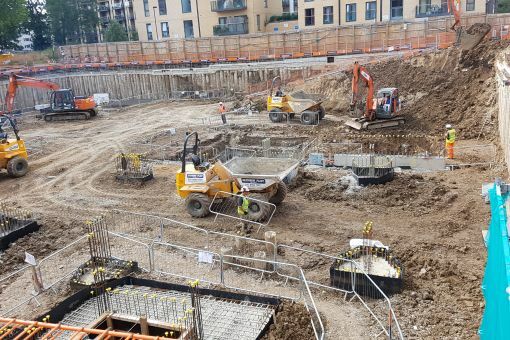 By utilising a detailed settlement analysis it was possible to design and construct a raft foundation over an existing infilled basement to avoid the requirement for piling. 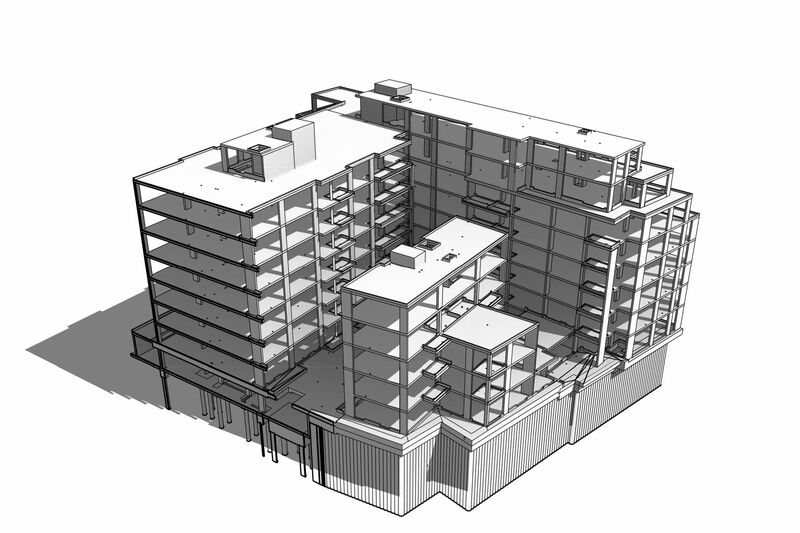 Iesis Special Structures provided Civil & Structural Design for this 6 storey (plus basement) residential project on a tight urban site. 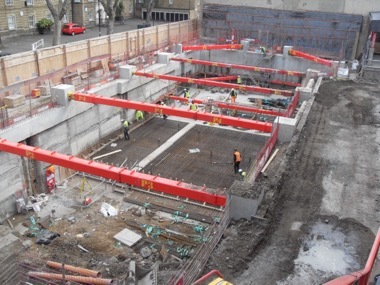 The foundations were designed to minimise the effect of the building on the underlying London Underground tunnels through the use of a raft foundation bearing on the London Clay. 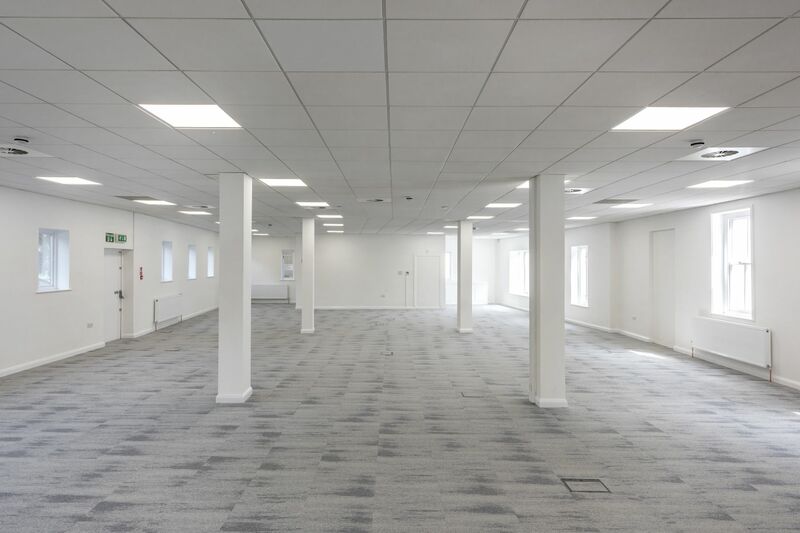 A reinforced concrete flat slab design was utilised with slender floor plates to maximise floor to ceiling space and allow flexibility of services distribution.